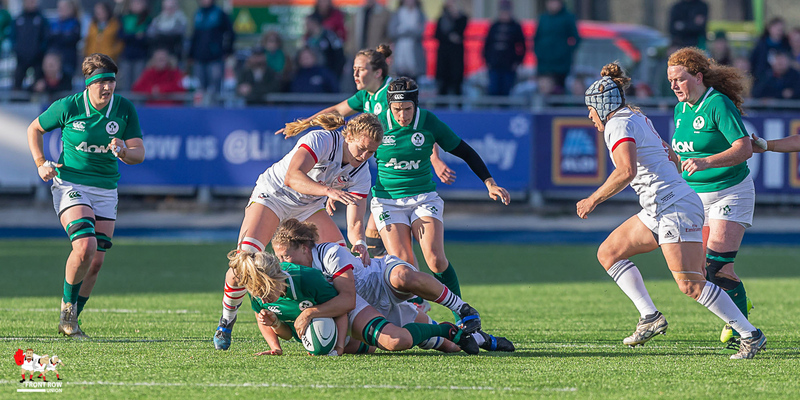 Sunday 18th November 2018. 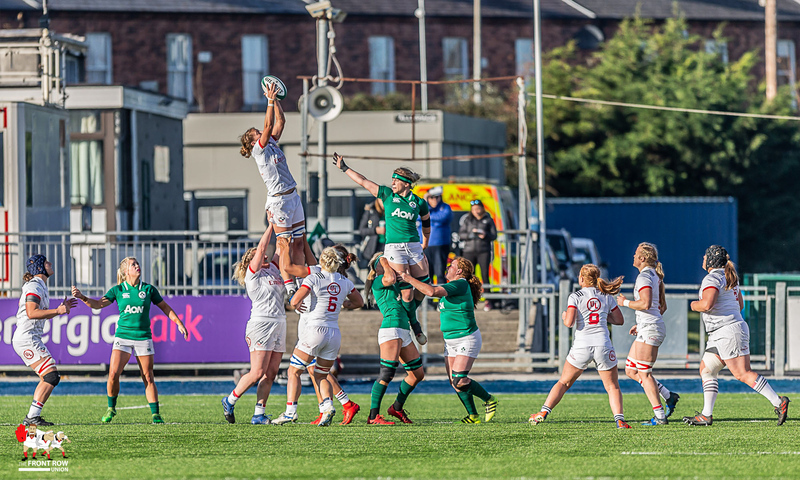 Ireland and USA start to build for the next World Cup with the USA taking the initiative with a comfortable 19 - 10 win at Donnybrook. 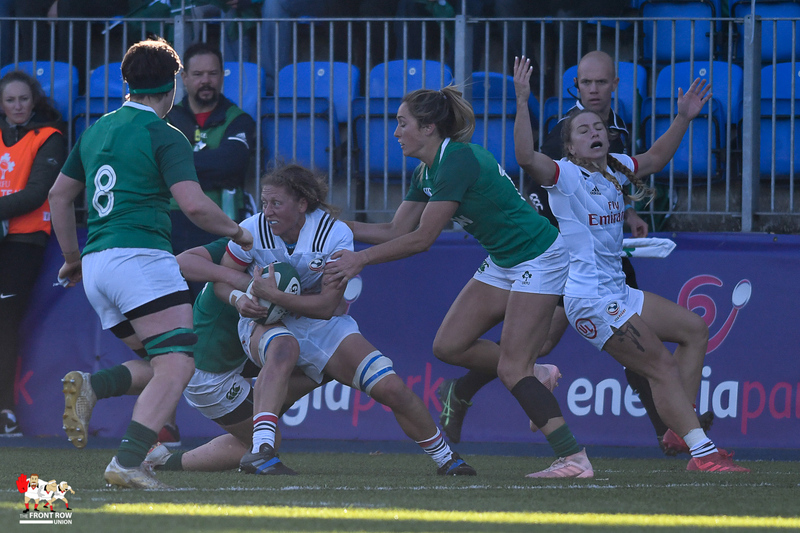 A try in each half were not enough for Adam Griggs’ Ireland team, as “match ready” USA finished their autumn internationals with a win. 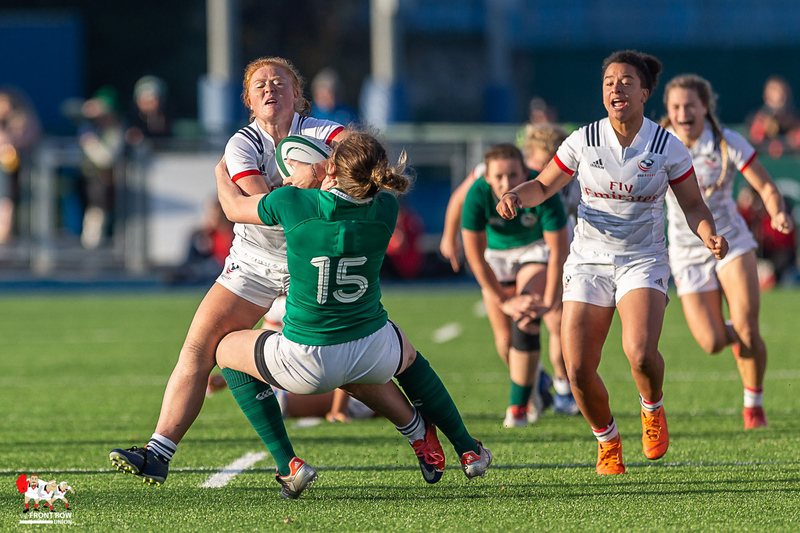 First half tries from Kimber Rozier and Kaitlyn Broughton, a second half try from Meya Bizer and two conversions from Kimber Rozier was enough for the Eagles to take the win. 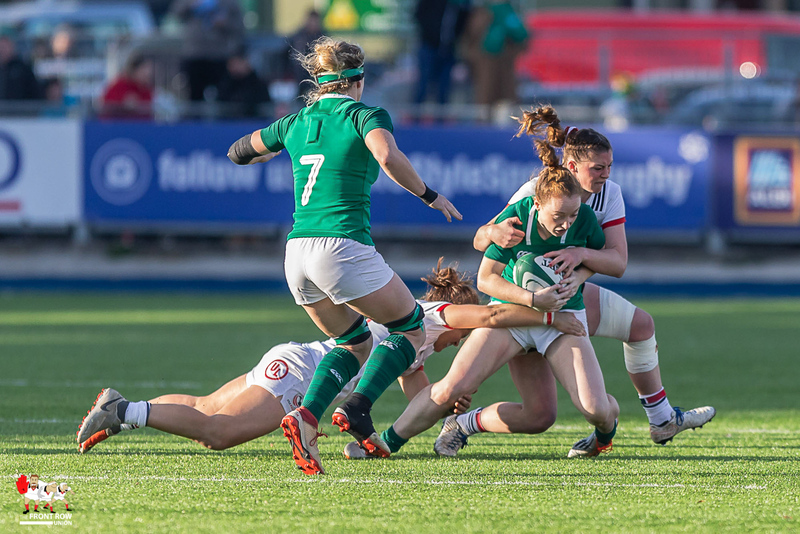 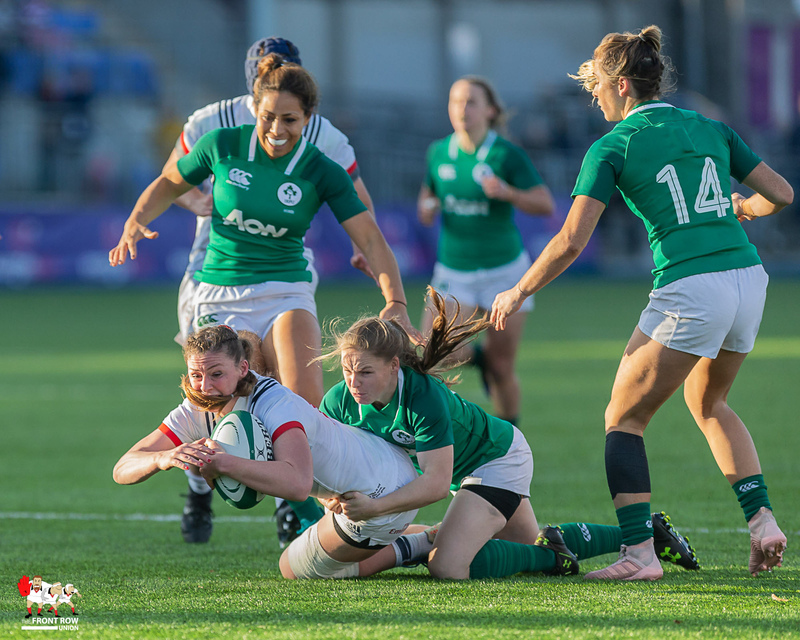 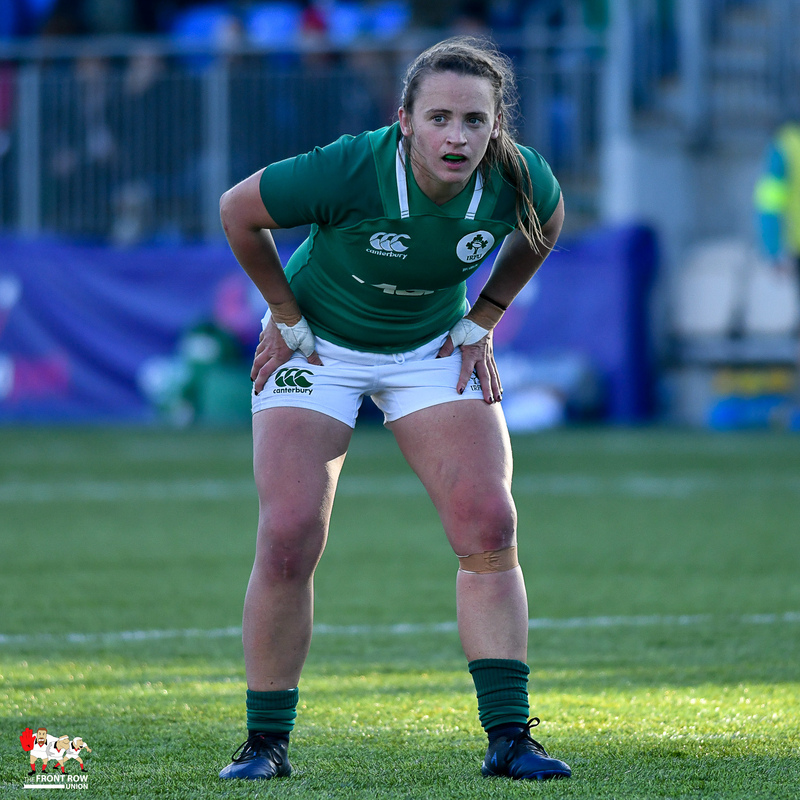 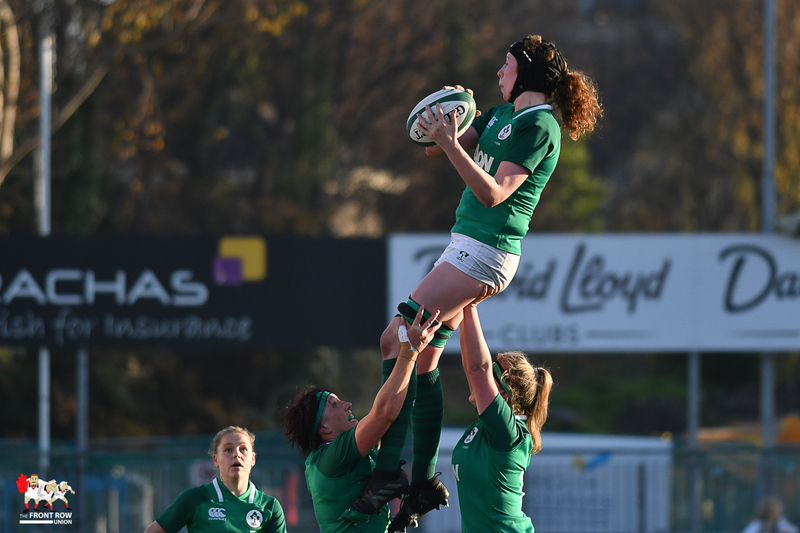 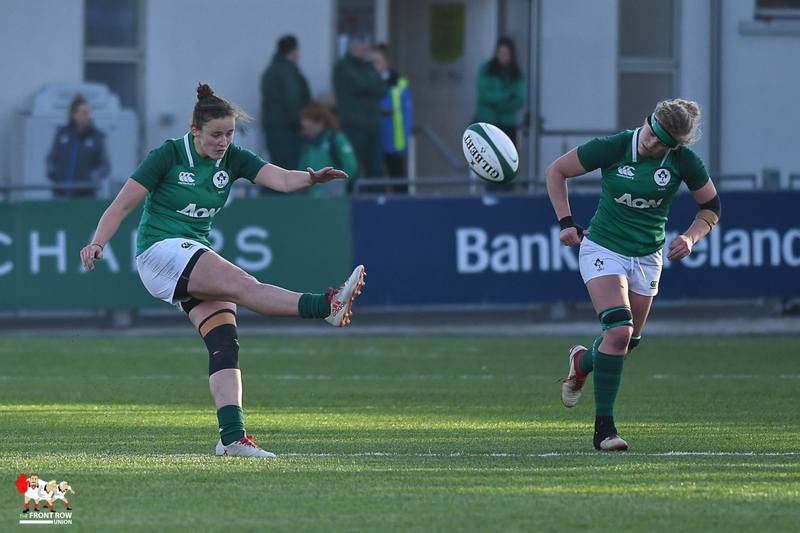 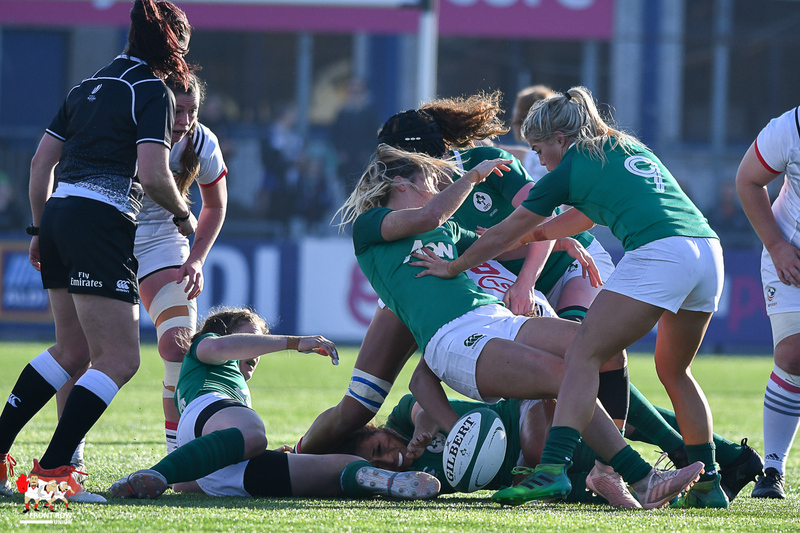 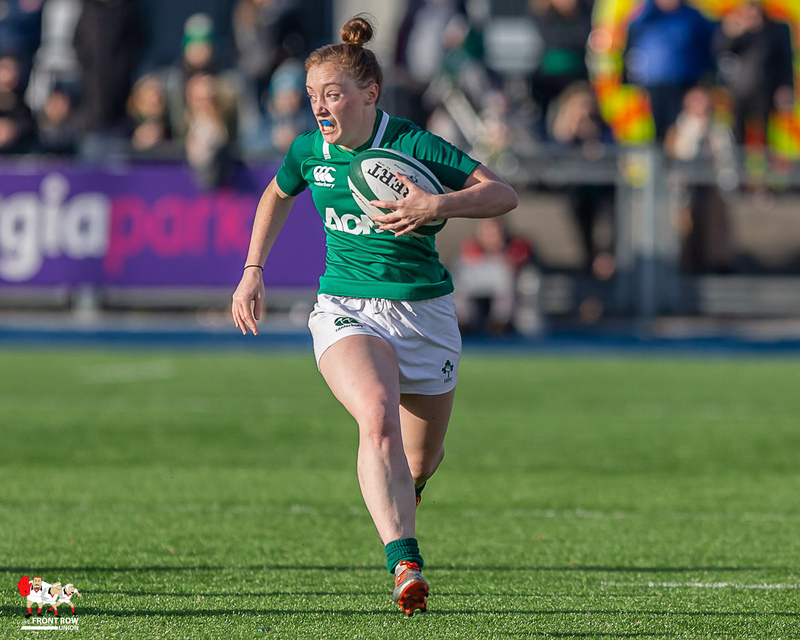 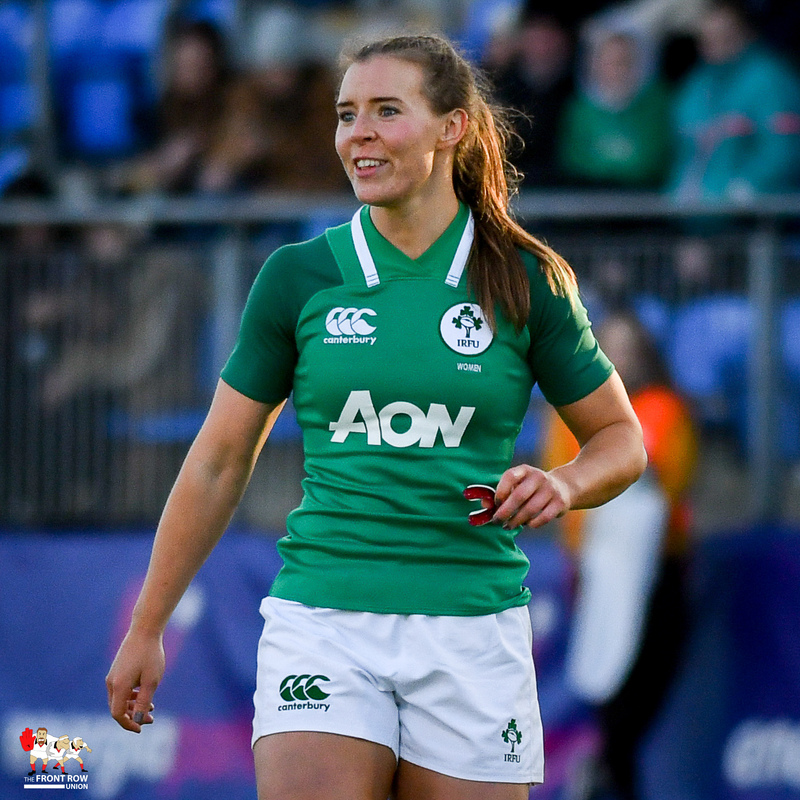 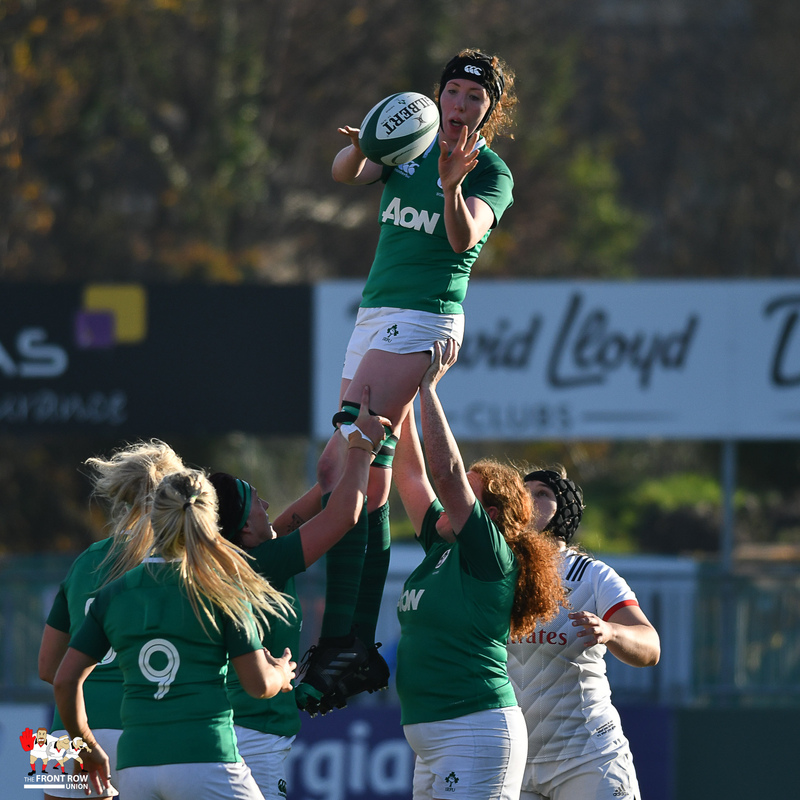 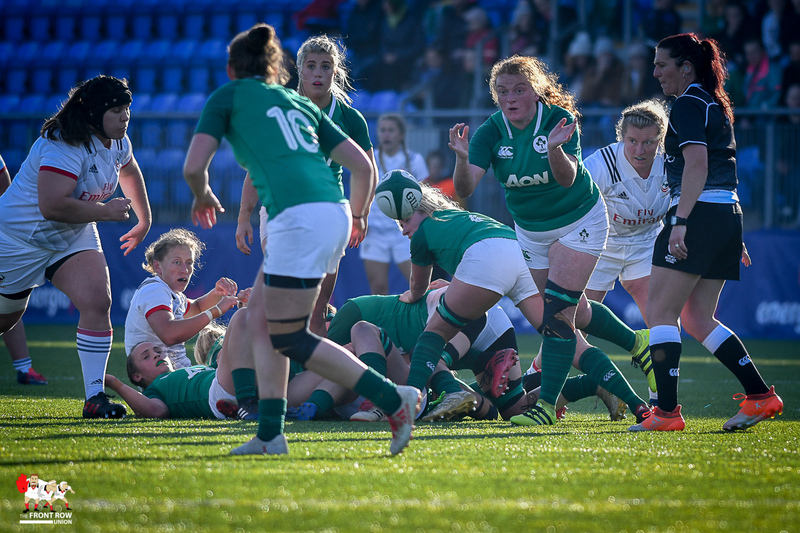 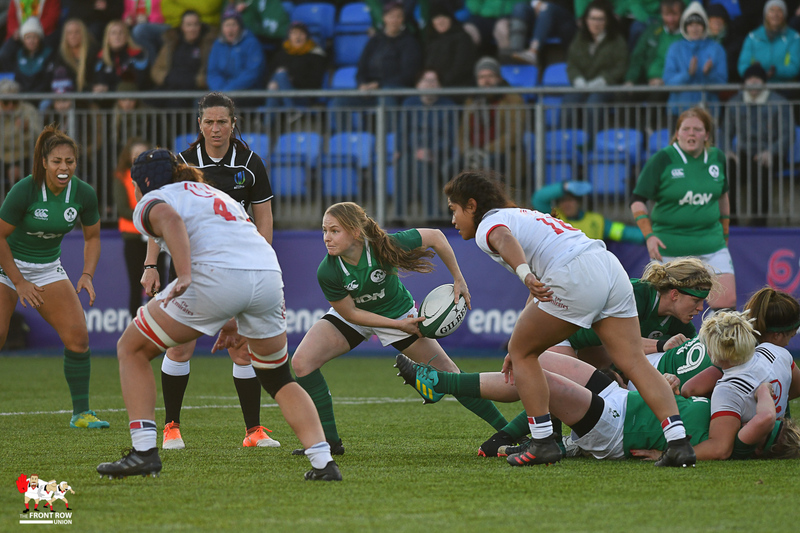 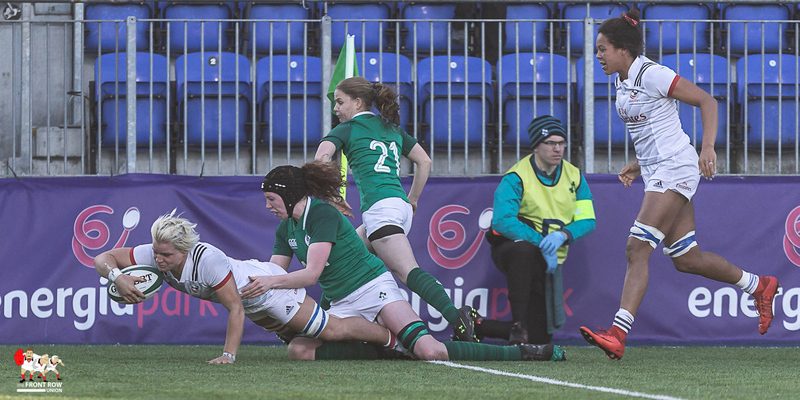 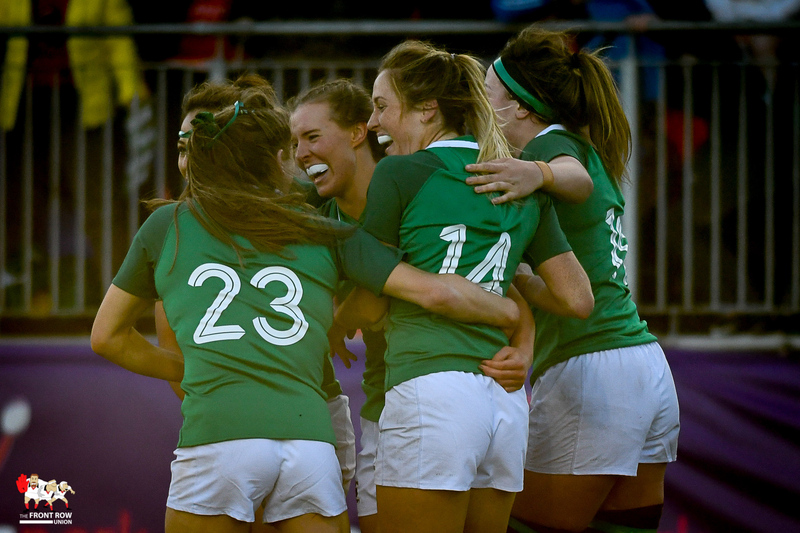 Ireland responded with a try from Laura Sheehan, who crossed in the first half, and a last minute effort from Eimear Considine. 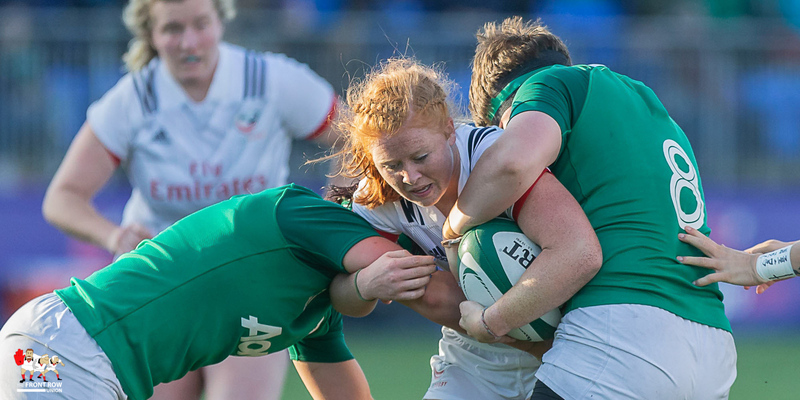 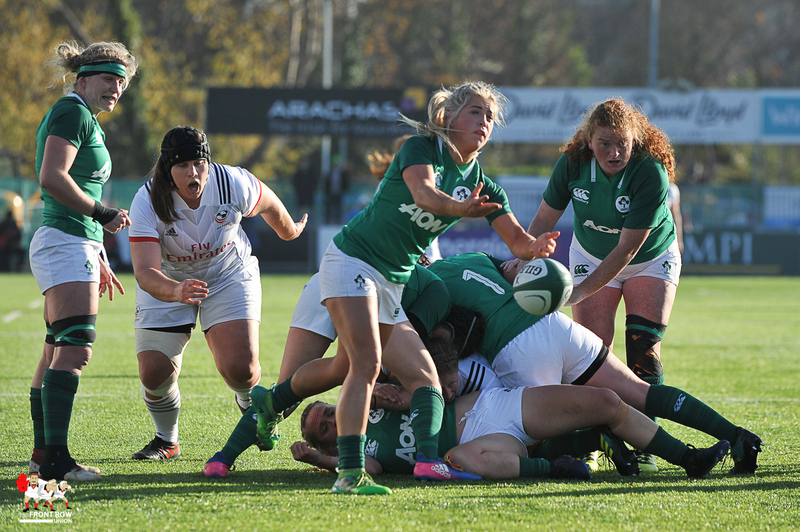 Ireland started the game brightly, with the forwards working the ball into the USA 22. 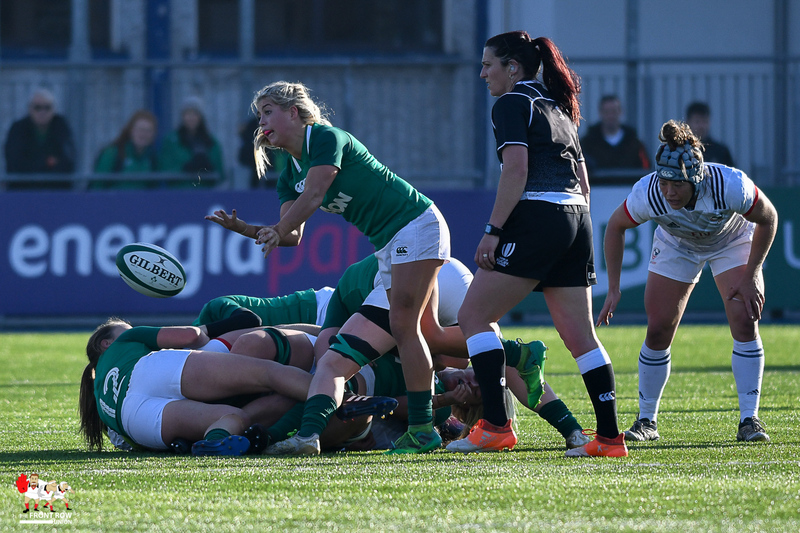 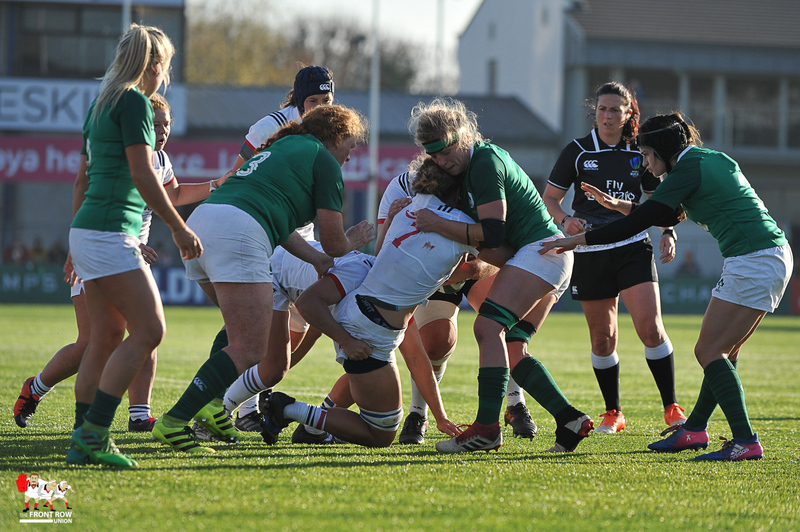 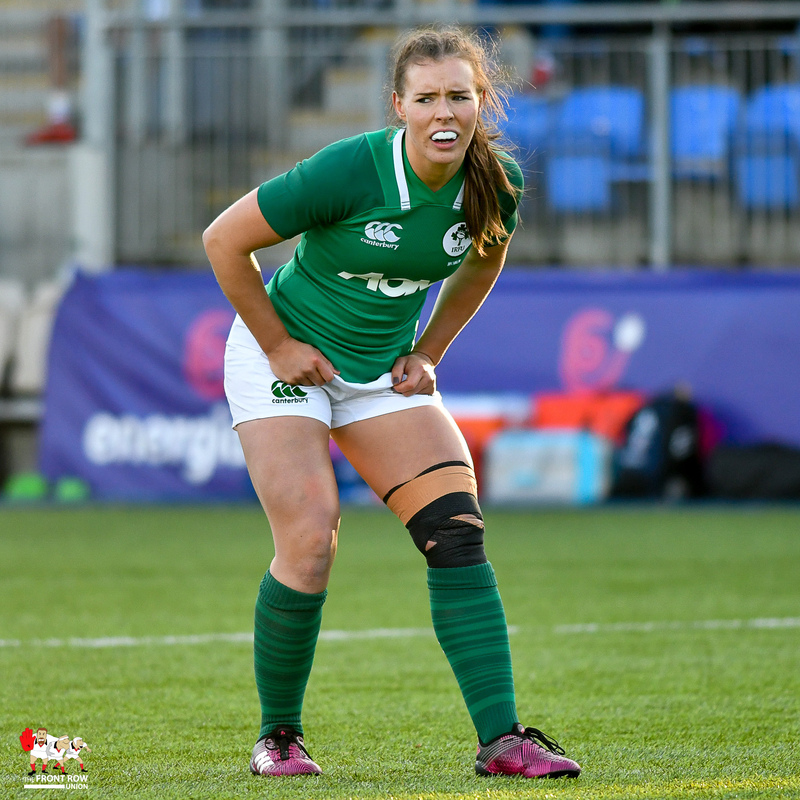 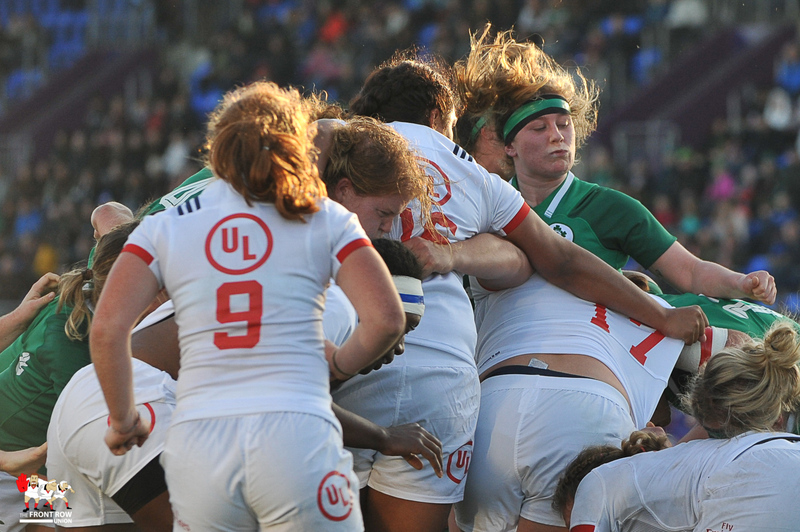 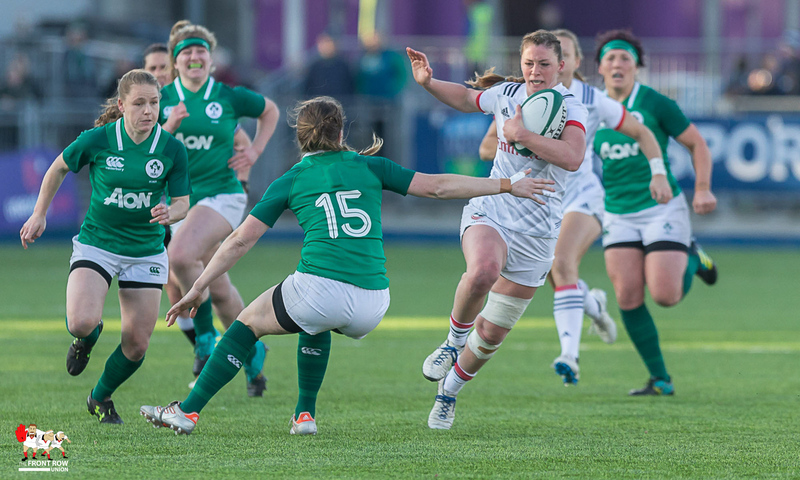 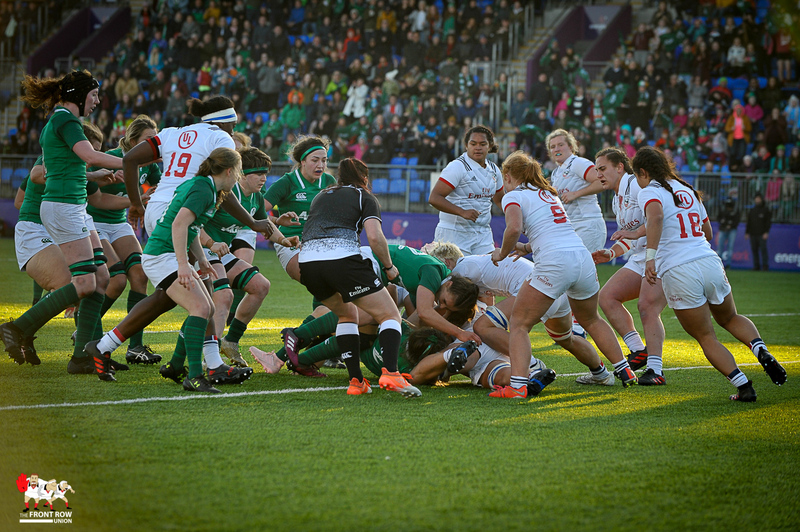 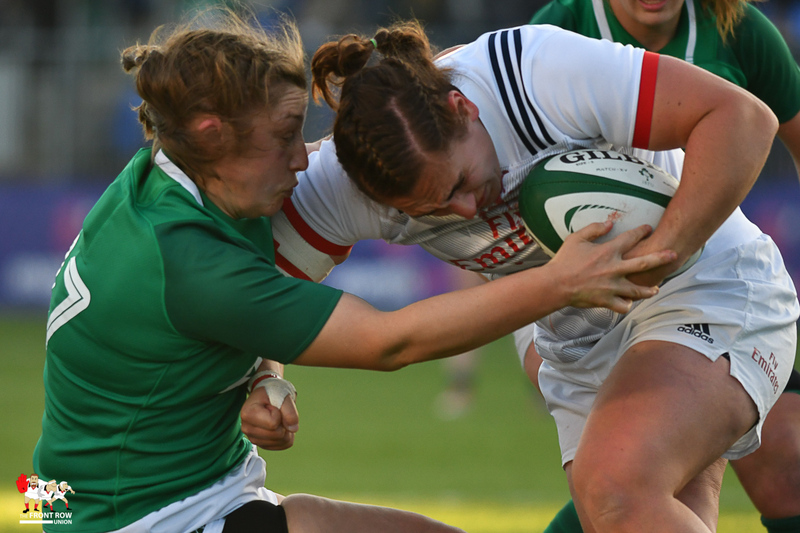 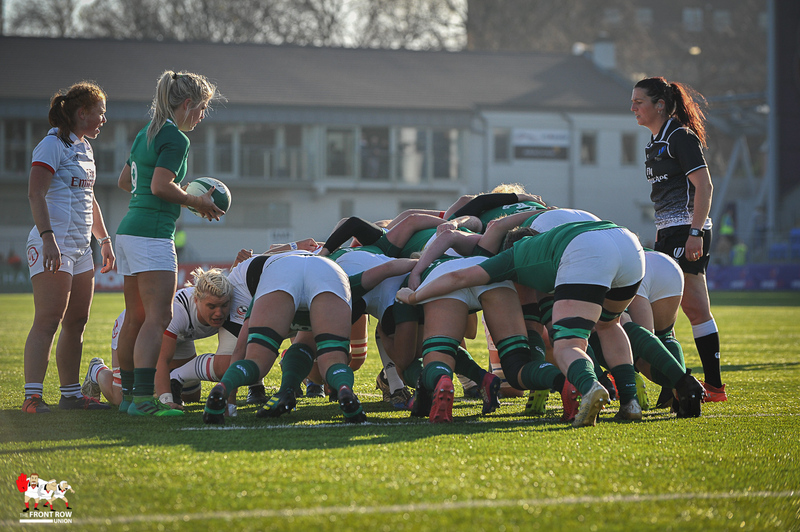 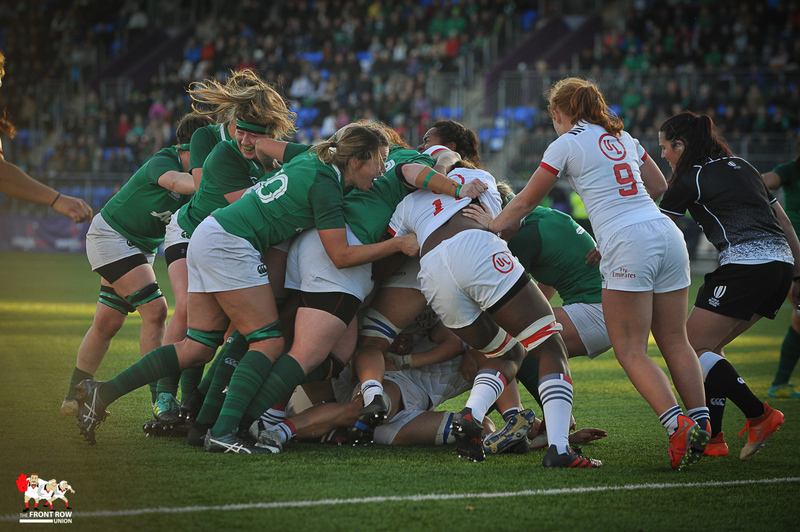 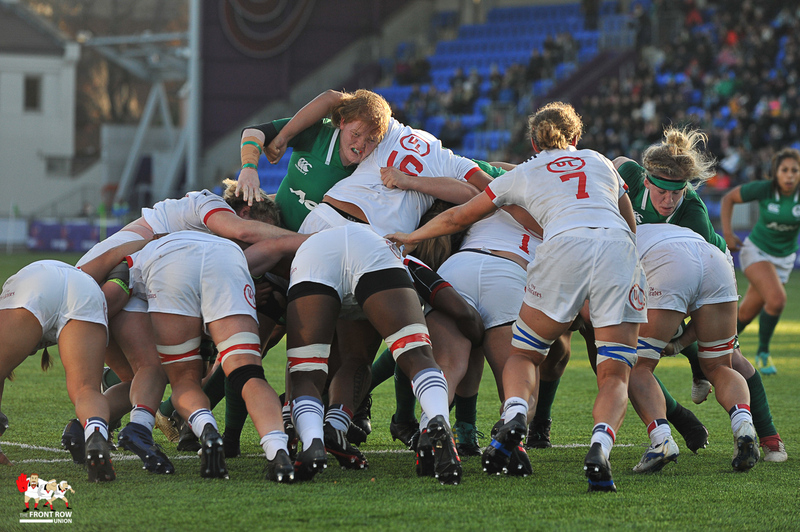 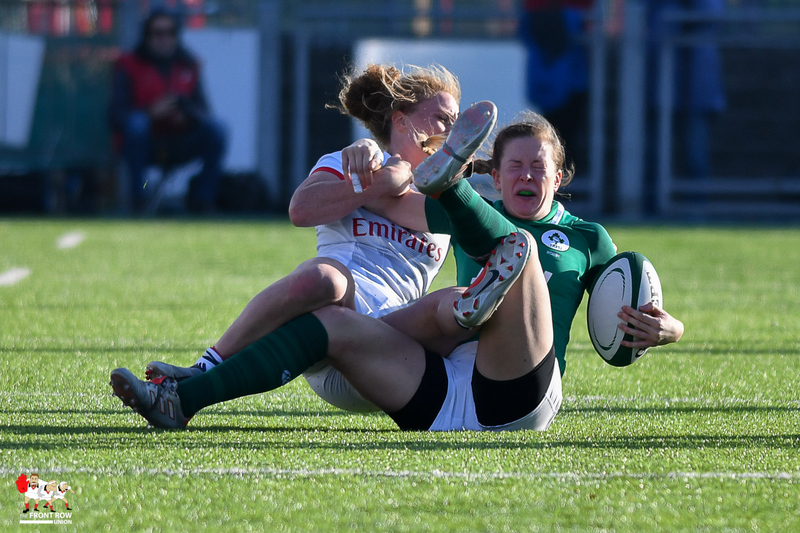 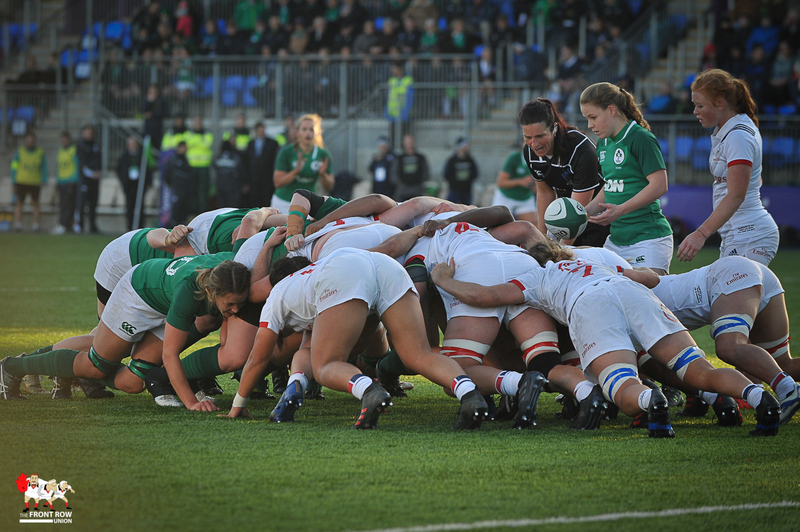 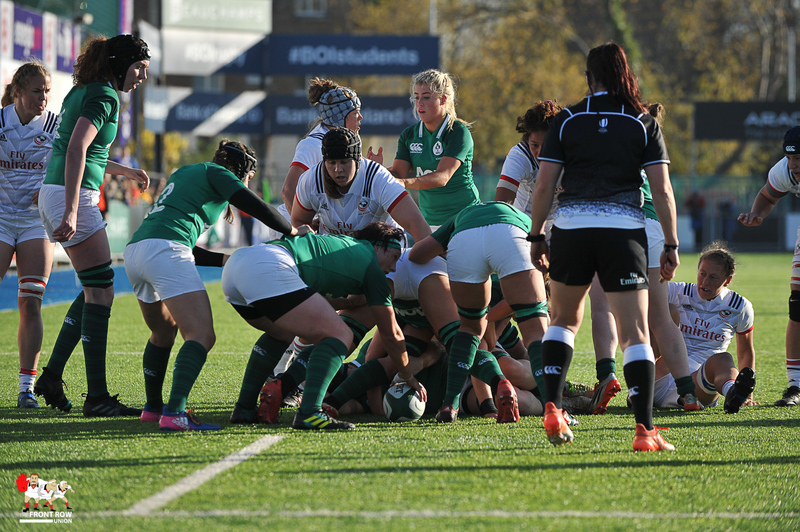 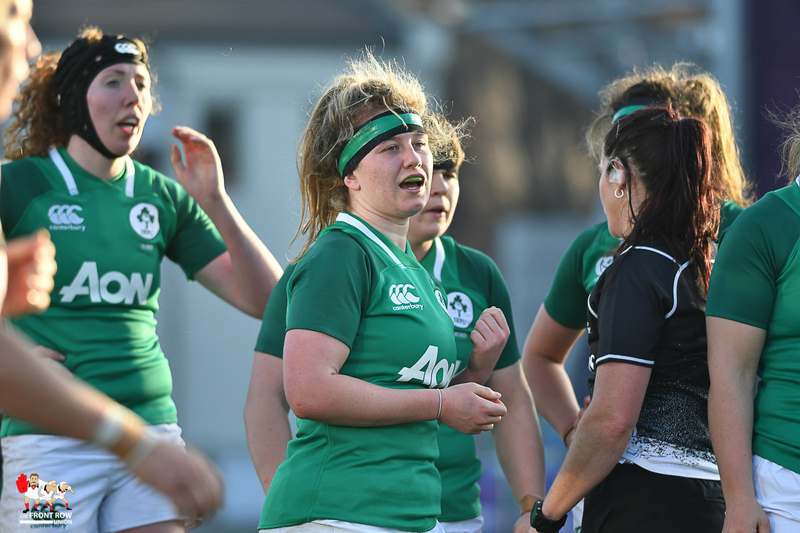 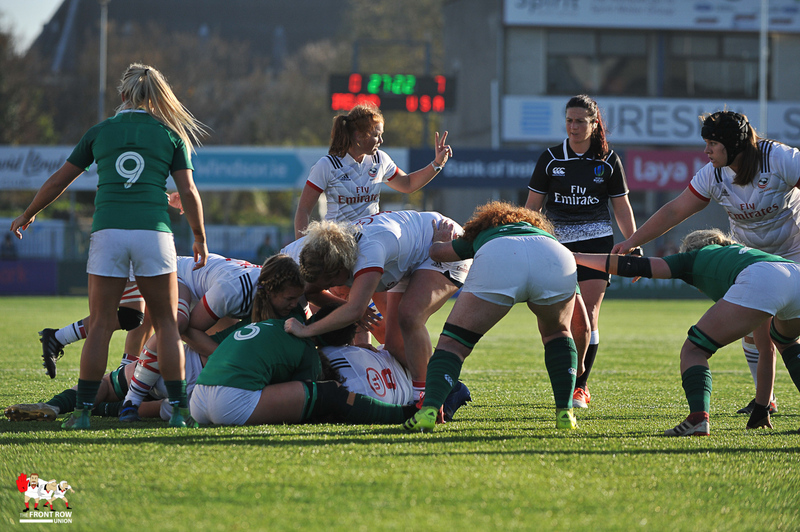 Ireland attacked off of their strong mauls, with Lindsay Peat making busting runs from the back. 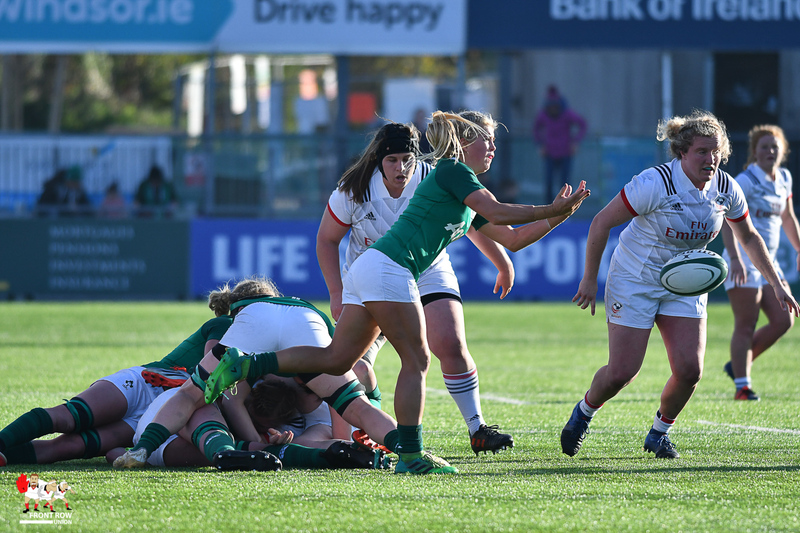 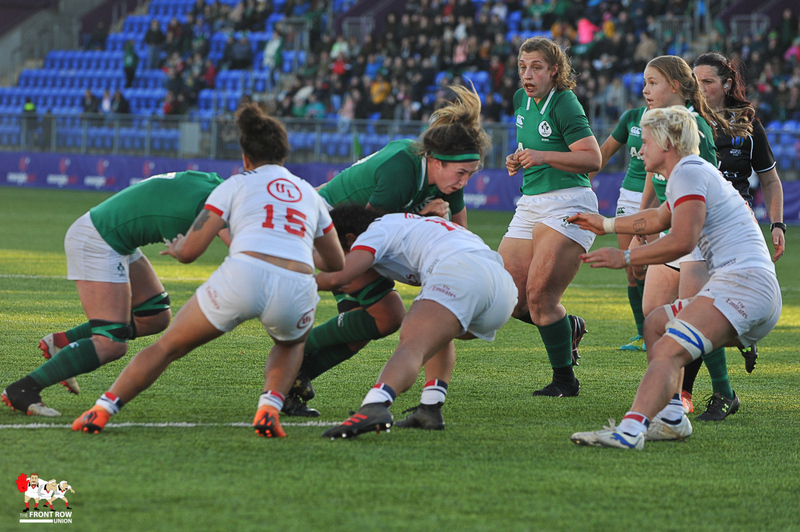 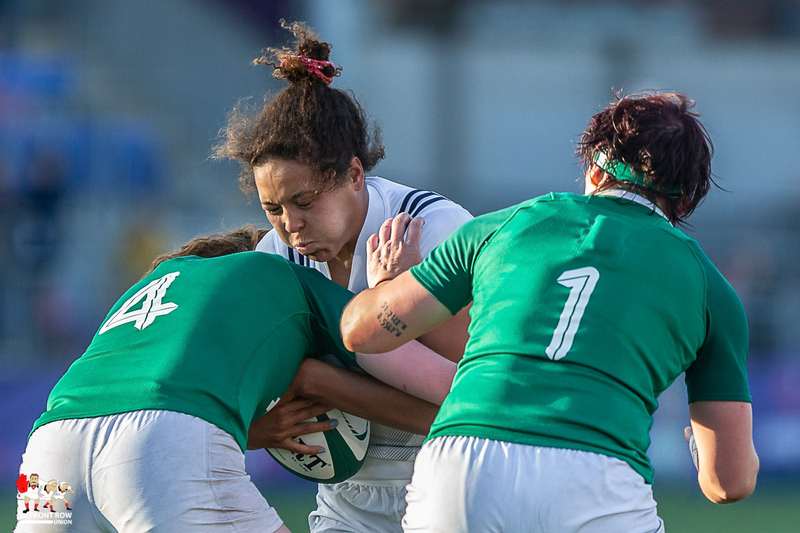 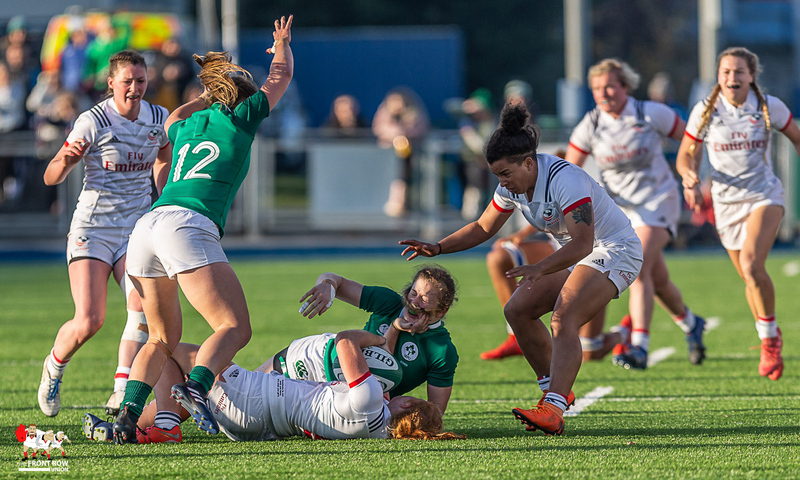 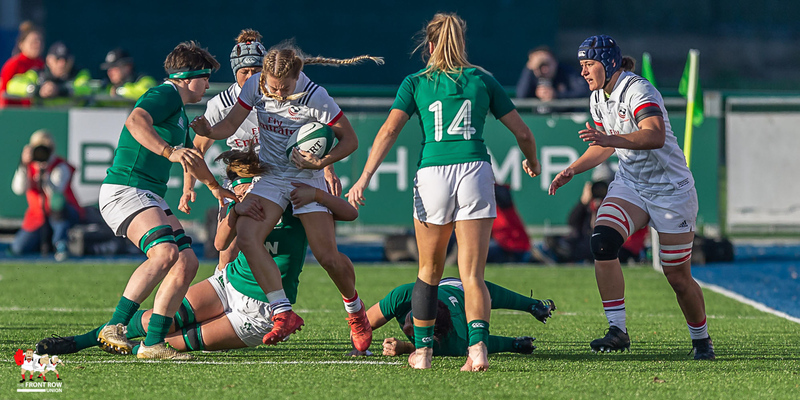 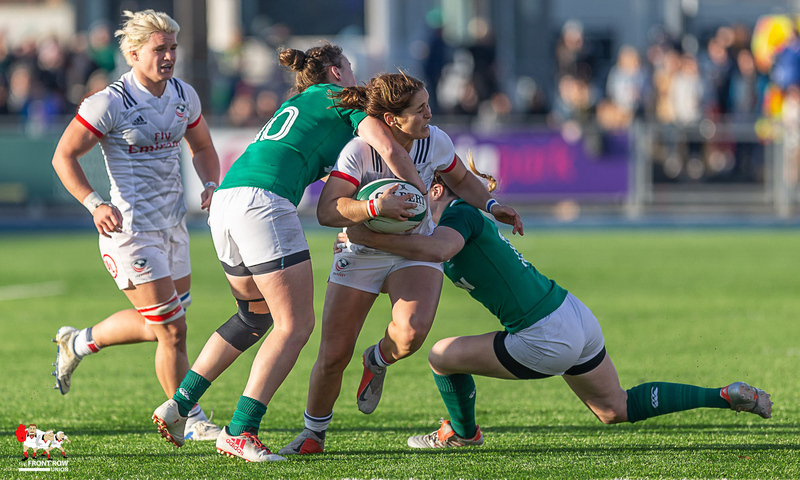 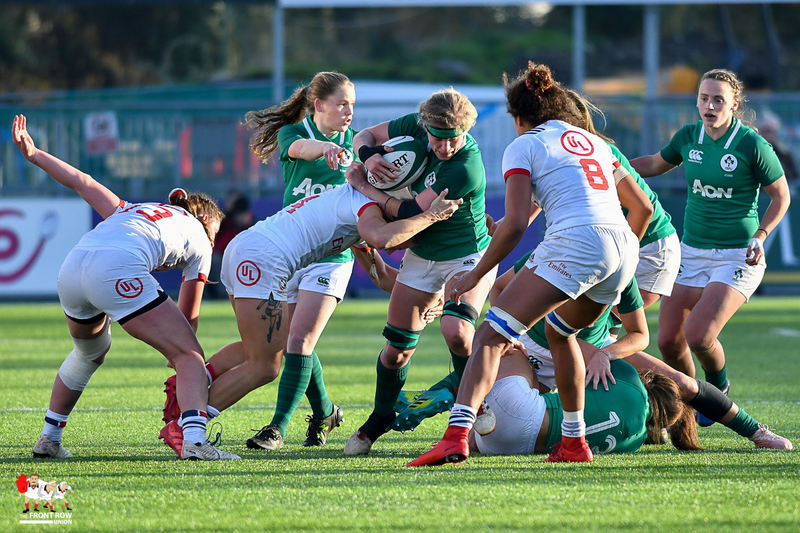 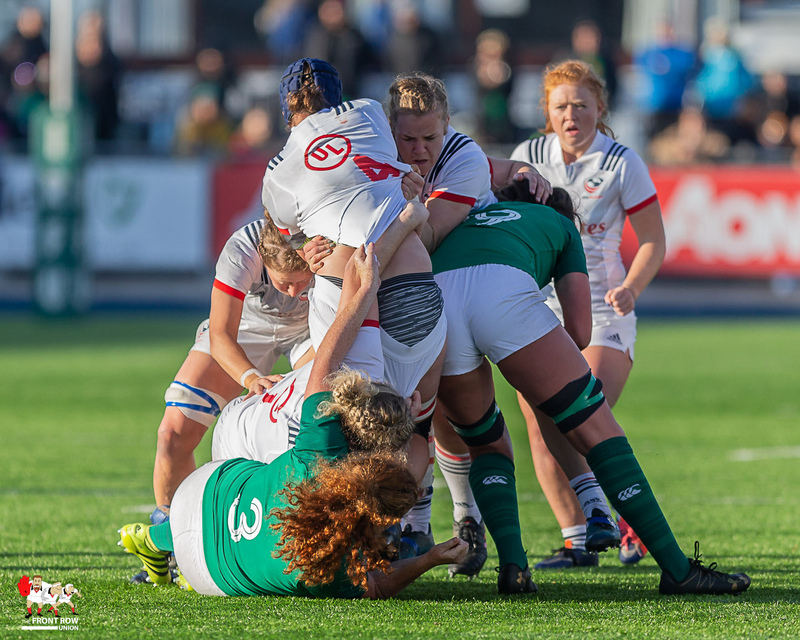 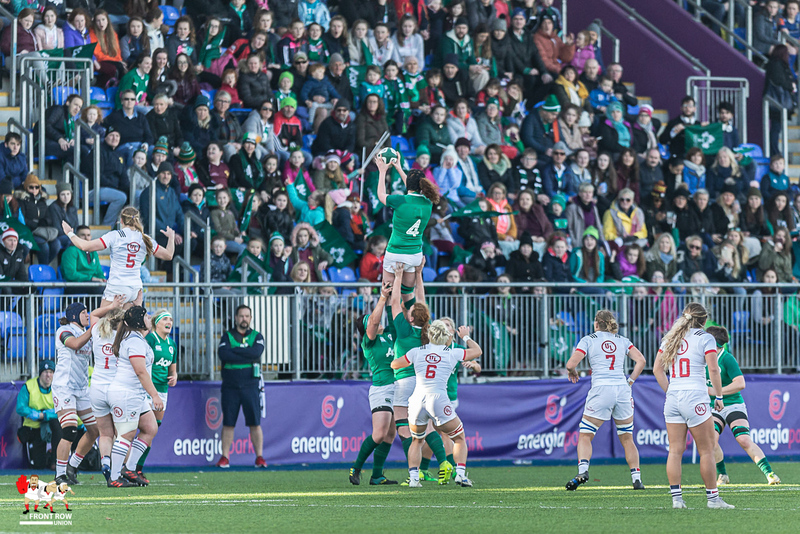 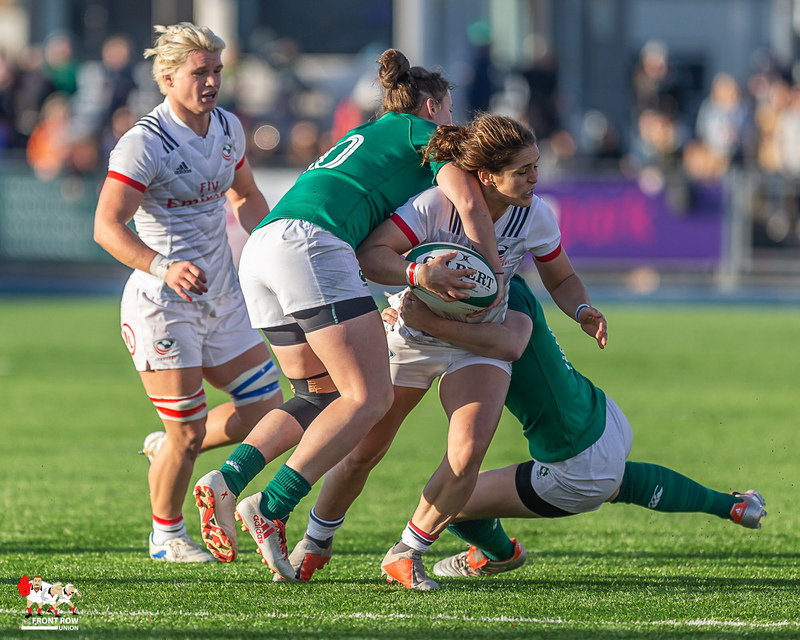 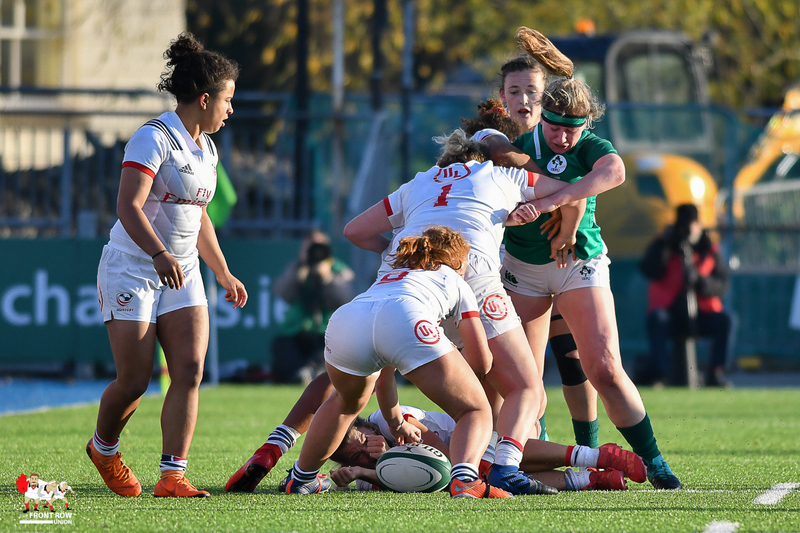 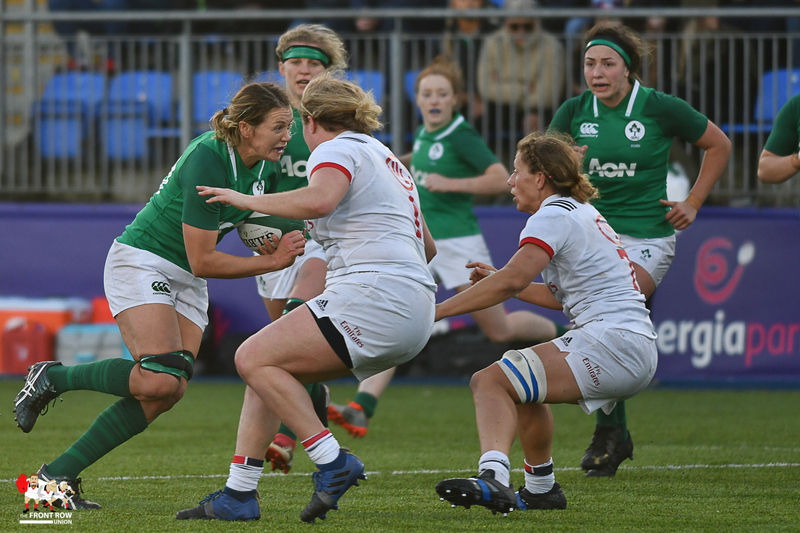 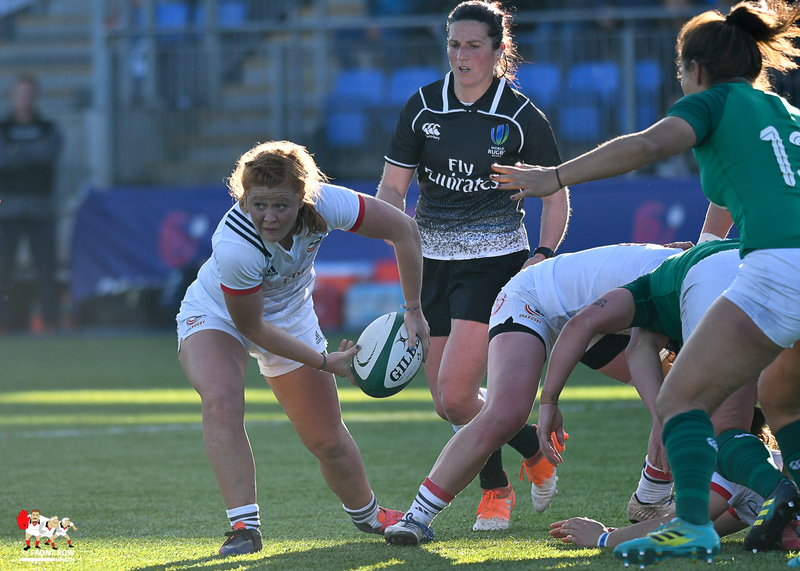 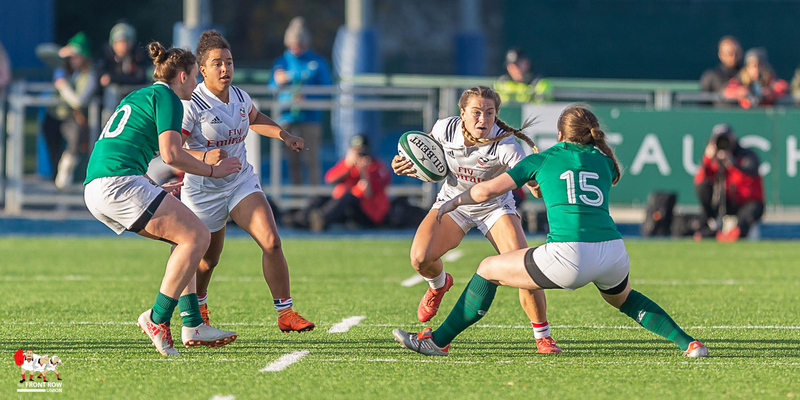 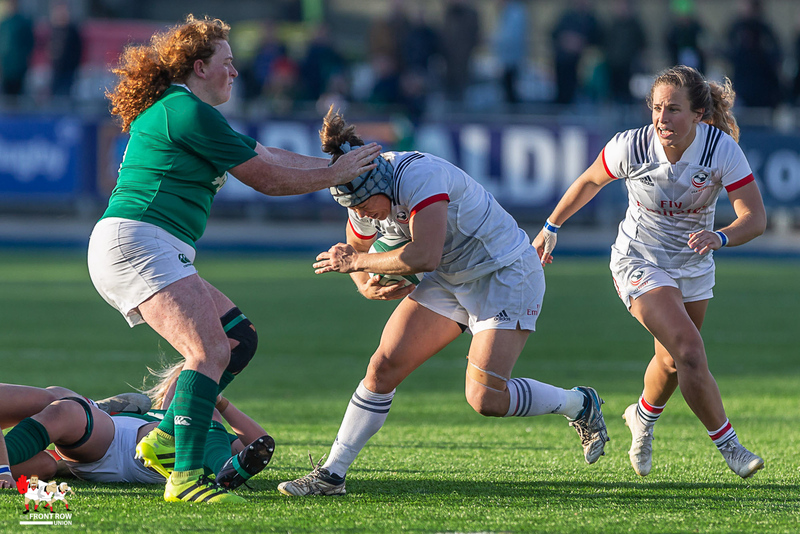 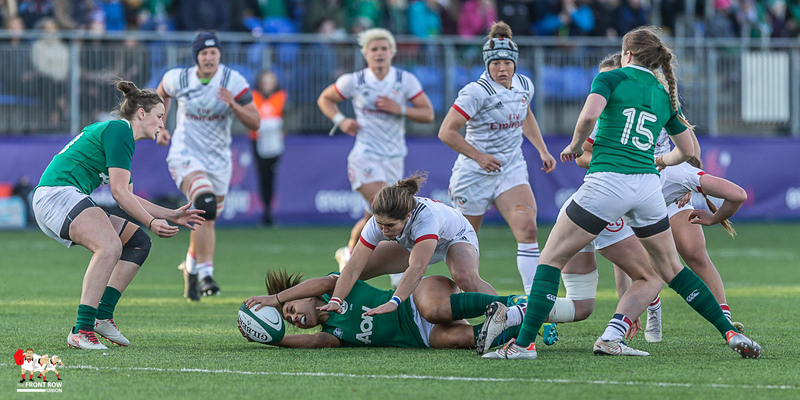 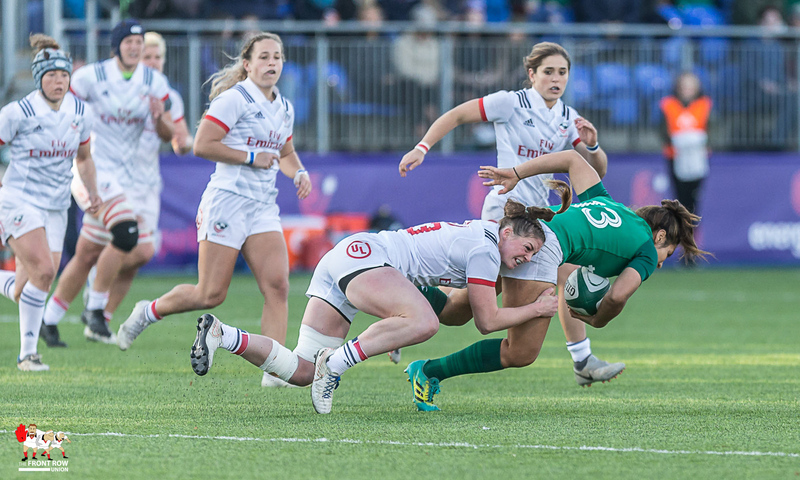 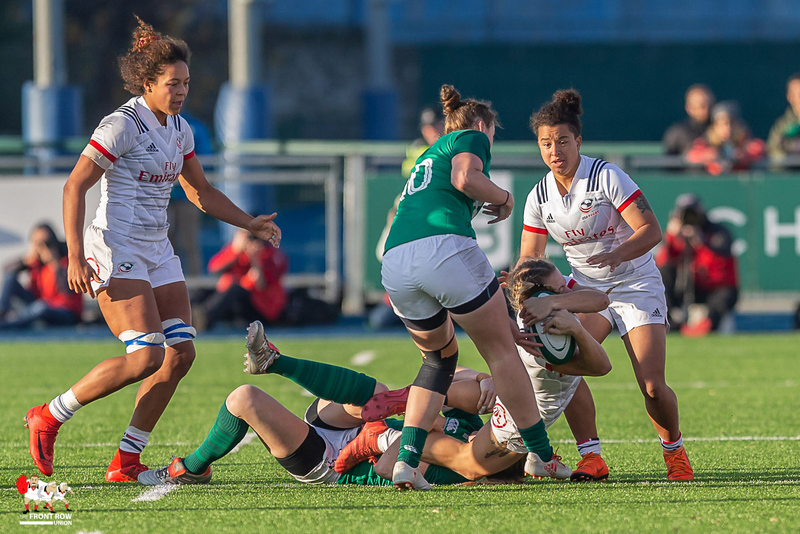 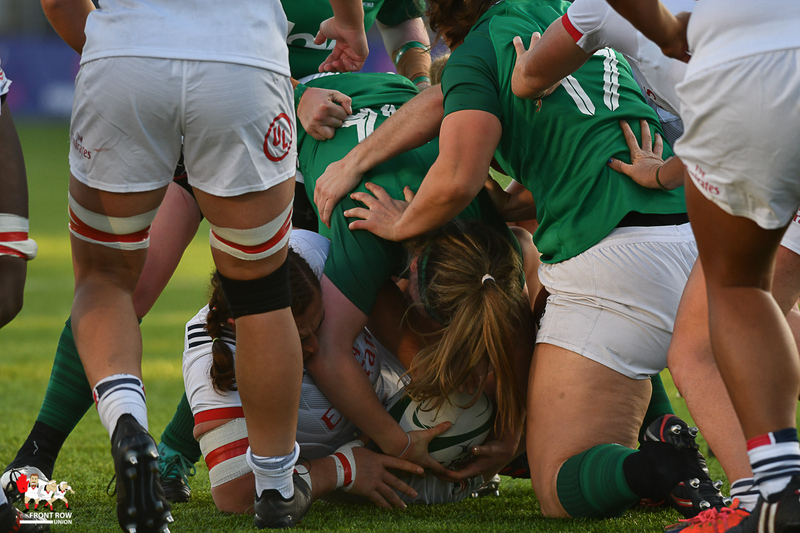 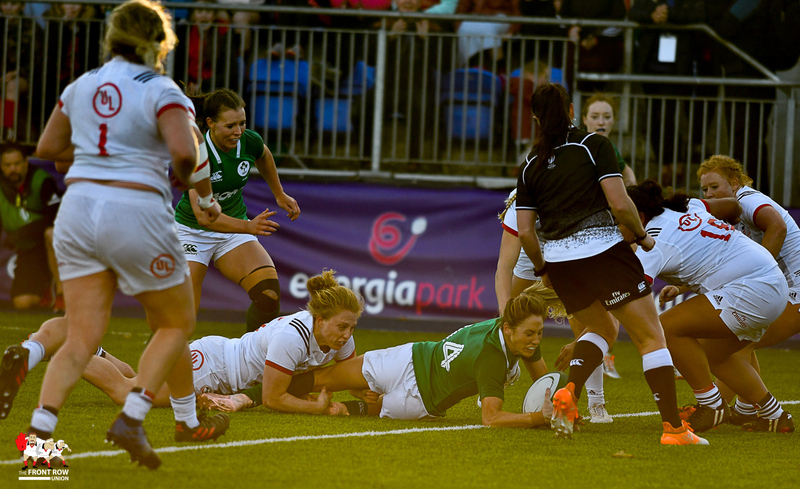 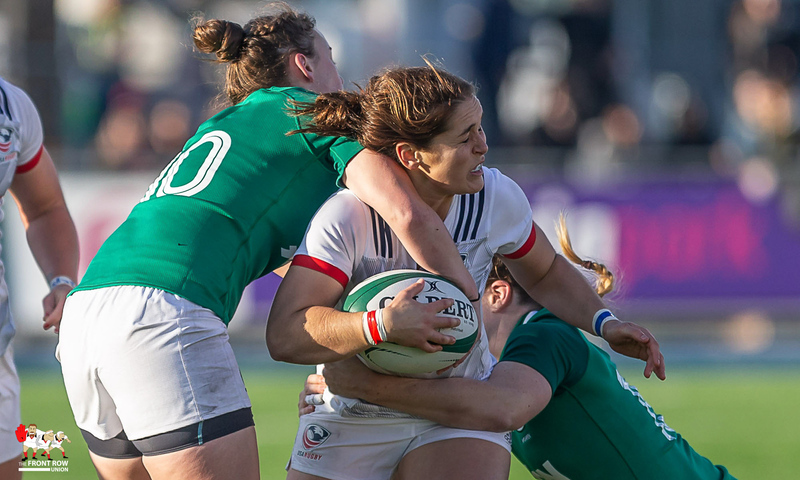 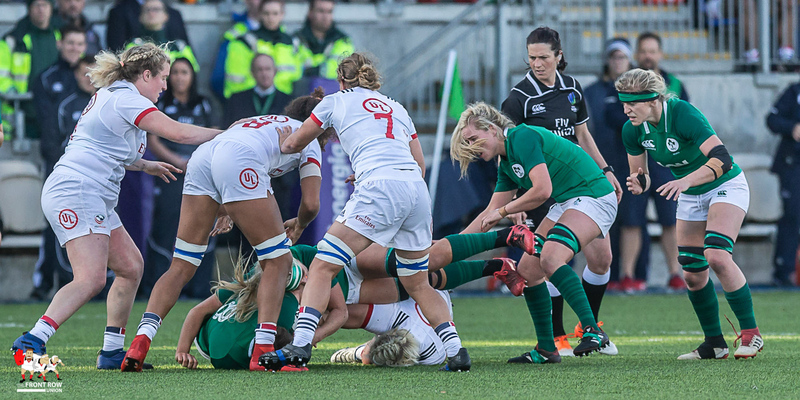 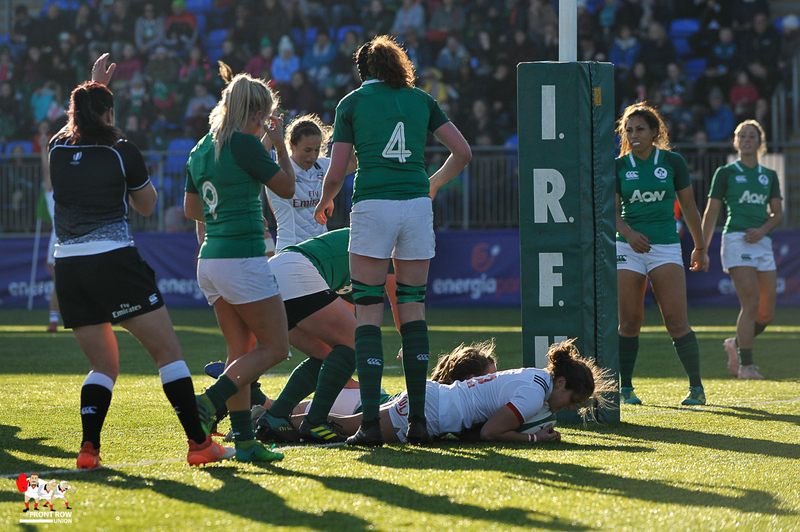 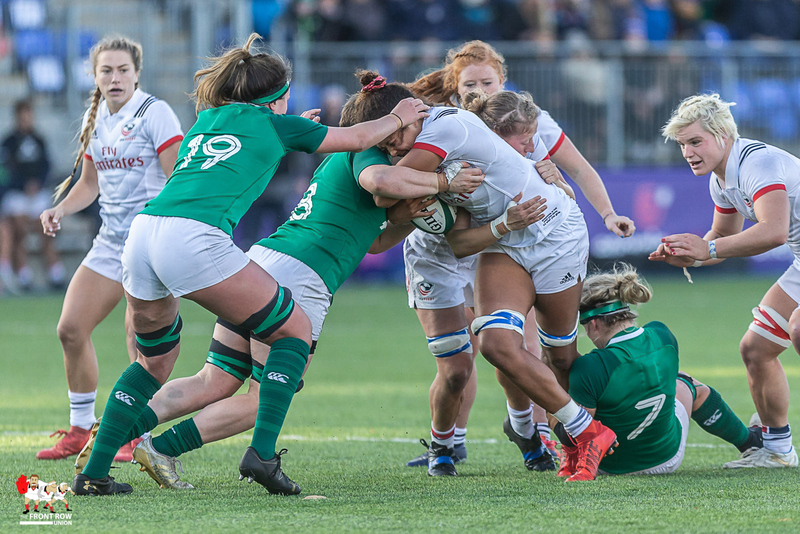 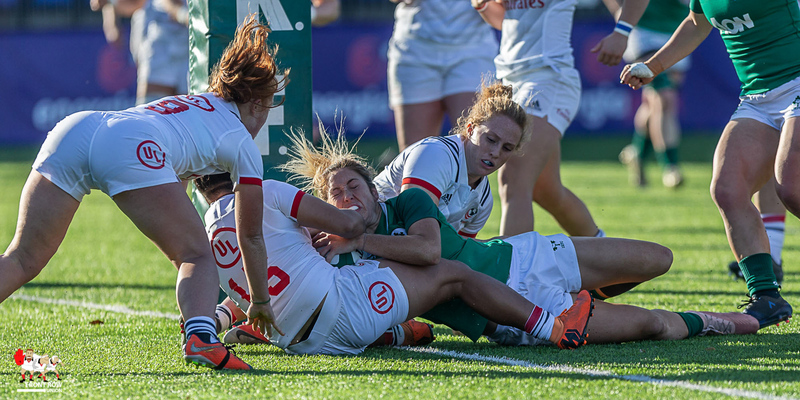 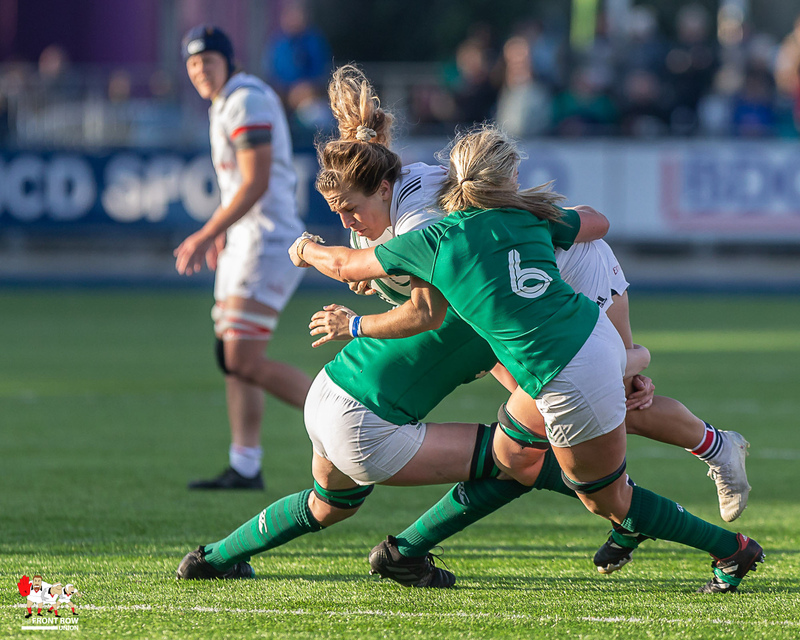 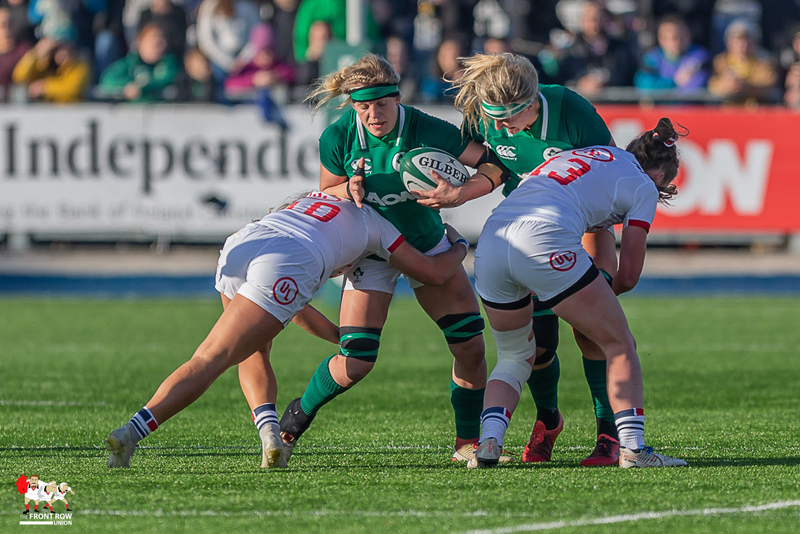 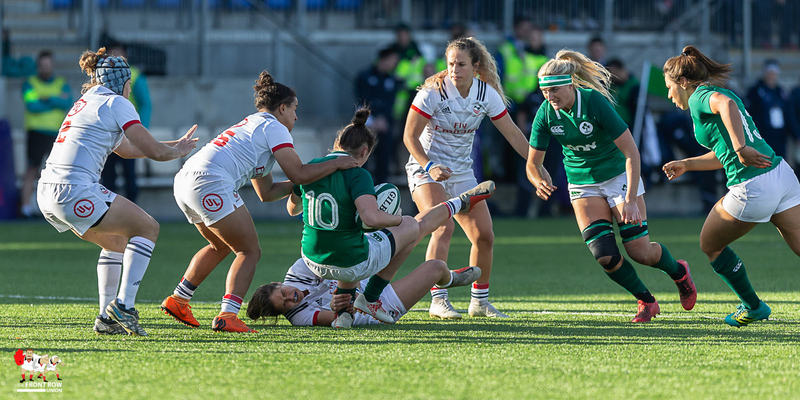 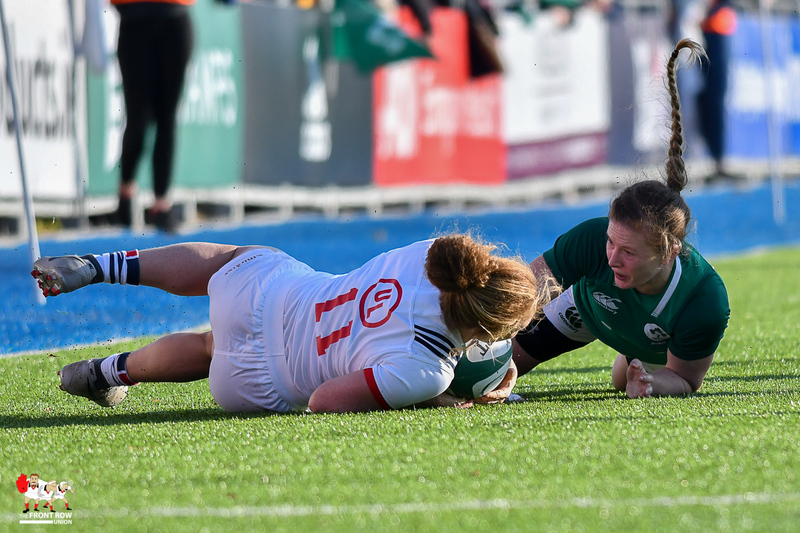 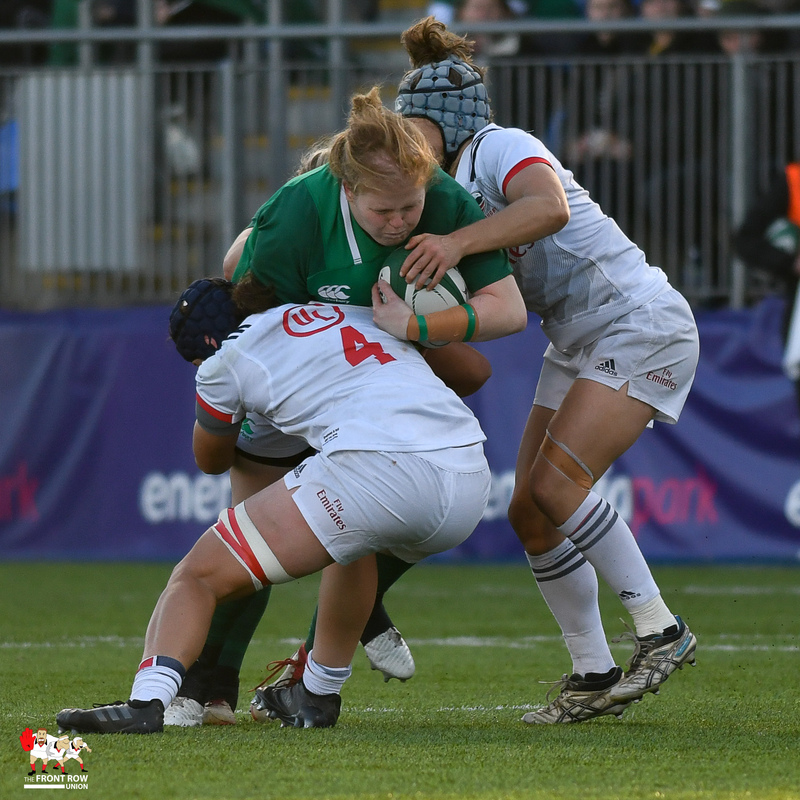 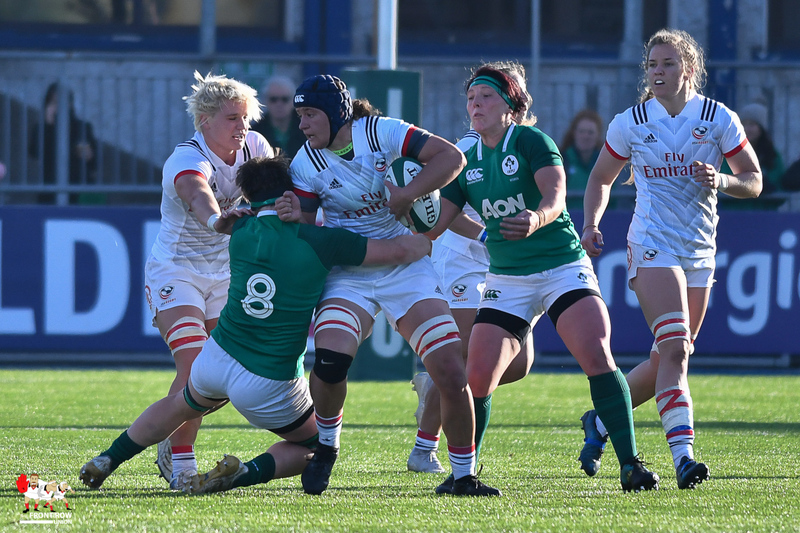 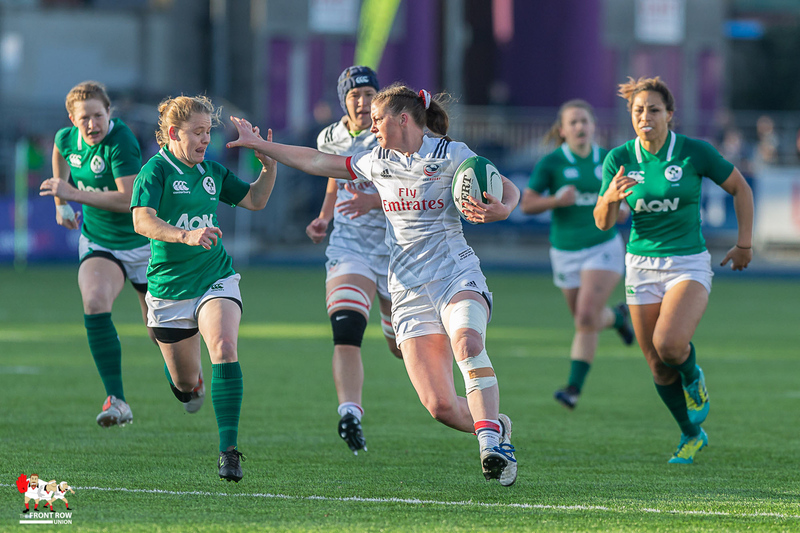 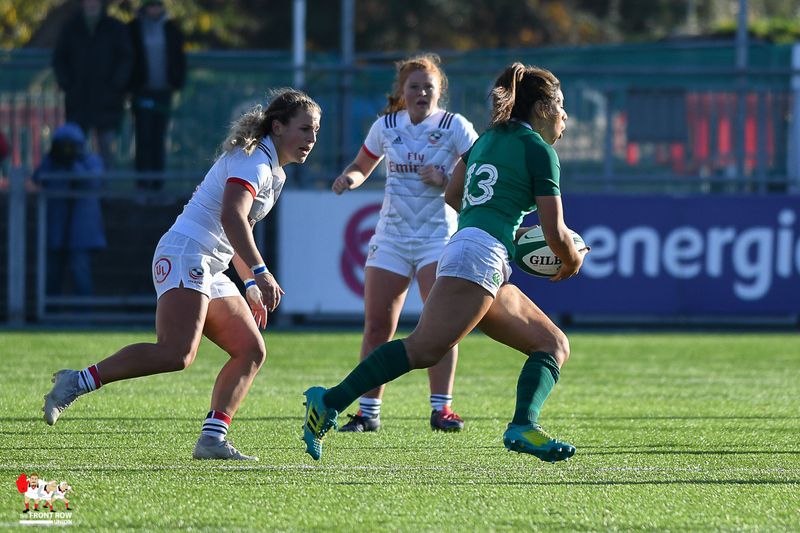 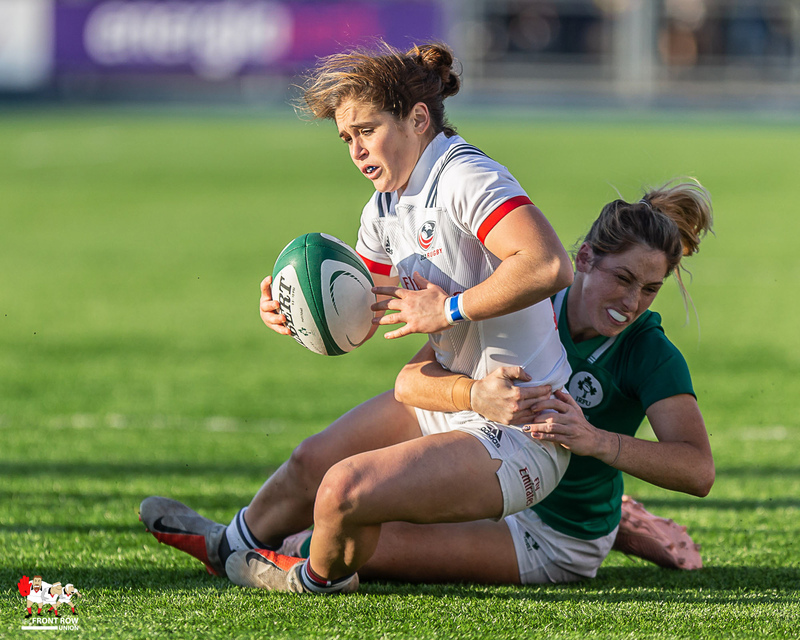 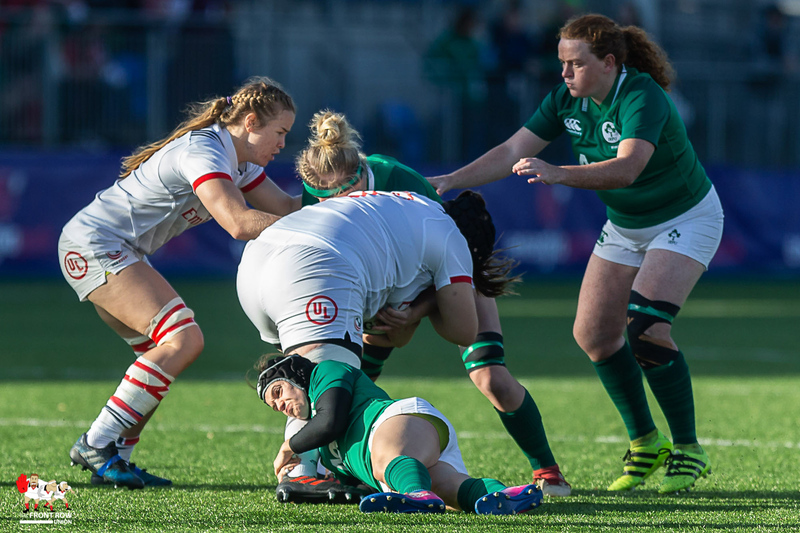 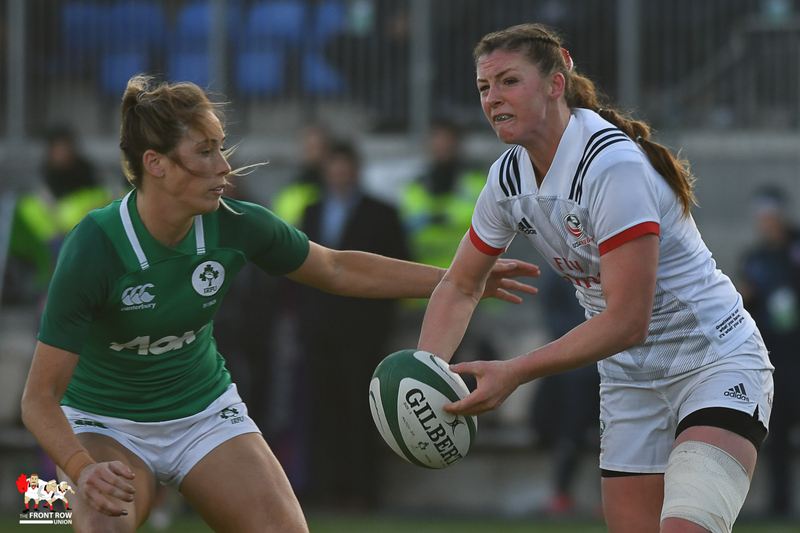 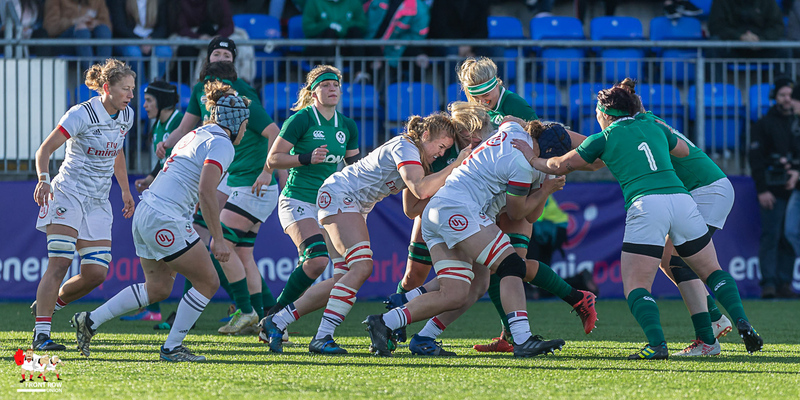 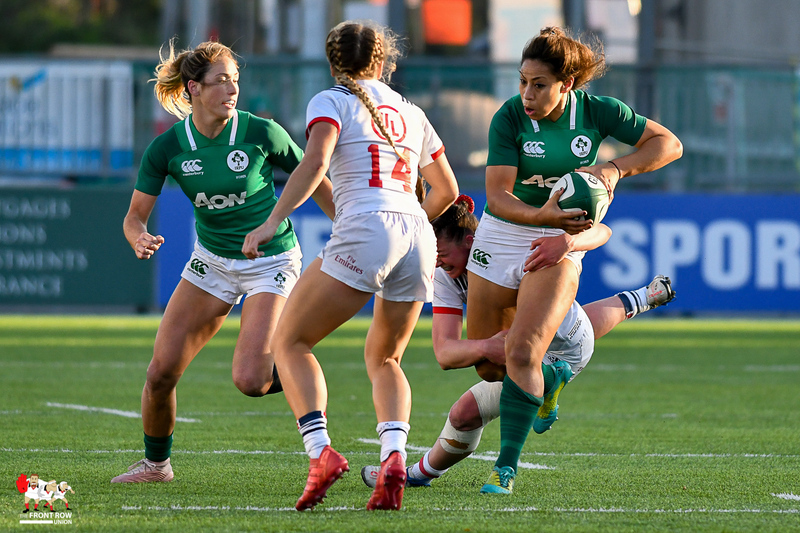 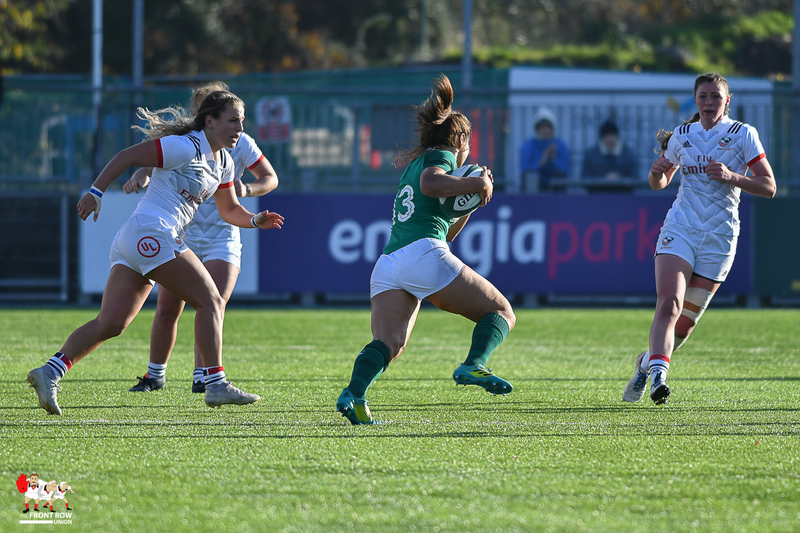 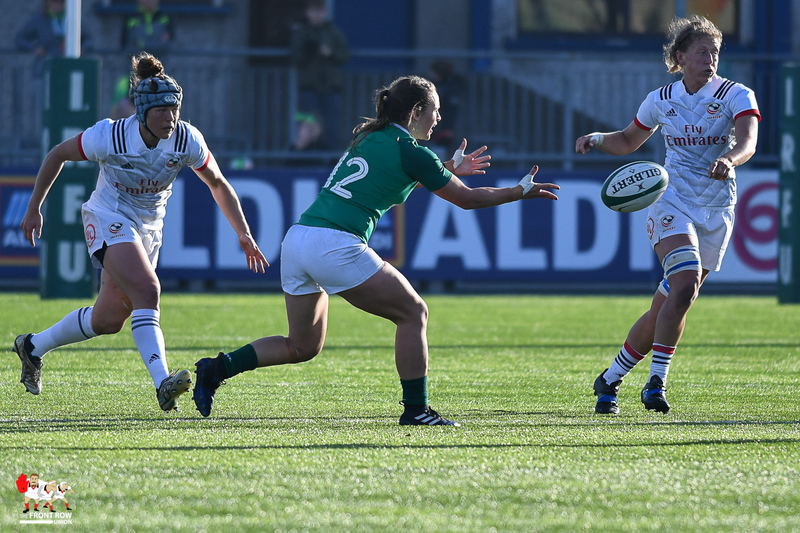 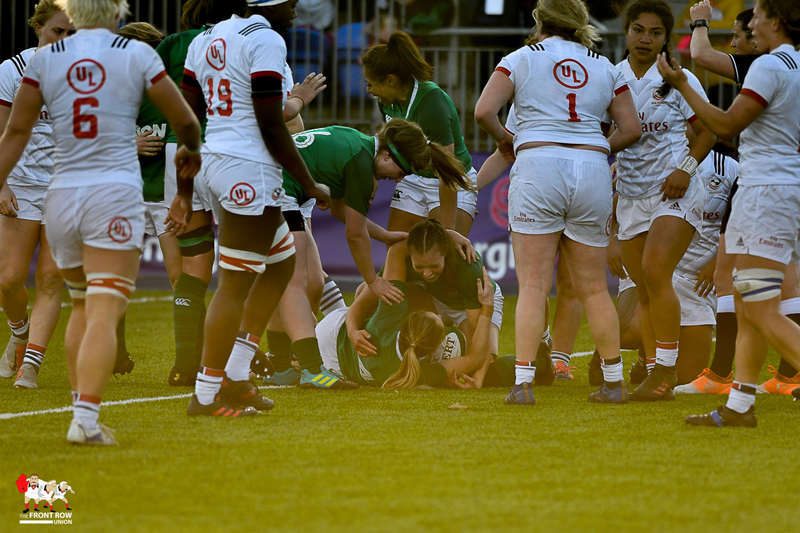 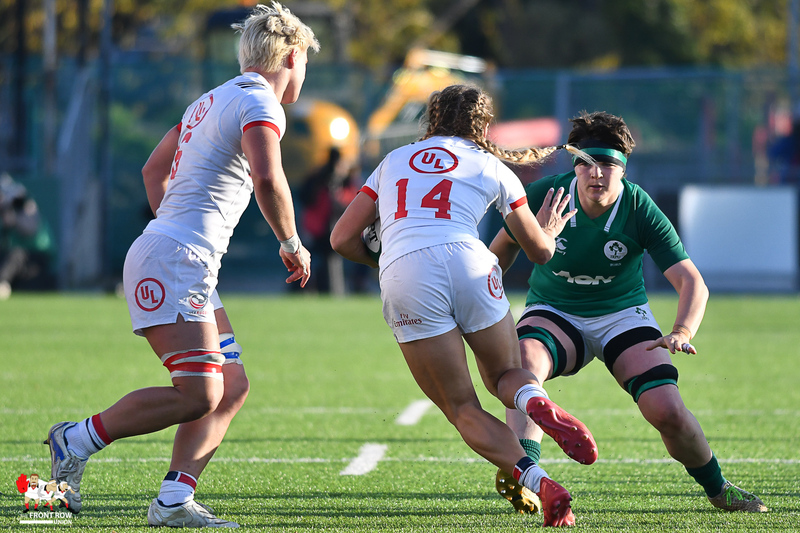 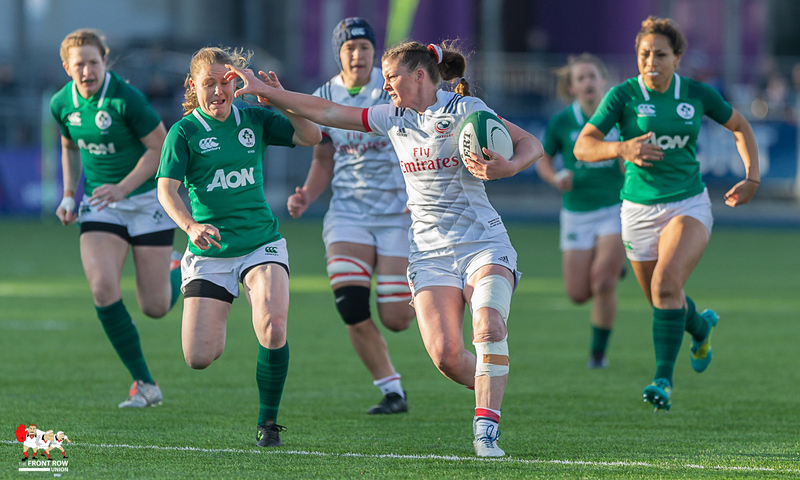 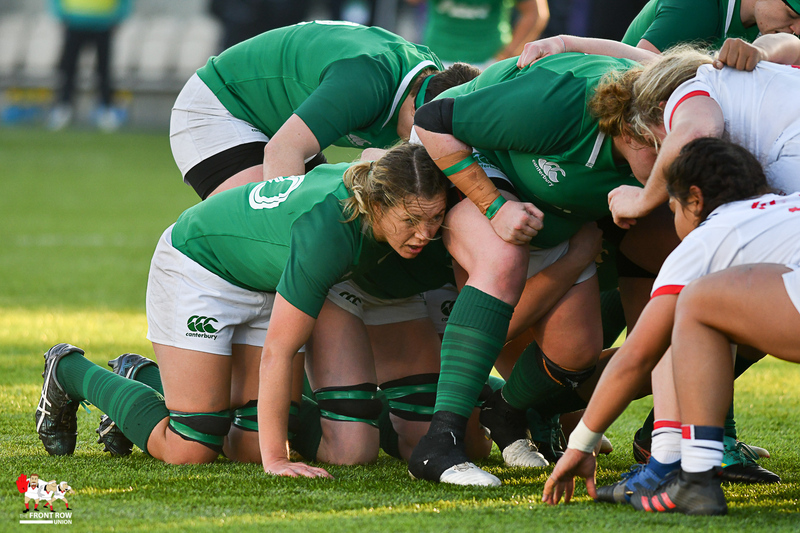 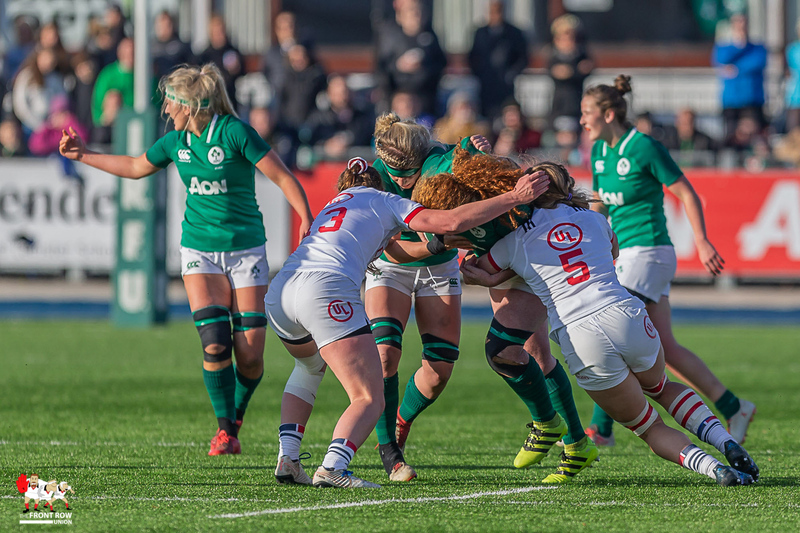 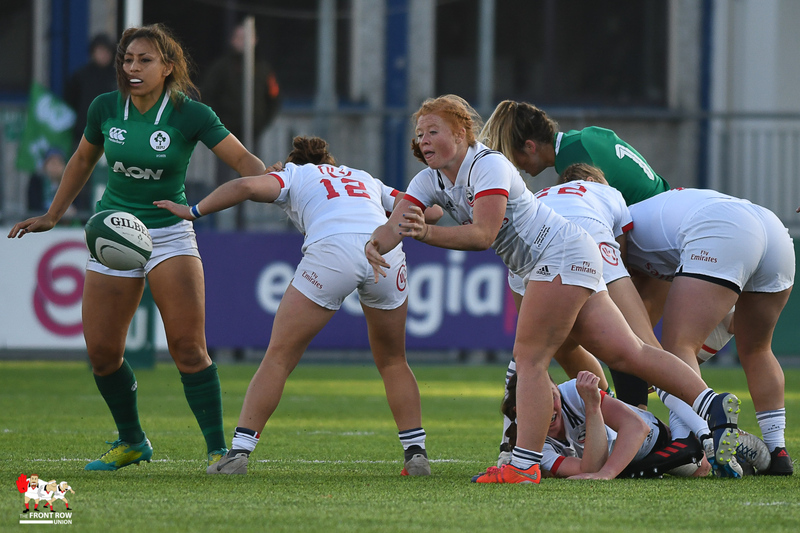 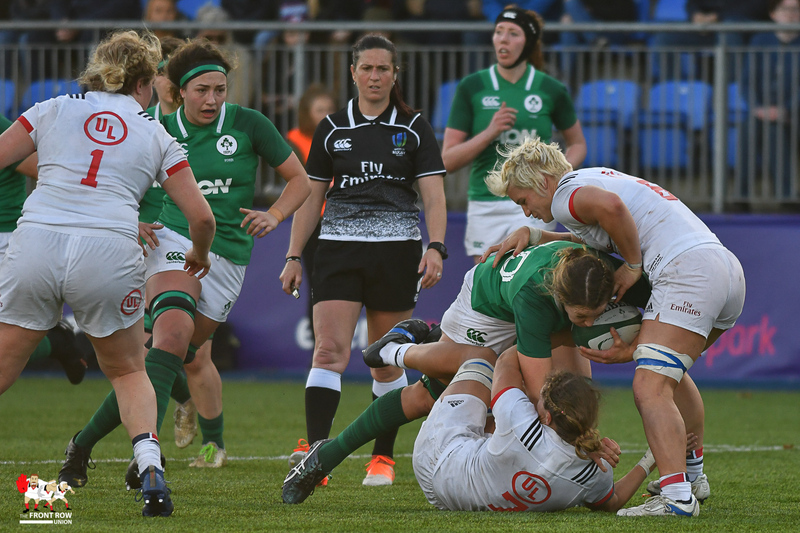 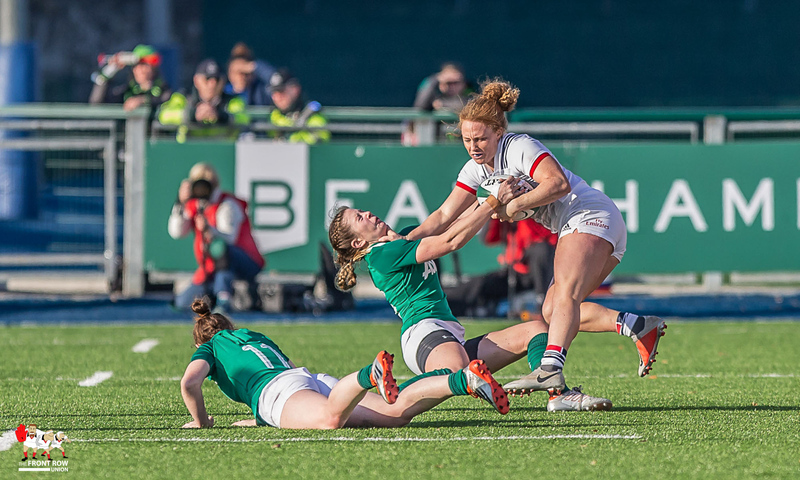 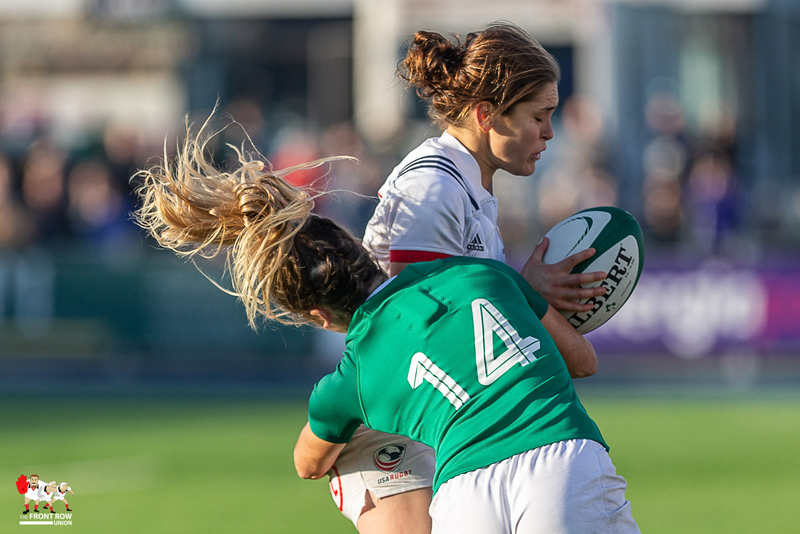 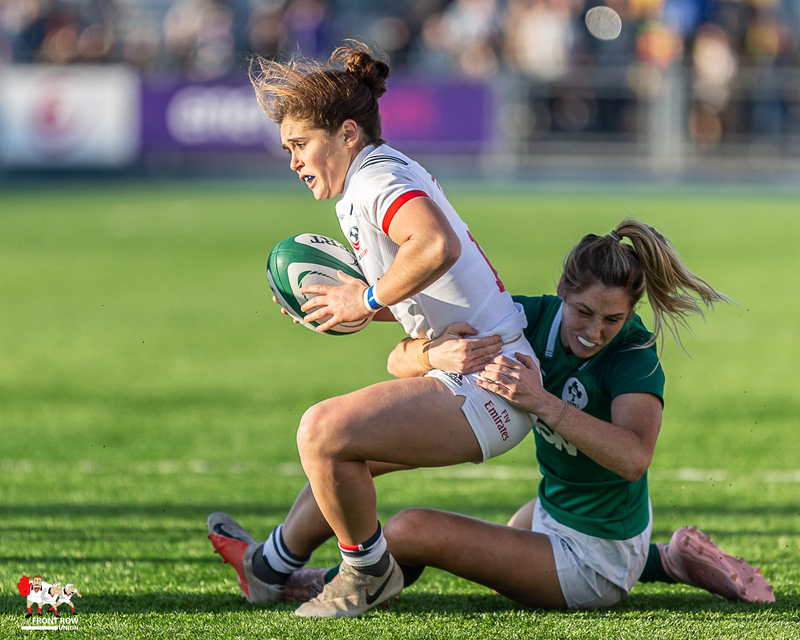 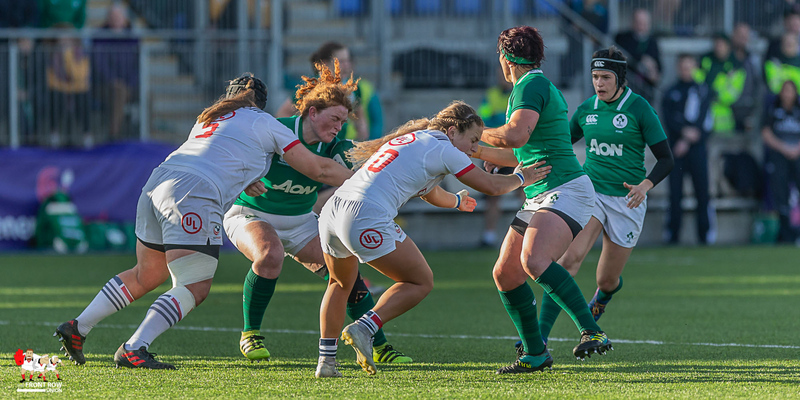 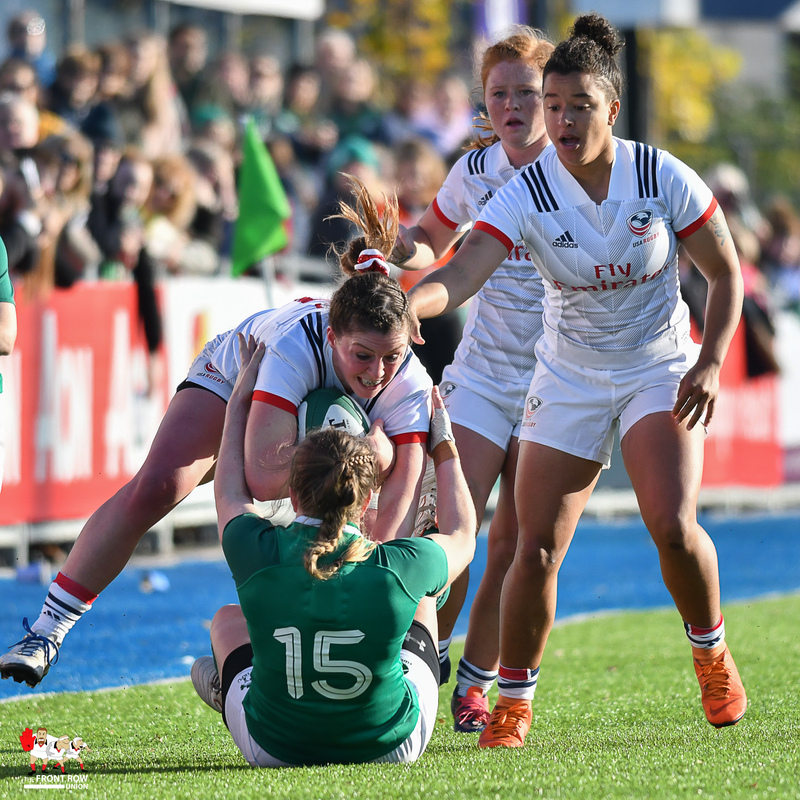 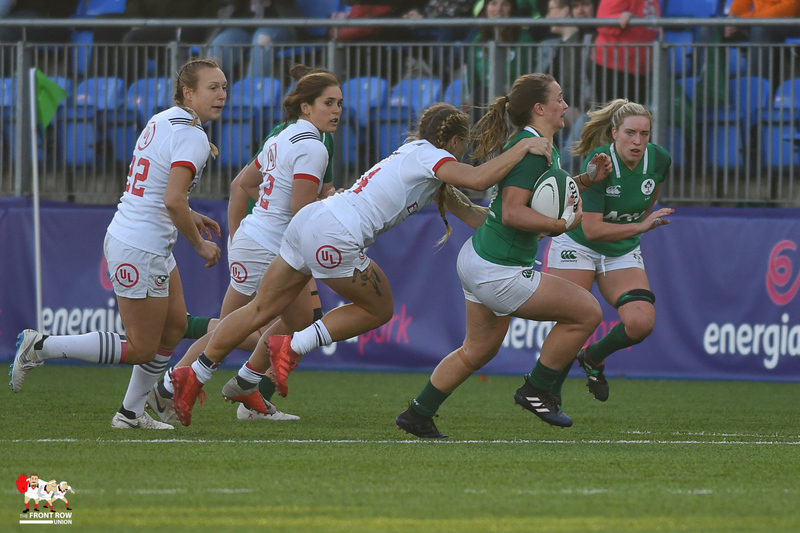 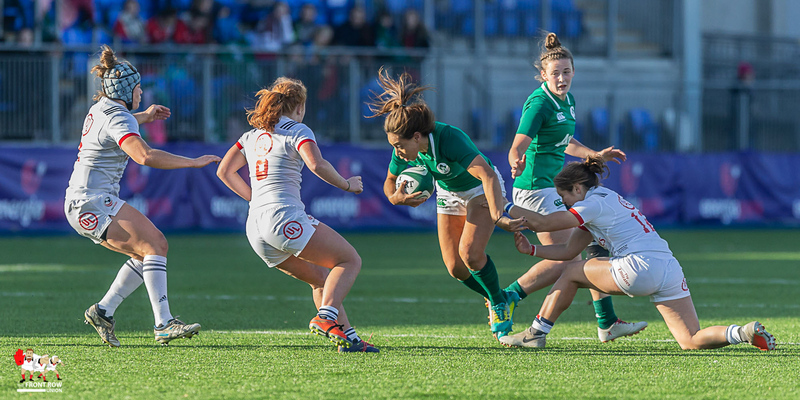 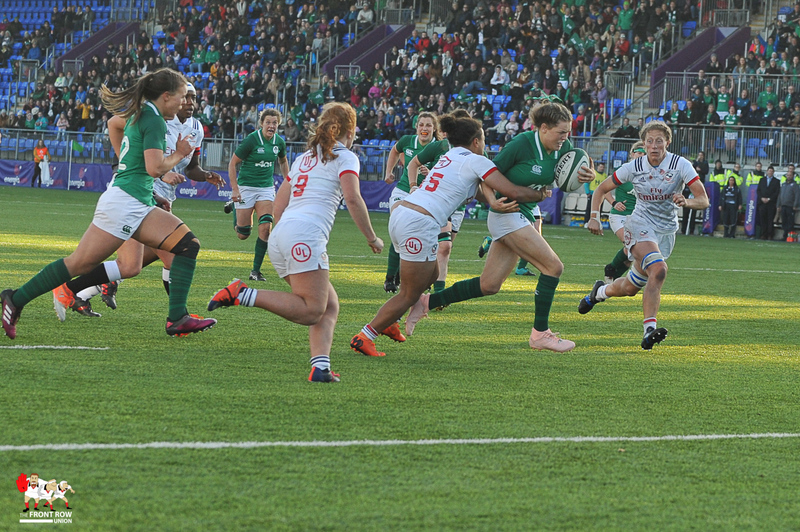 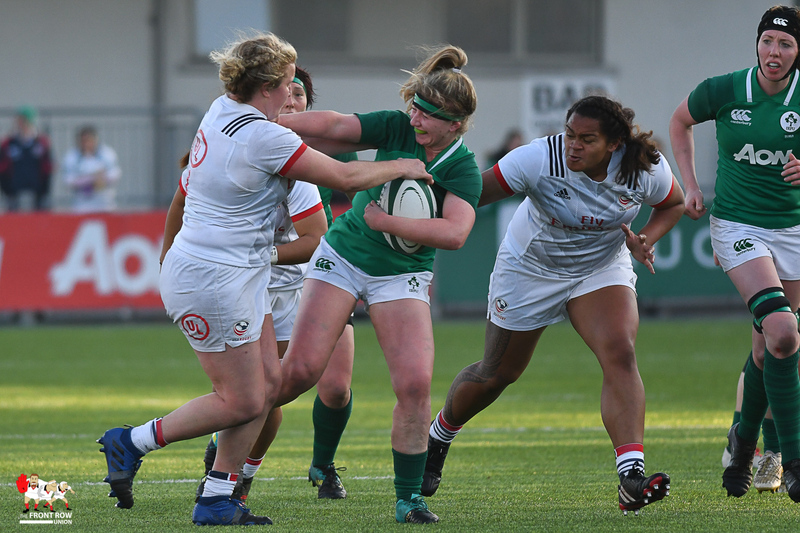 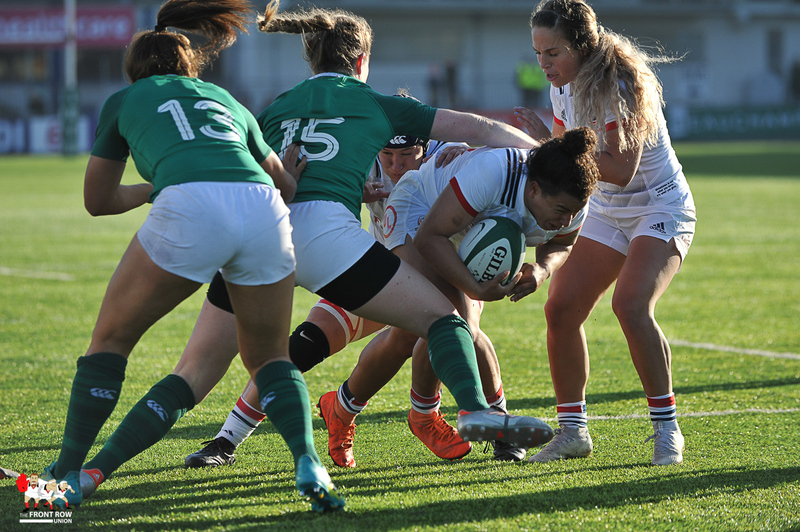 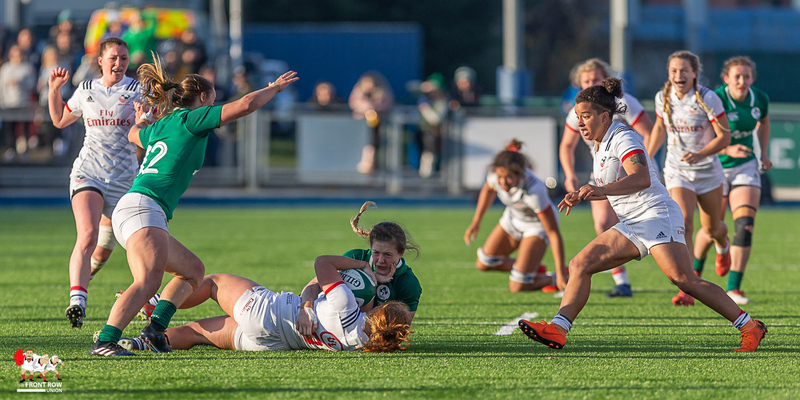 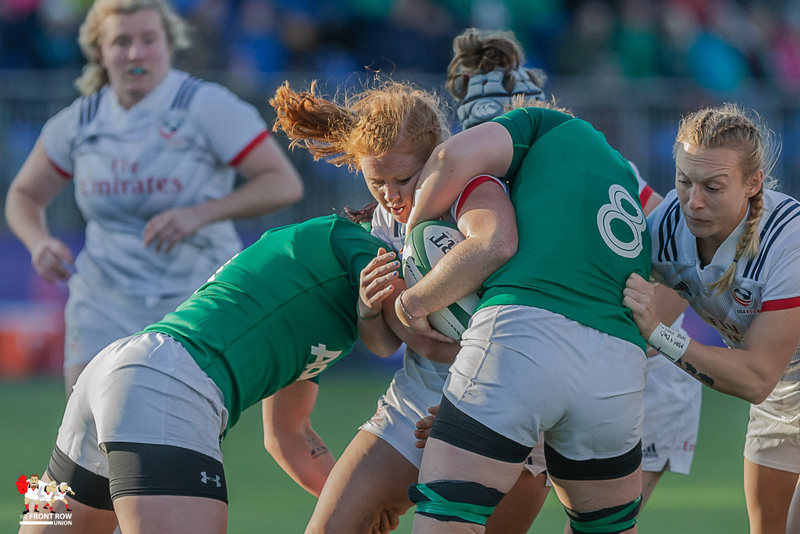 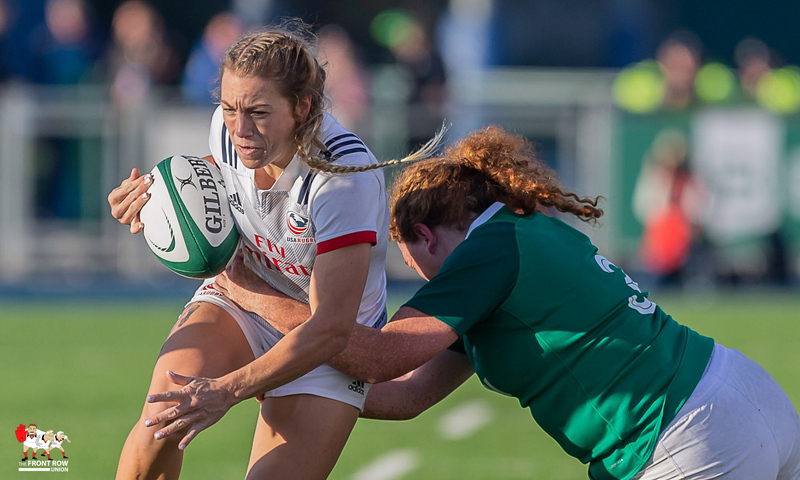 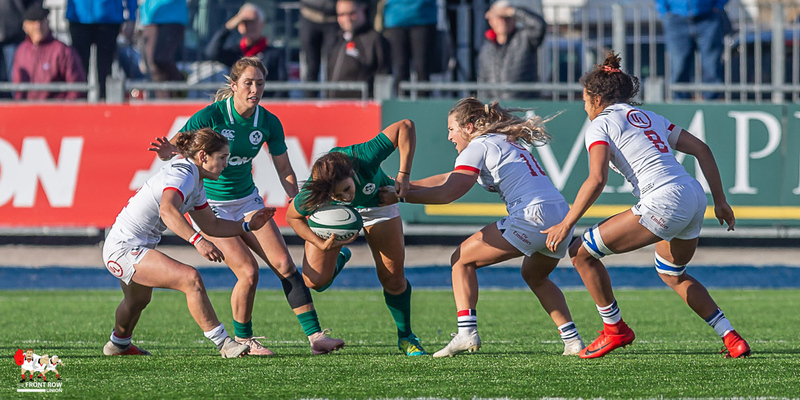 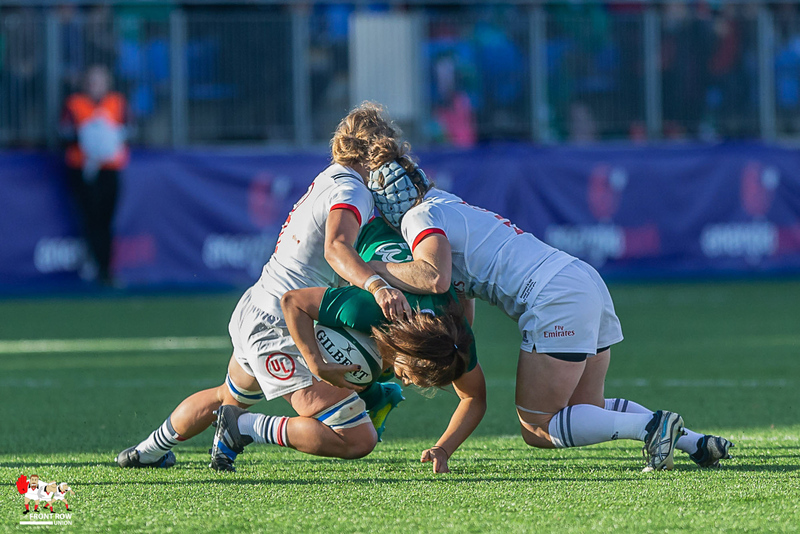 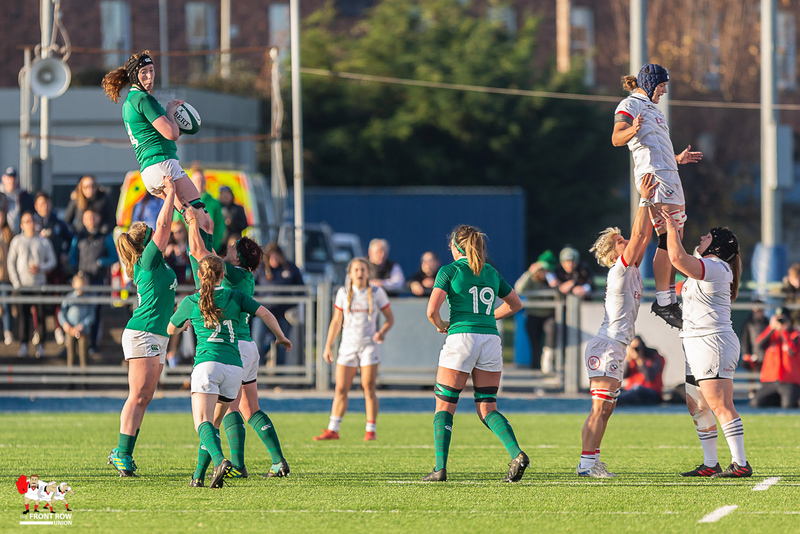 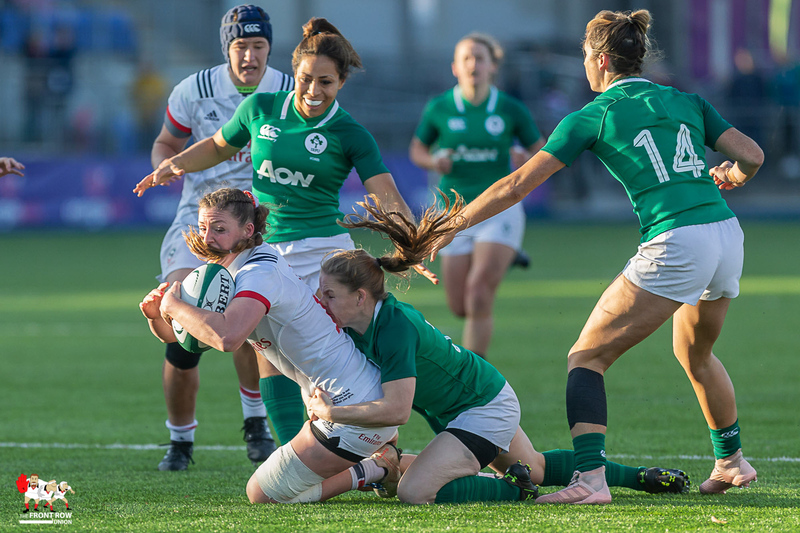 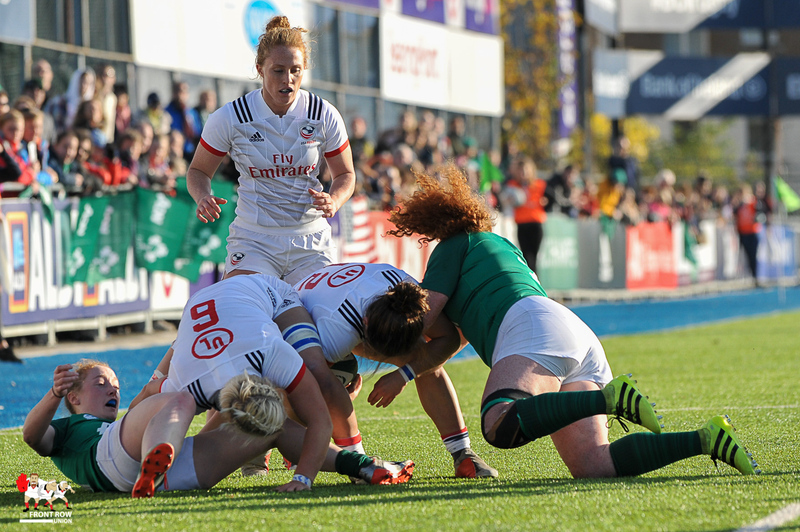 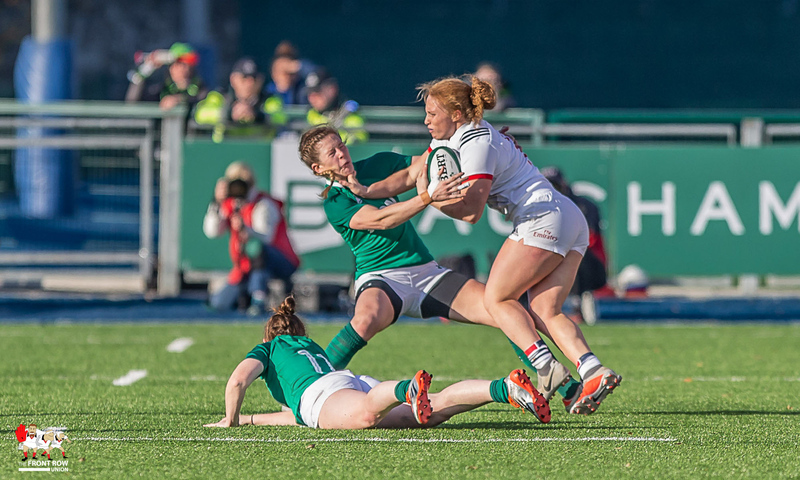 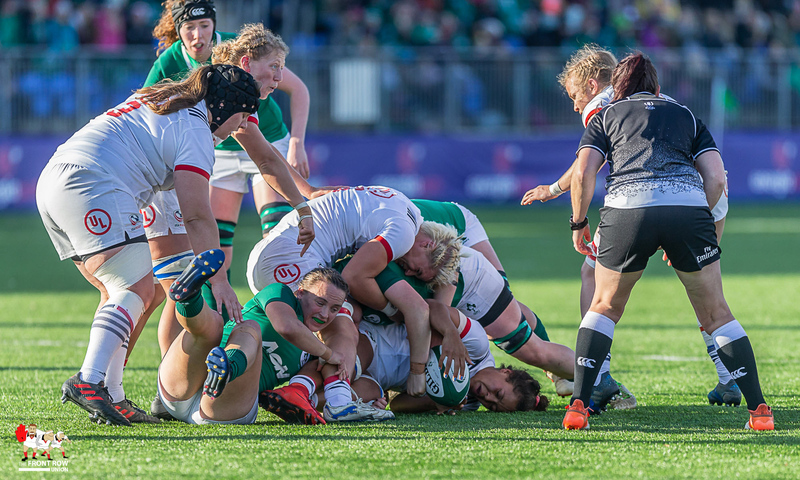 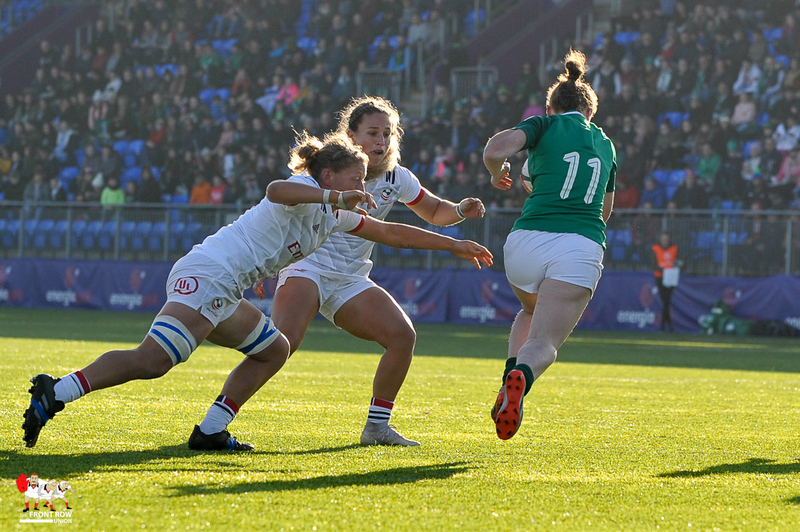 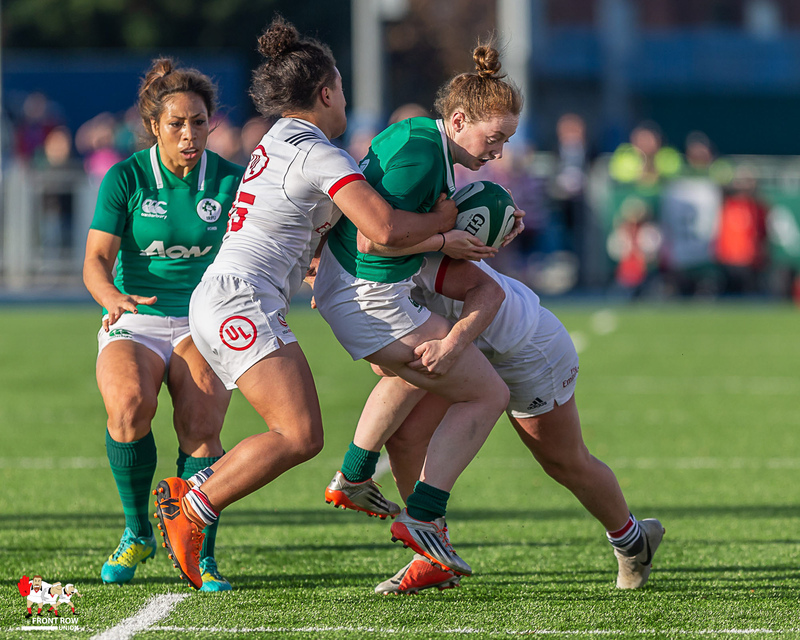 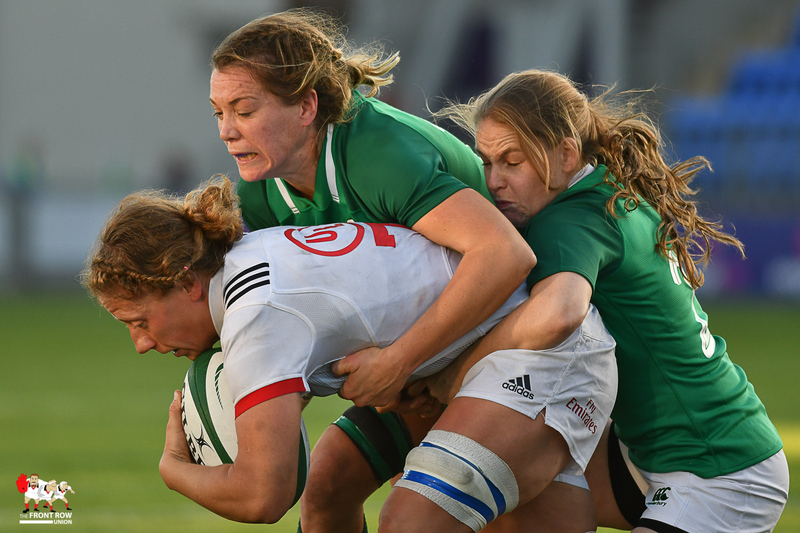 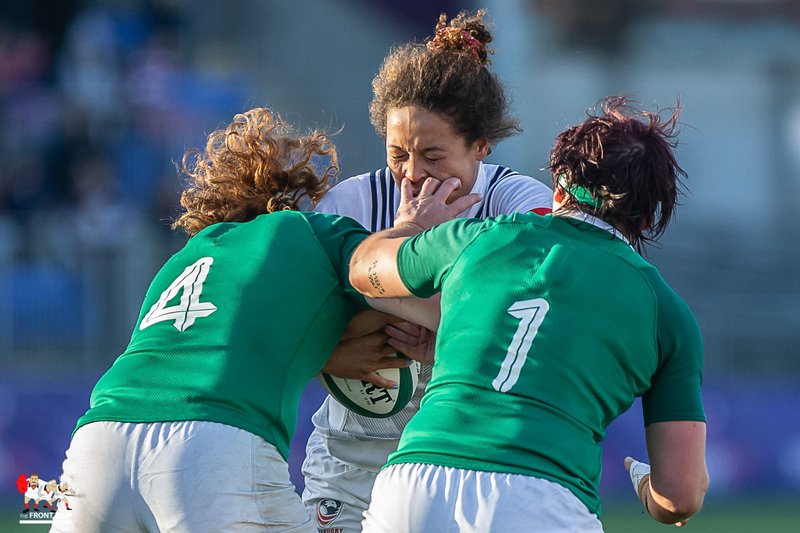 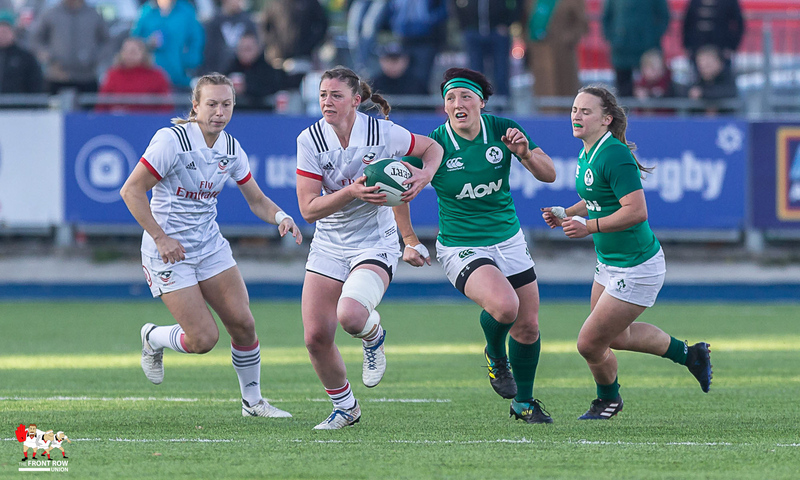 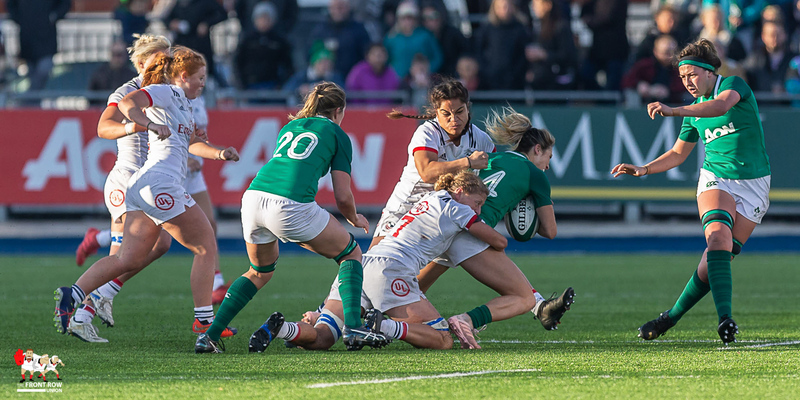 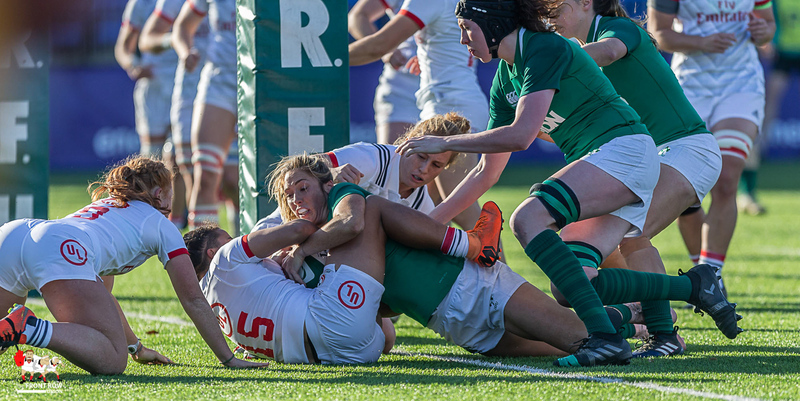 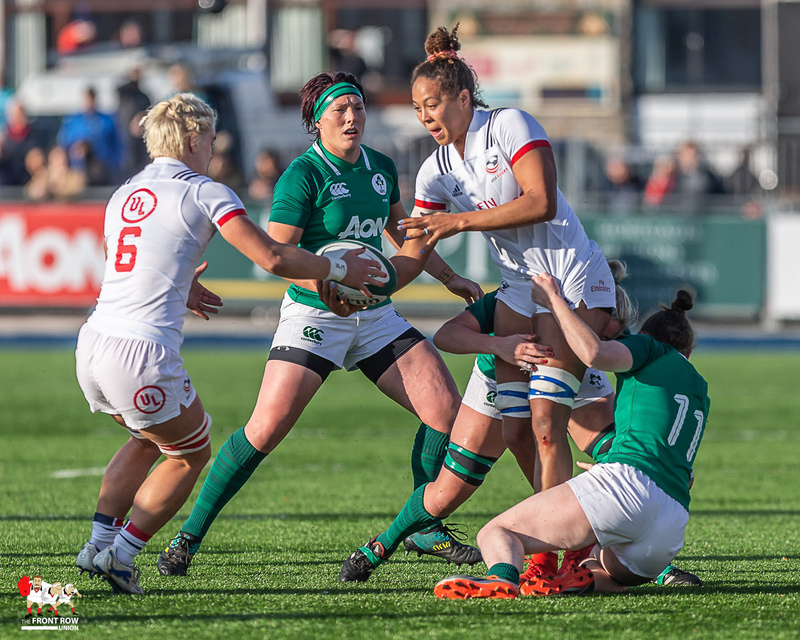 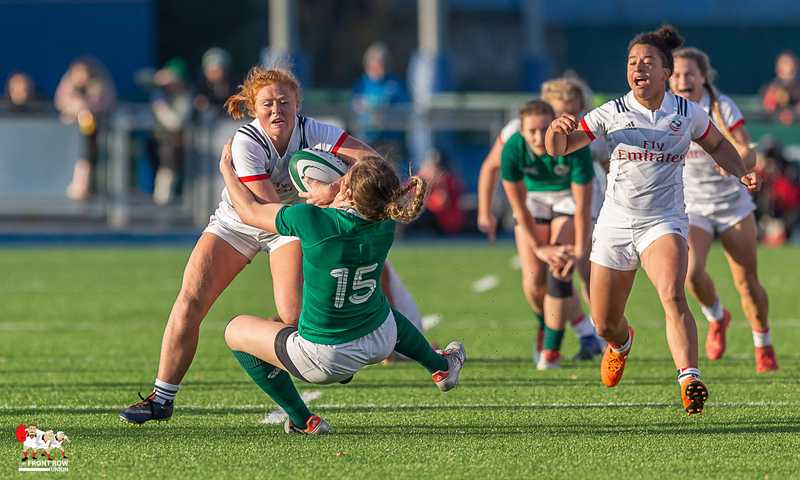 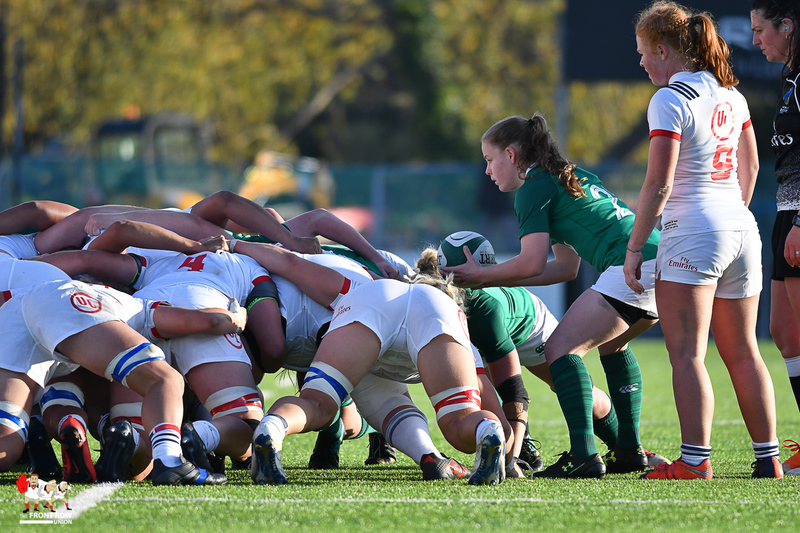 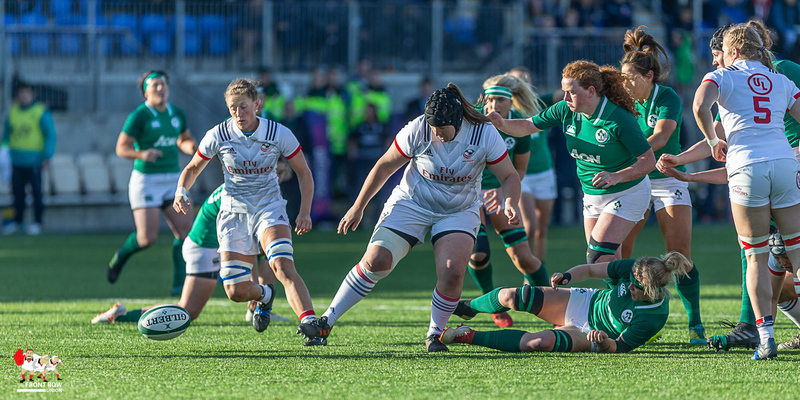 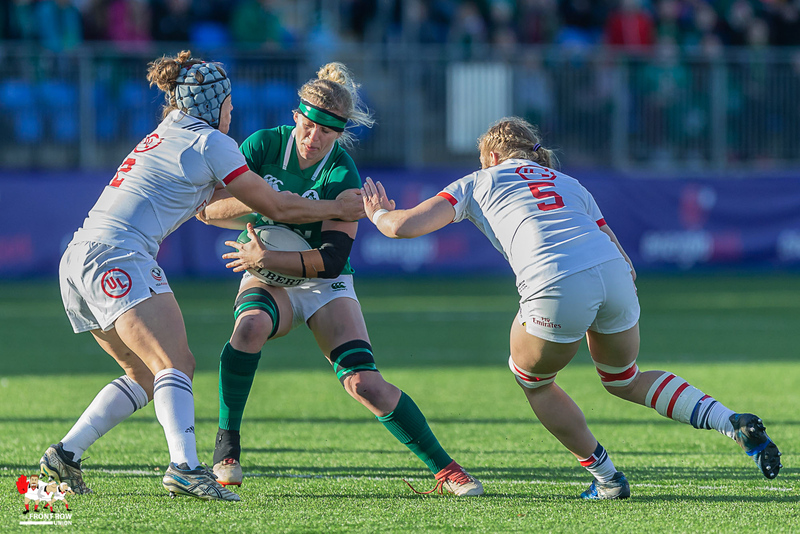 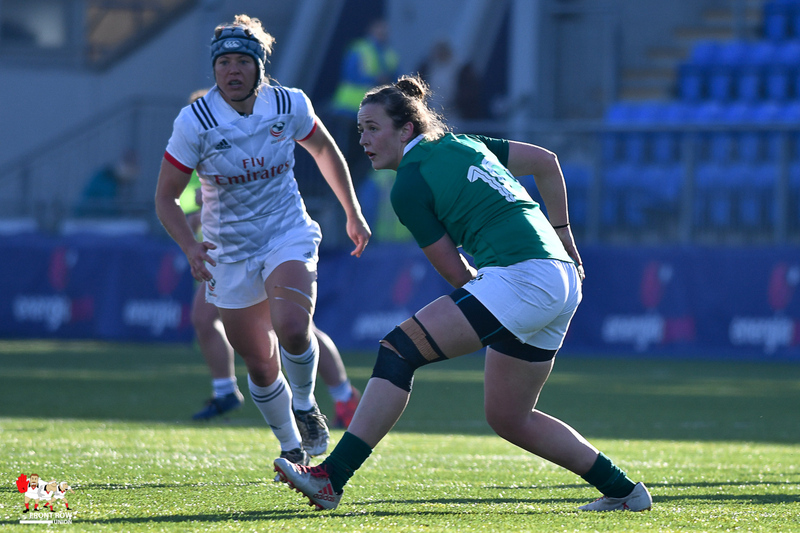 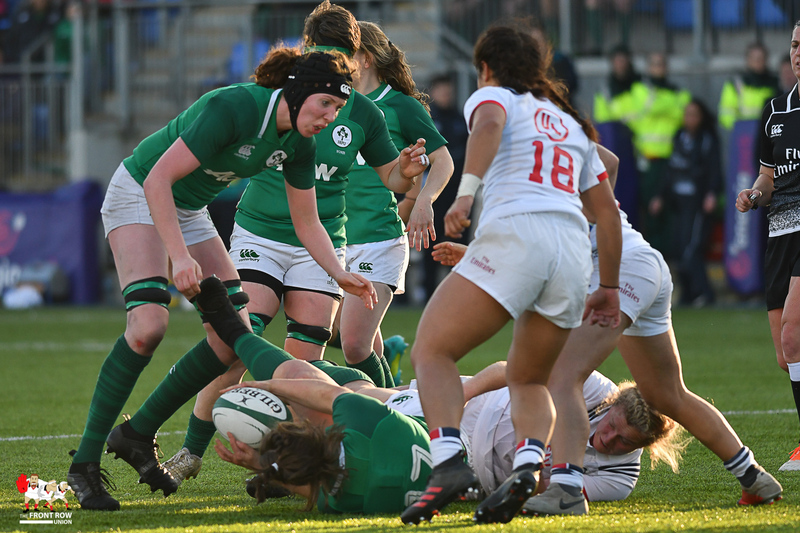 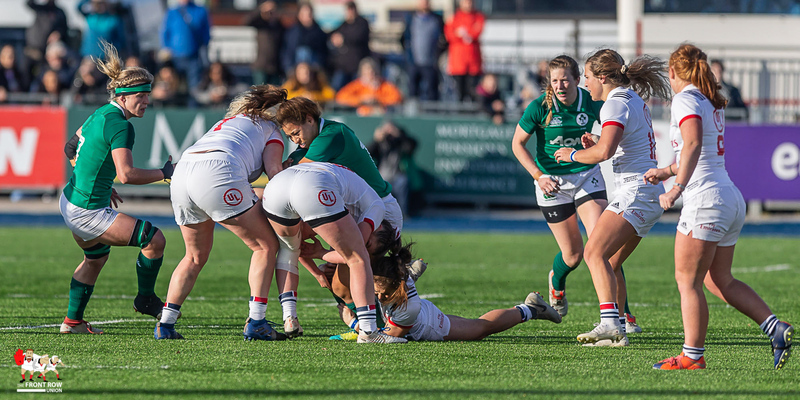 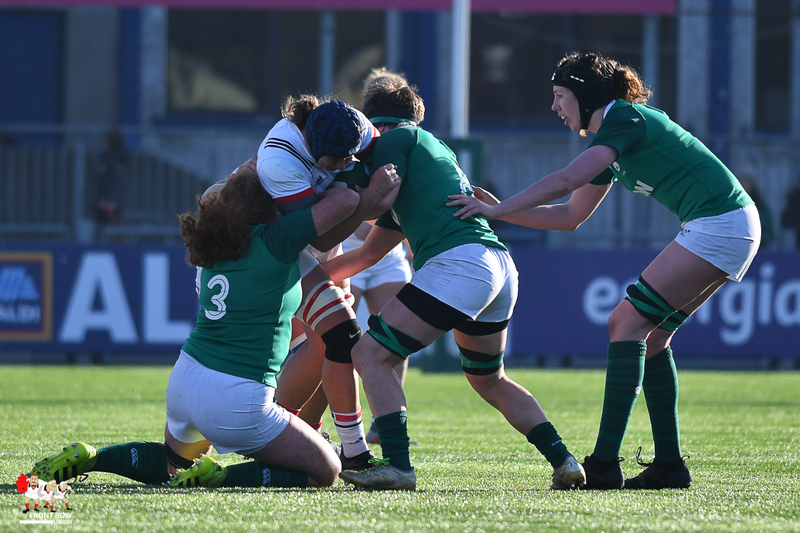 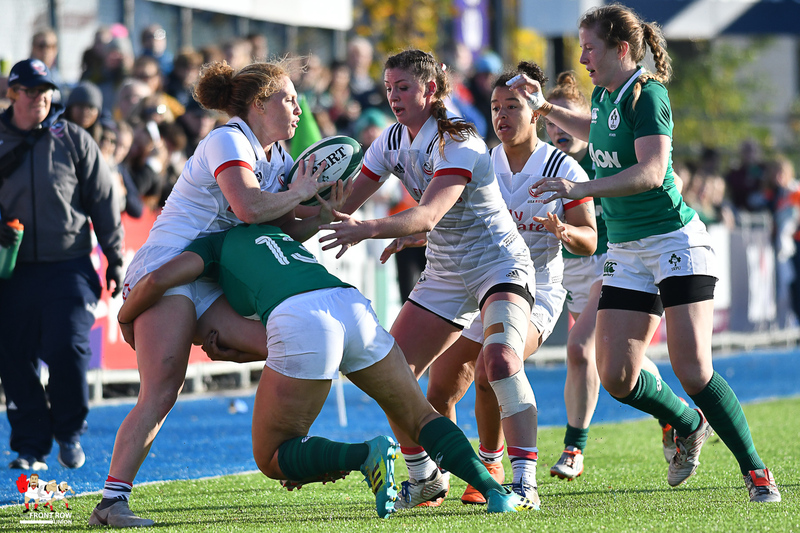 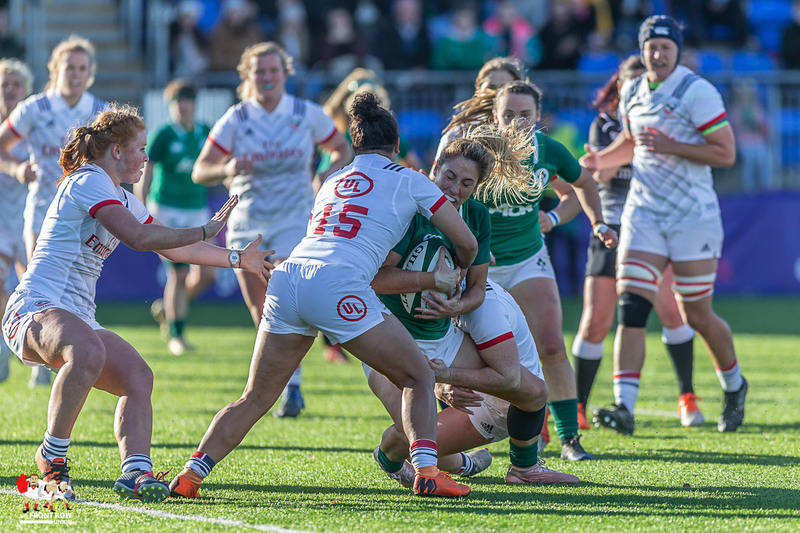 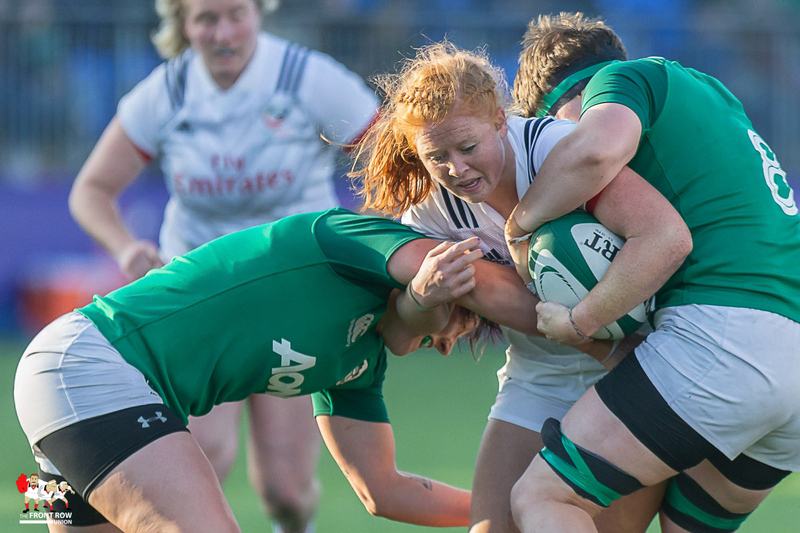 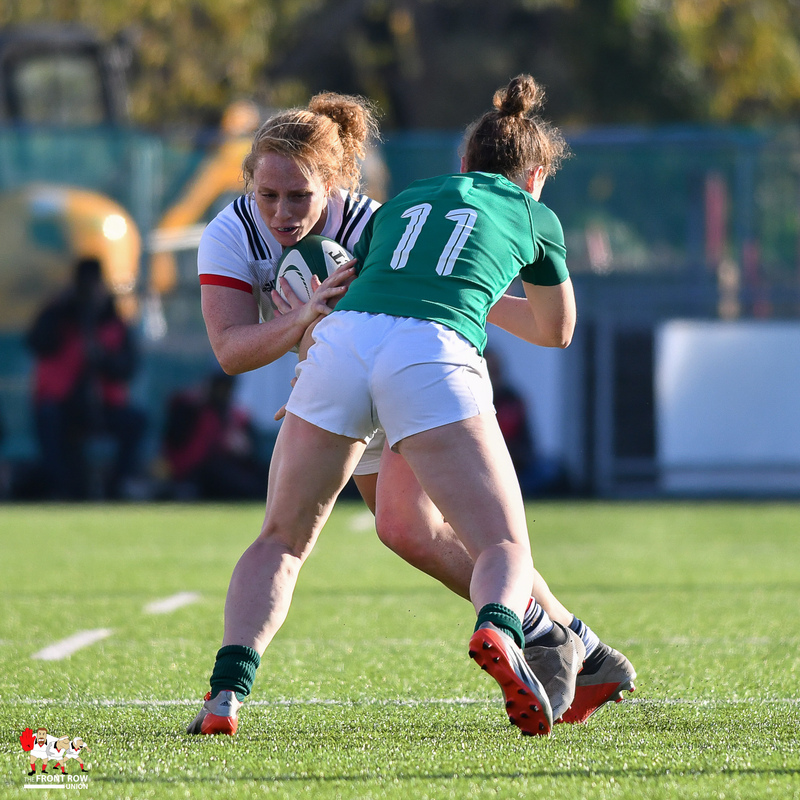 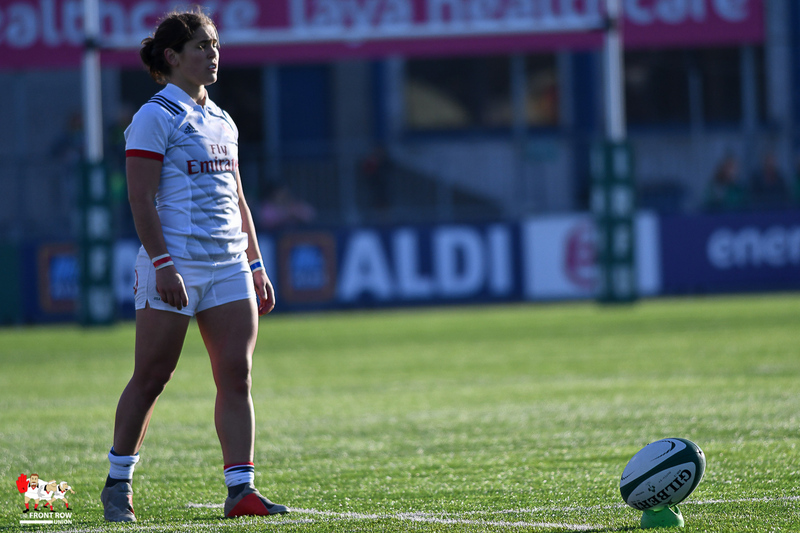 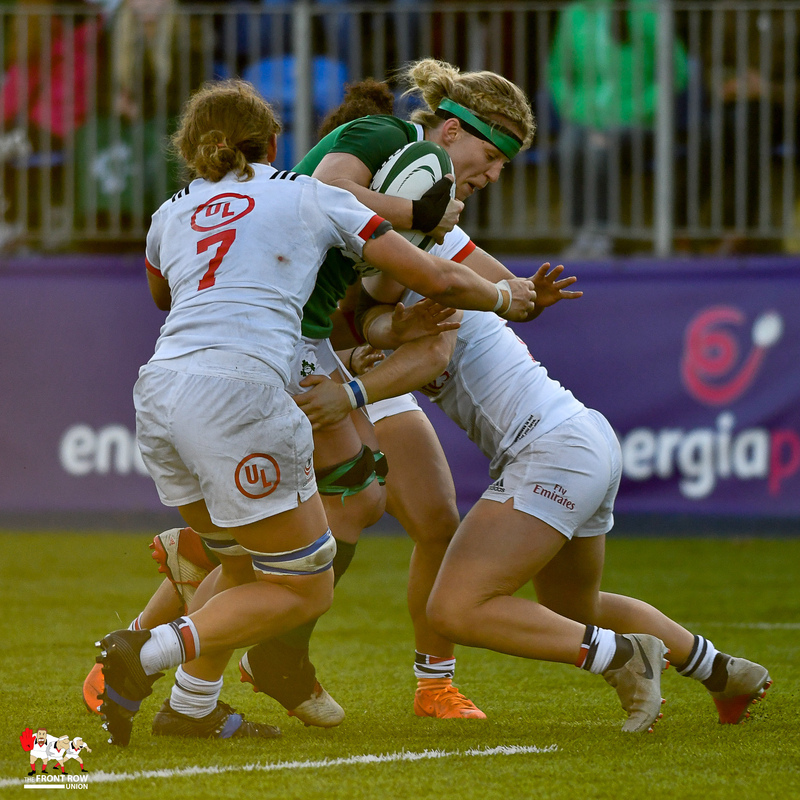 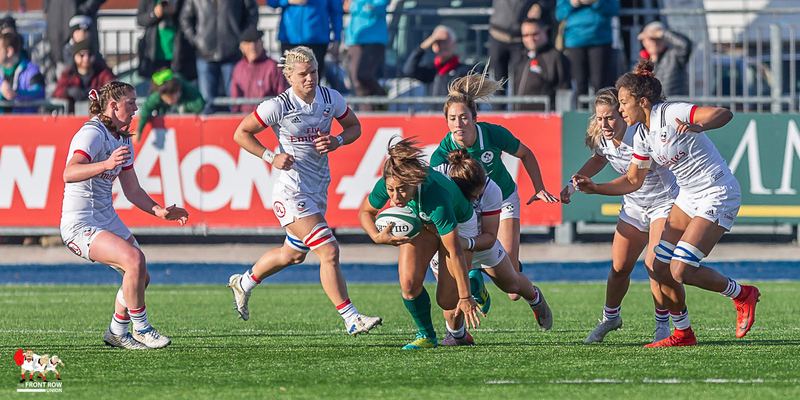 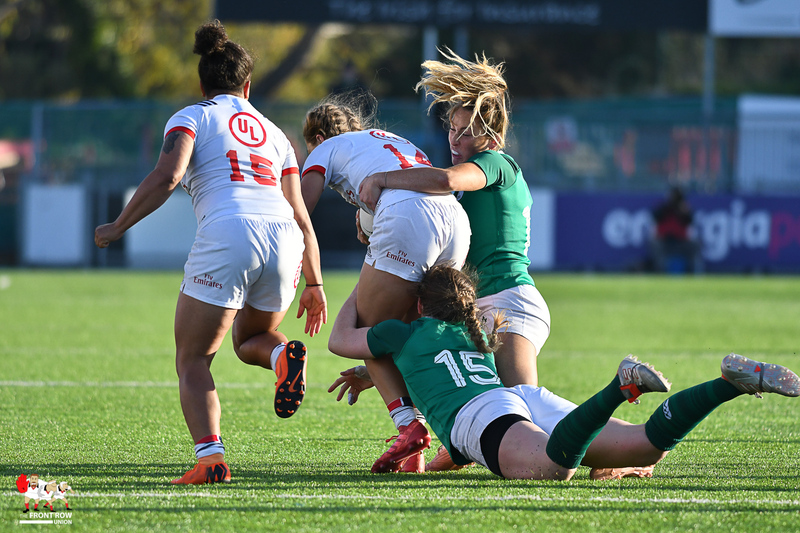 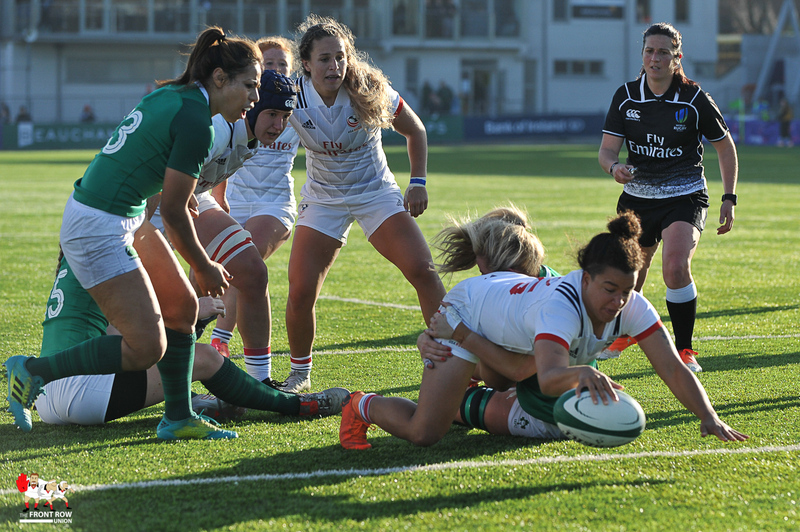 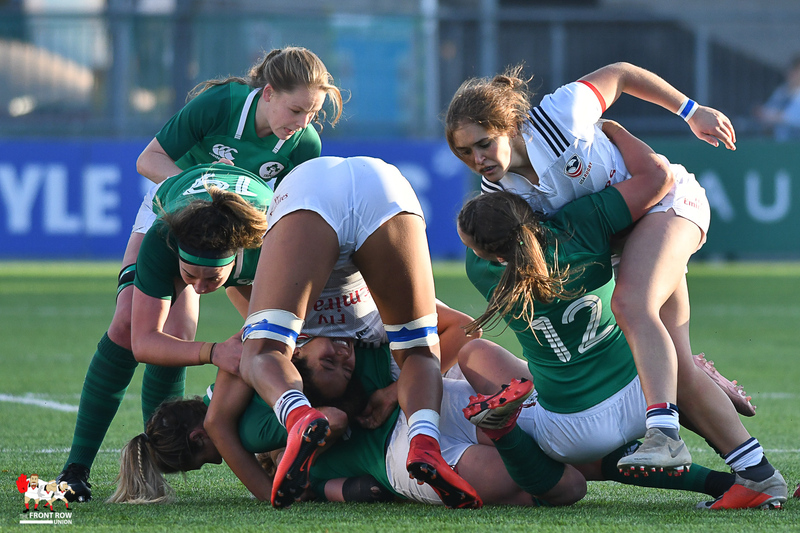 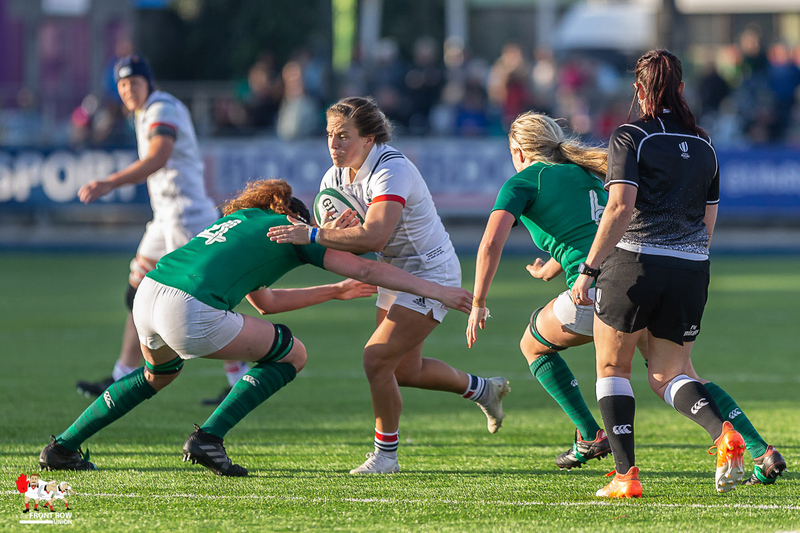 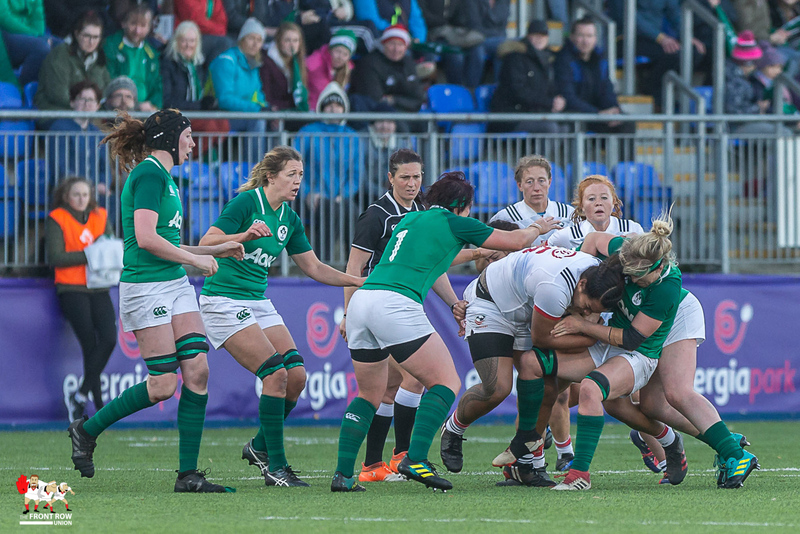 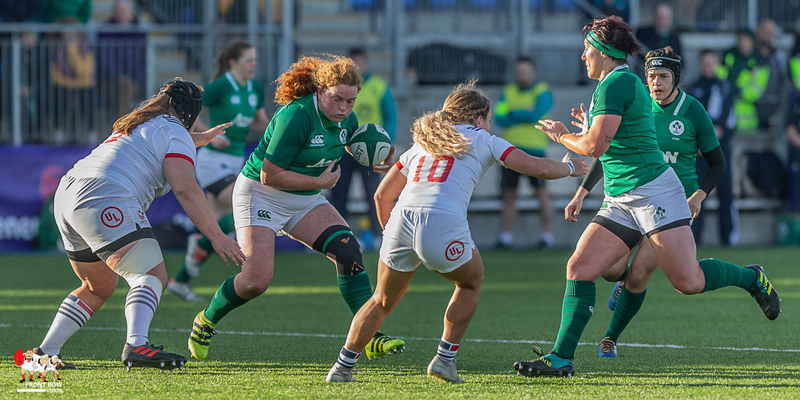 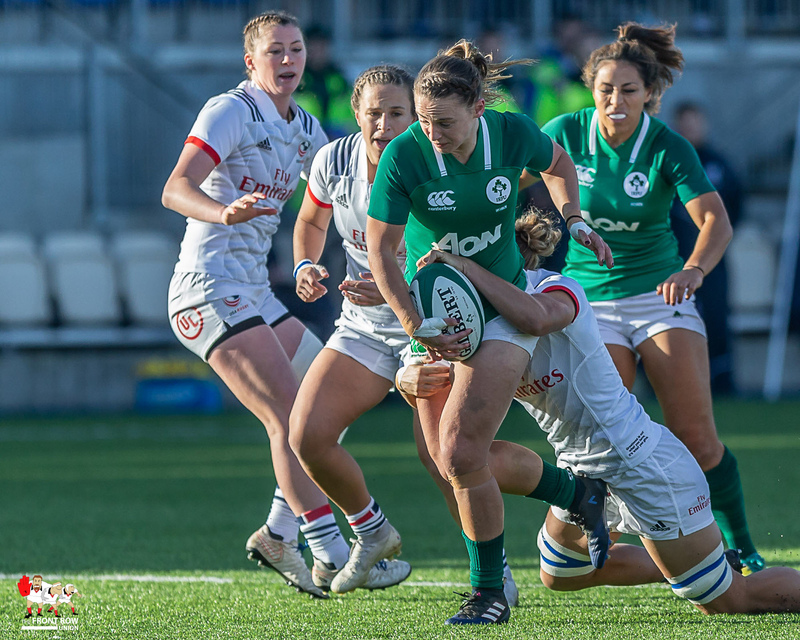 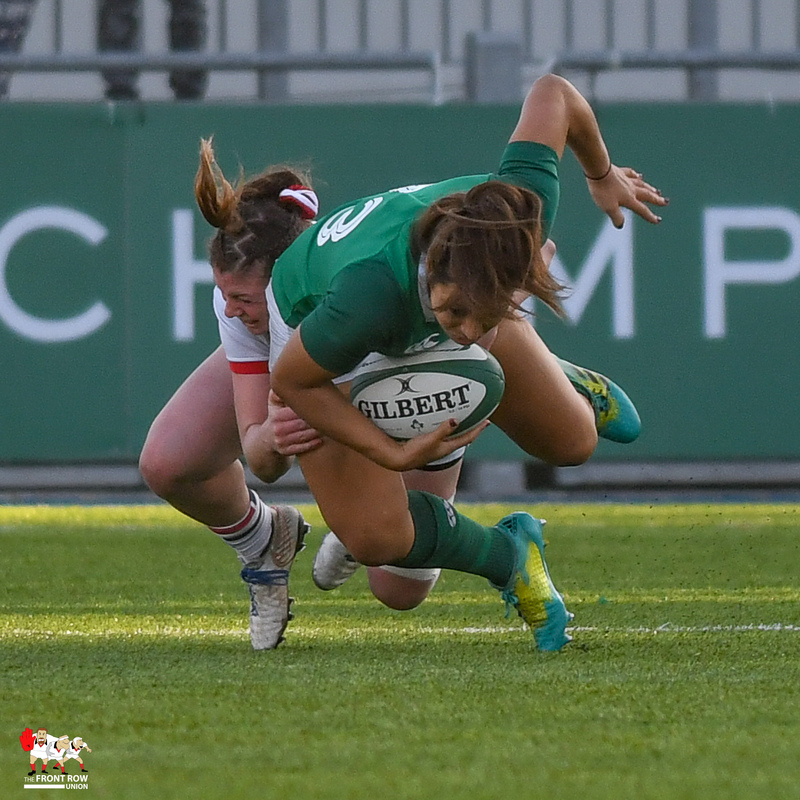 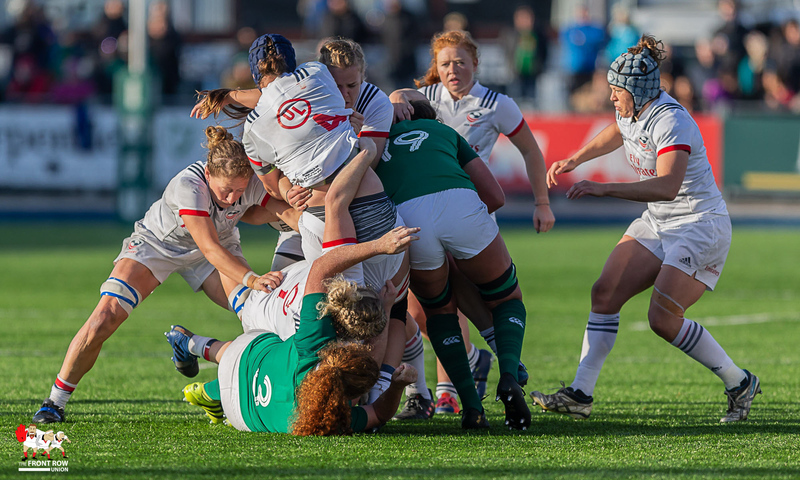 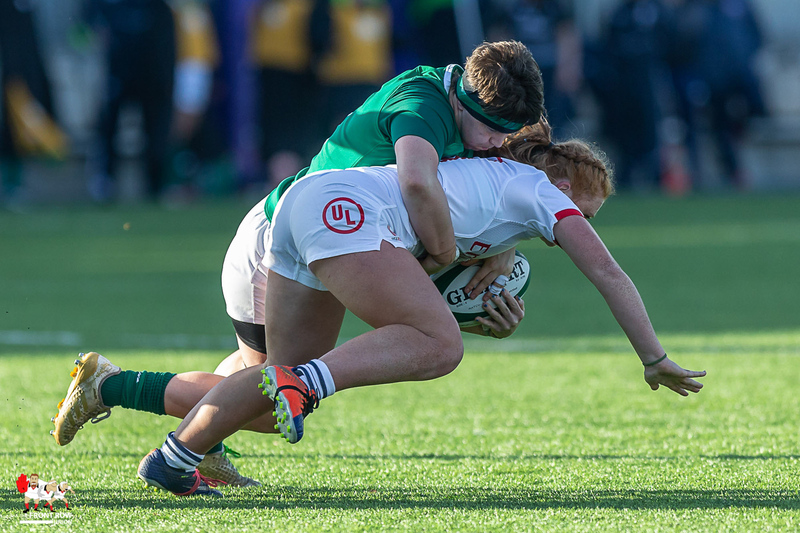 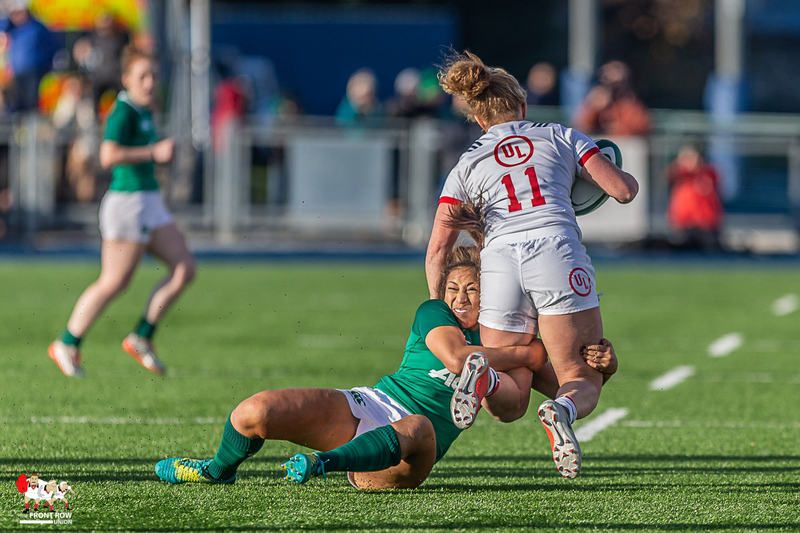 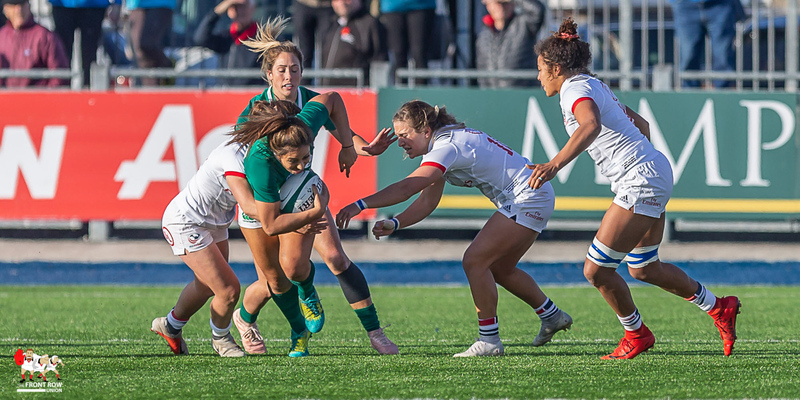 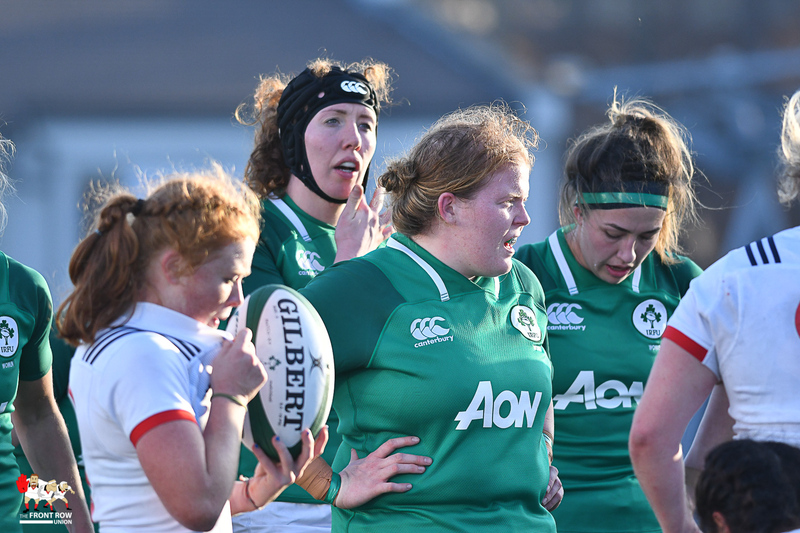 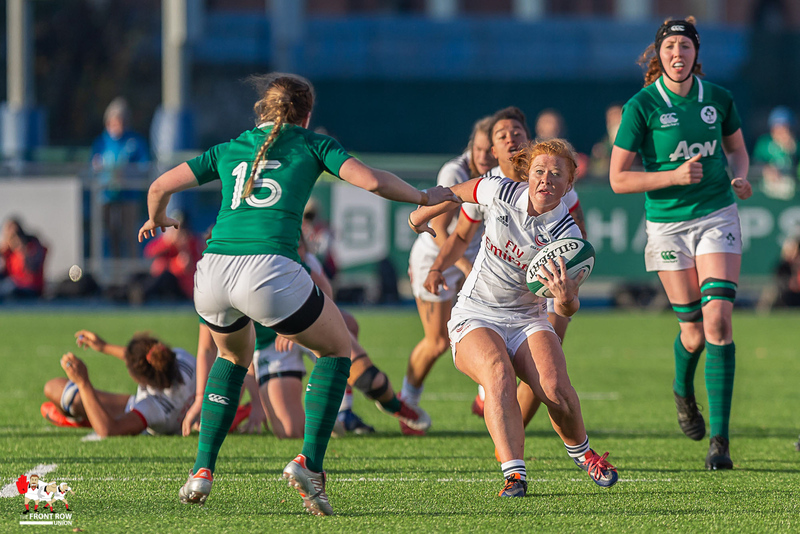 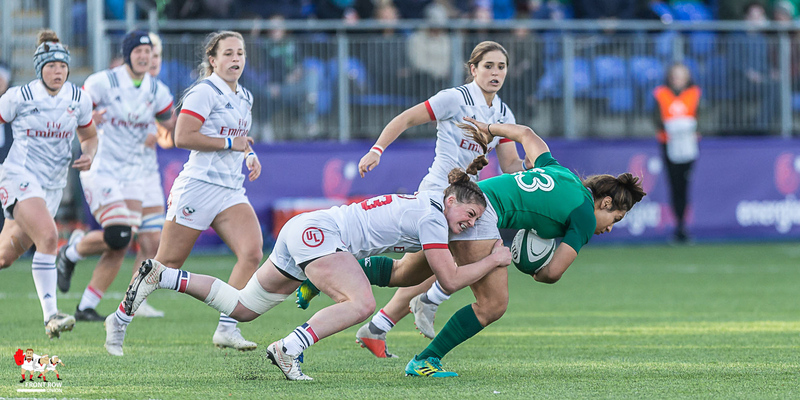 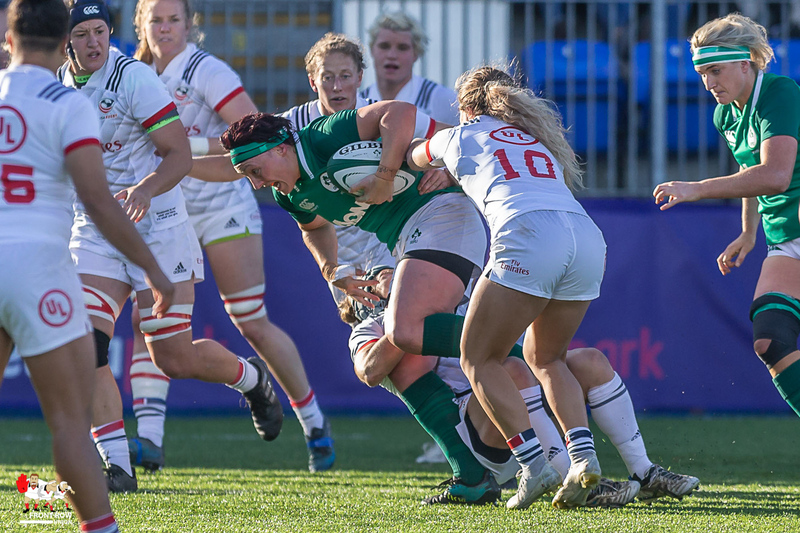 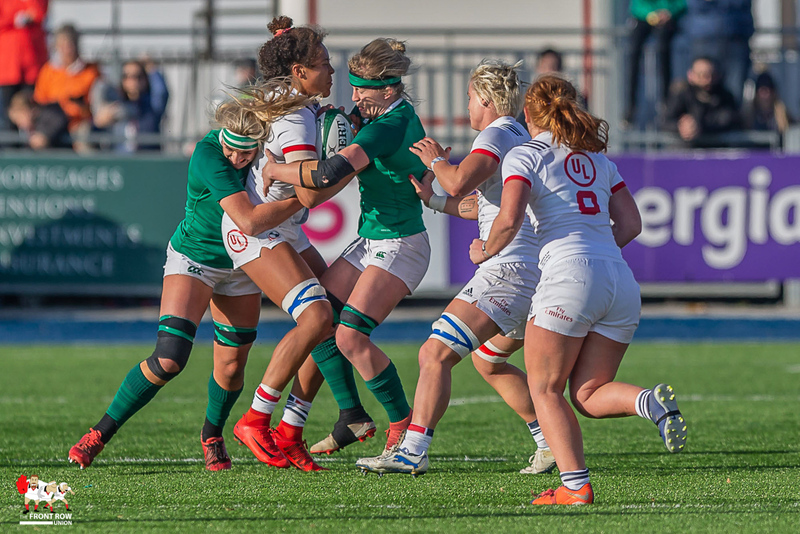 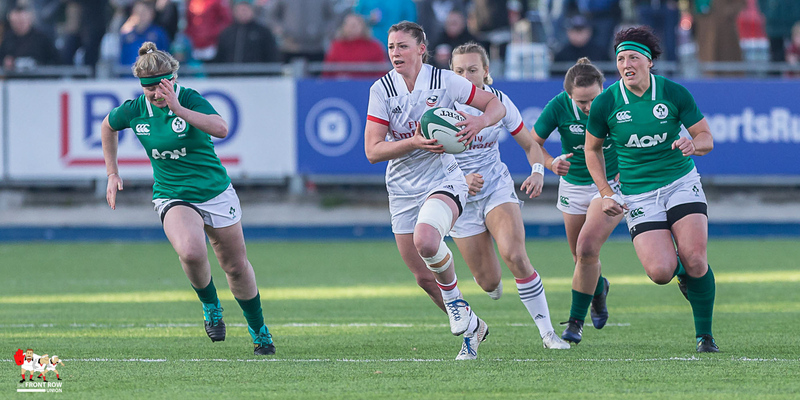 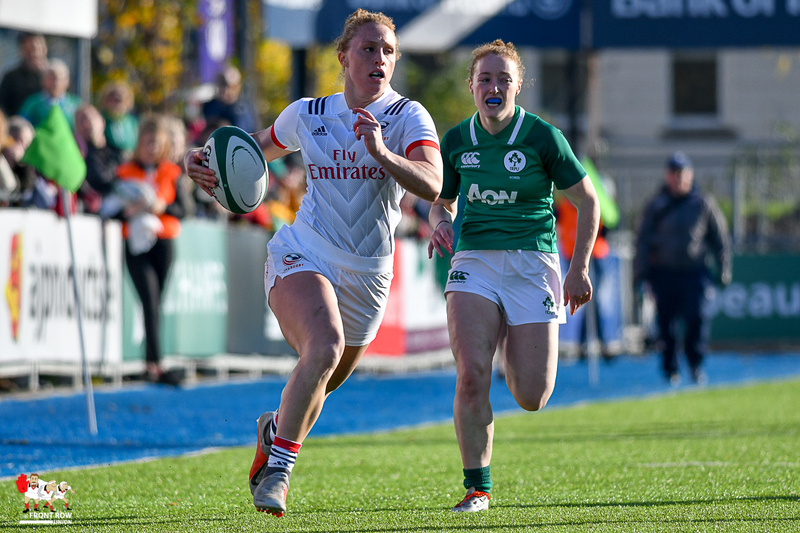 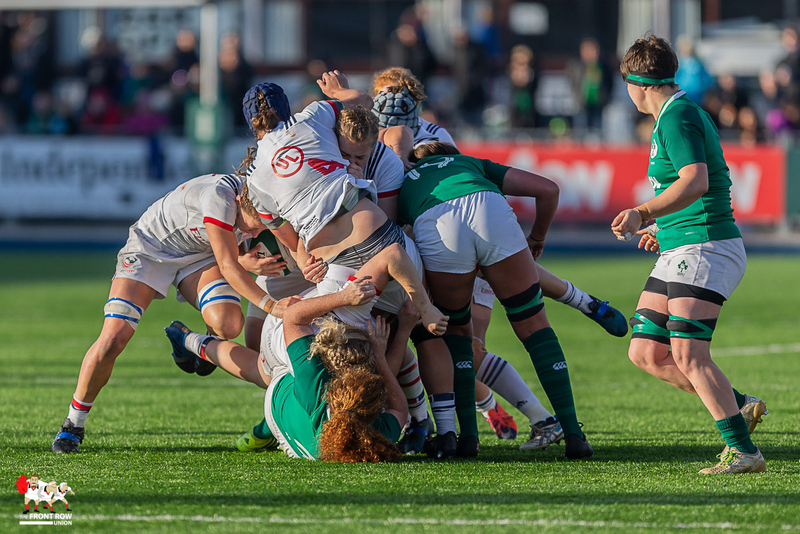 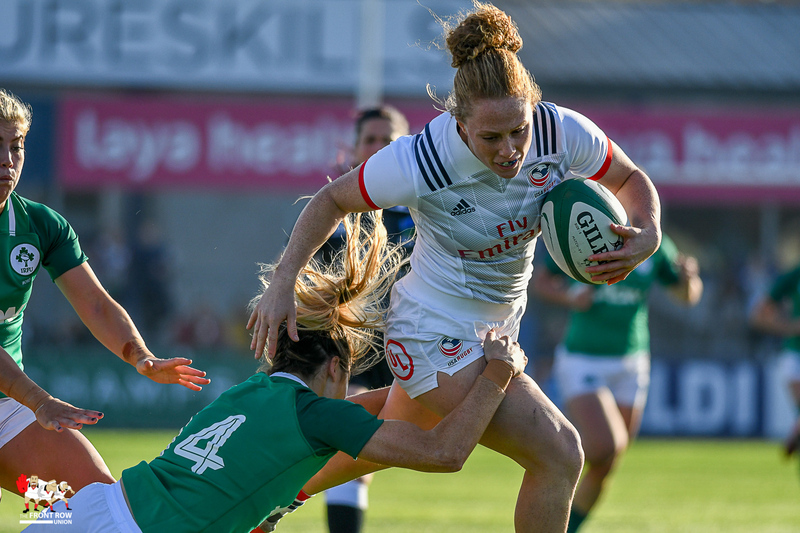 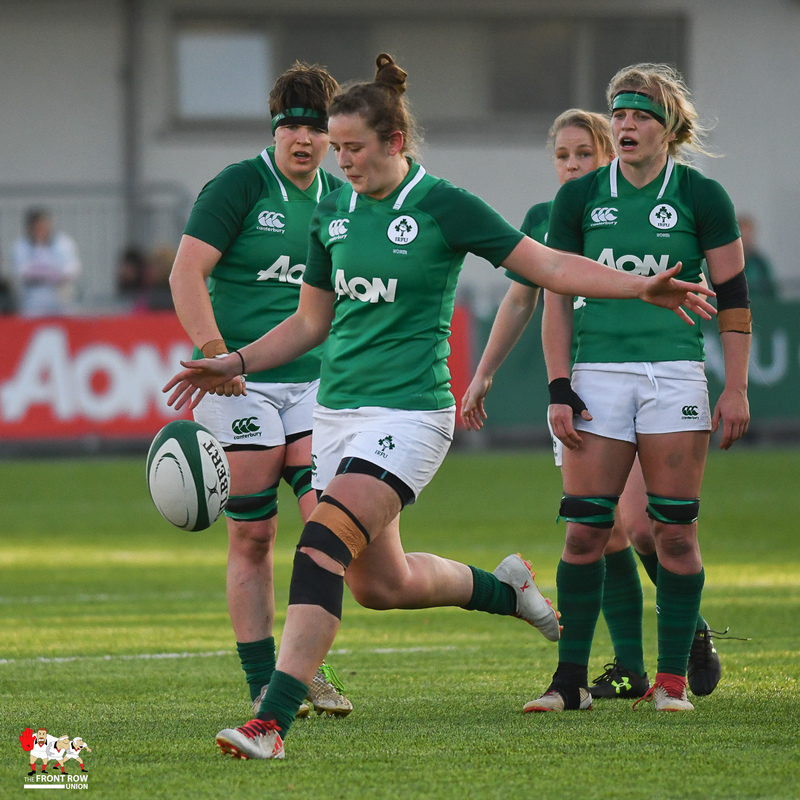 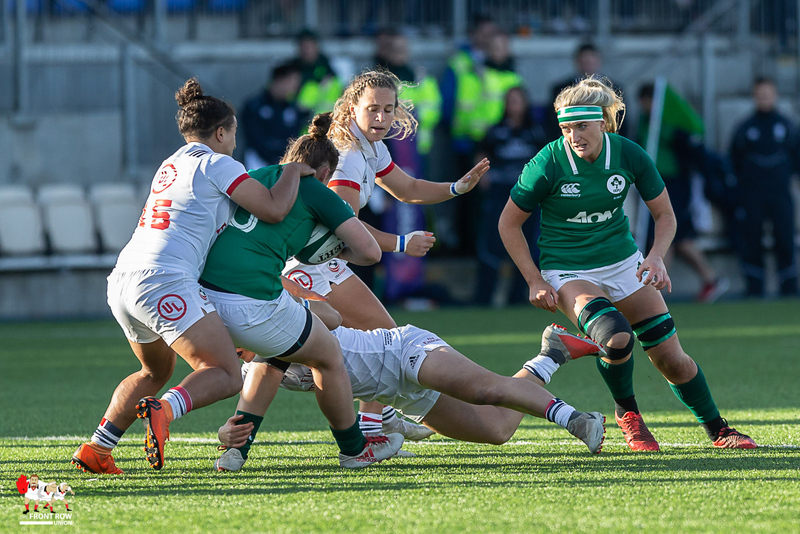 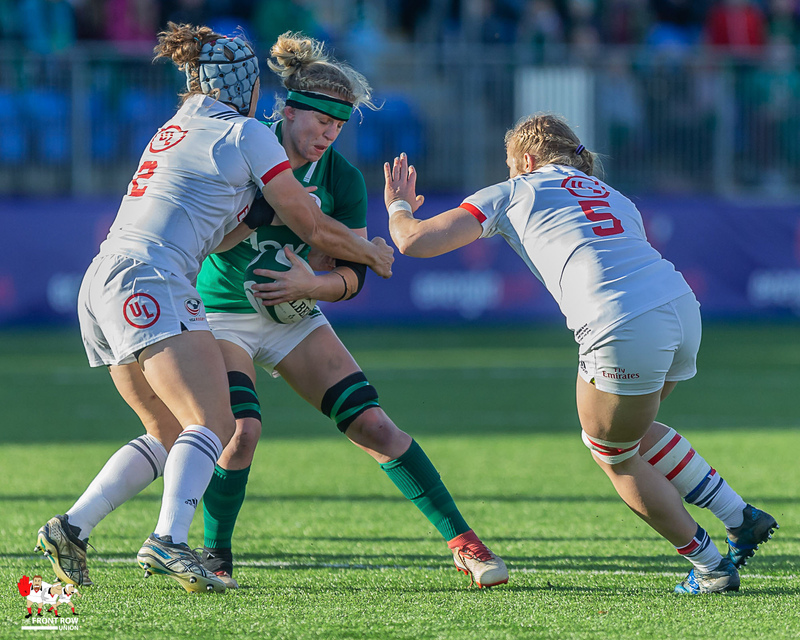 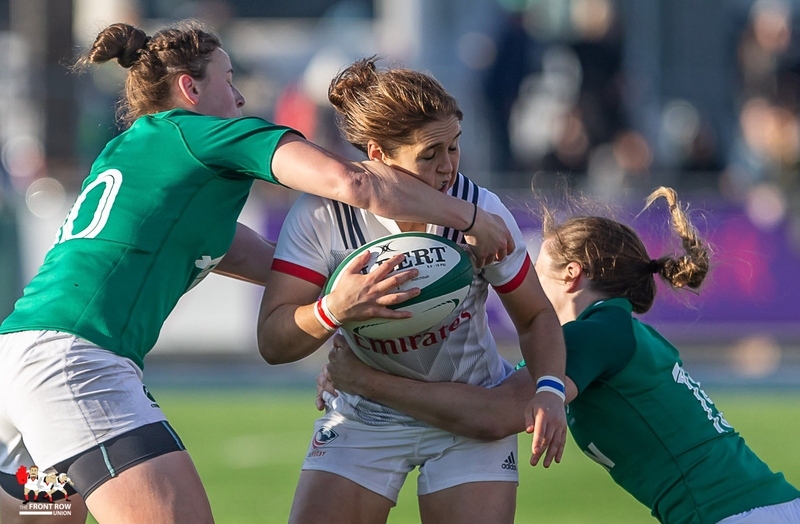 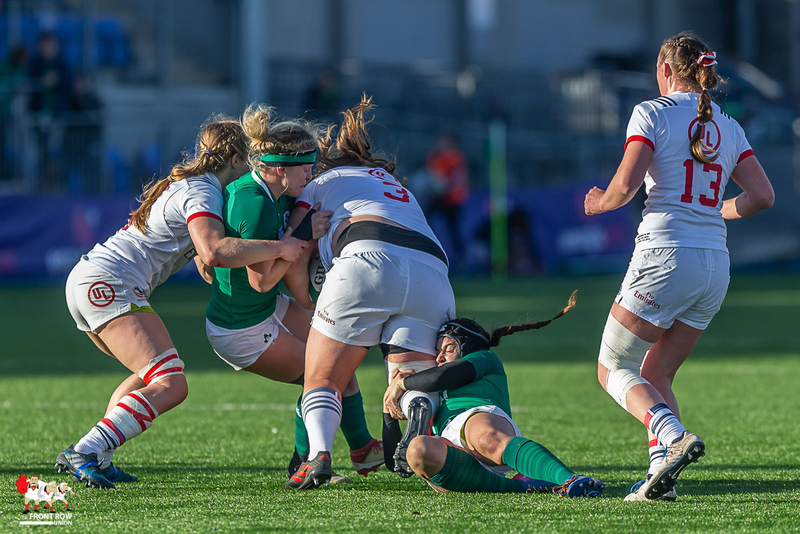 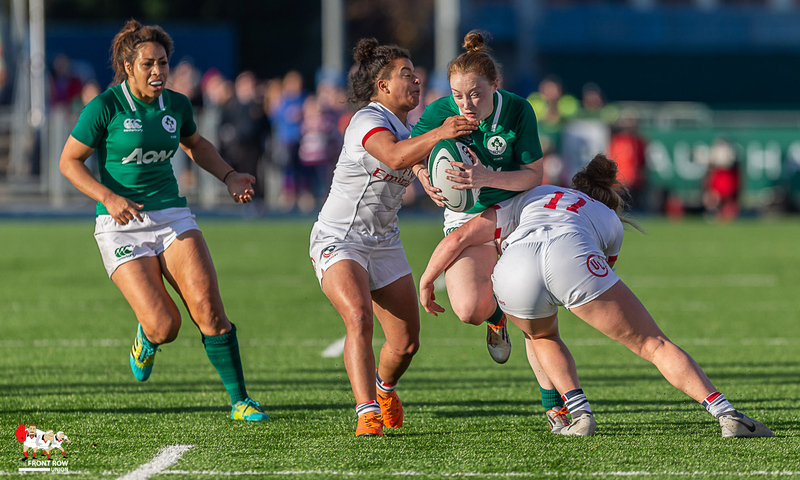 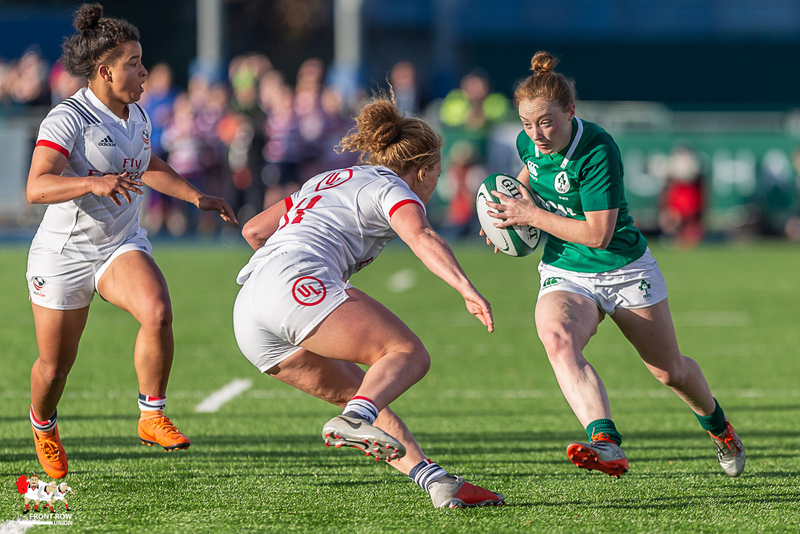 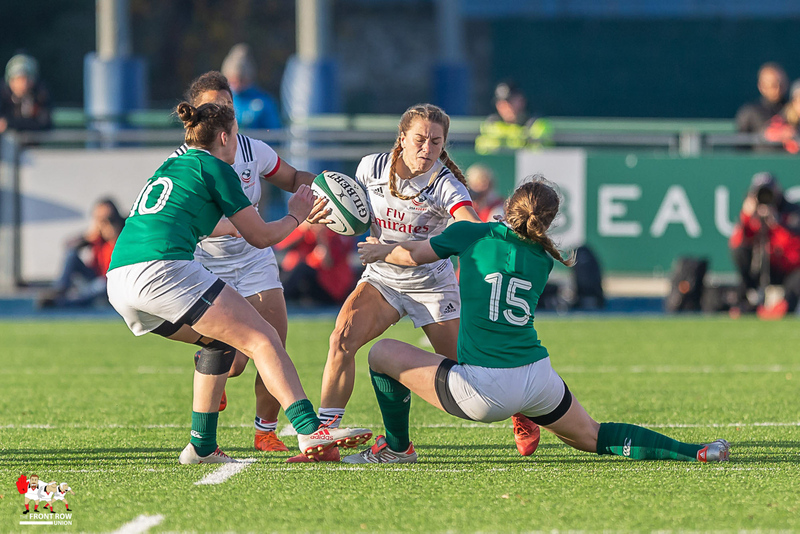 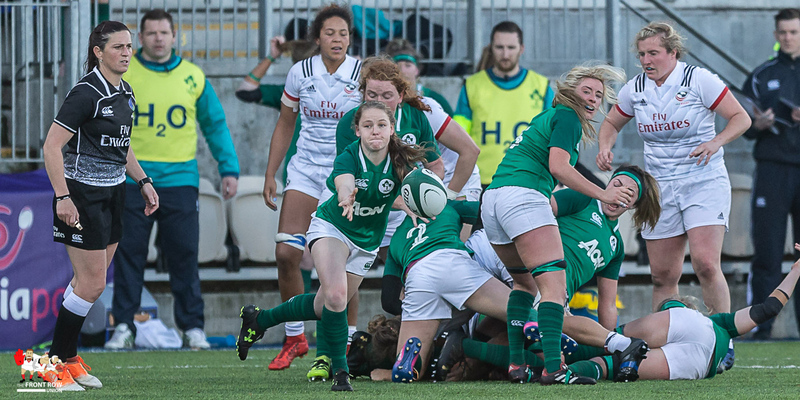 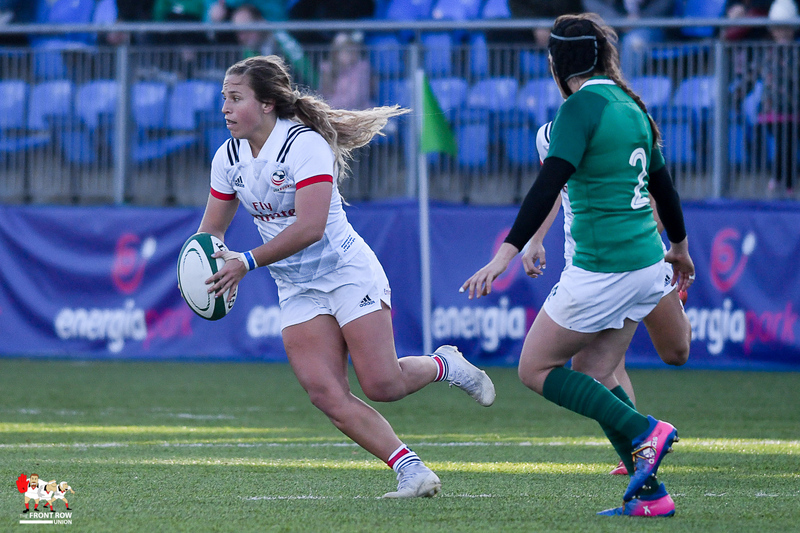 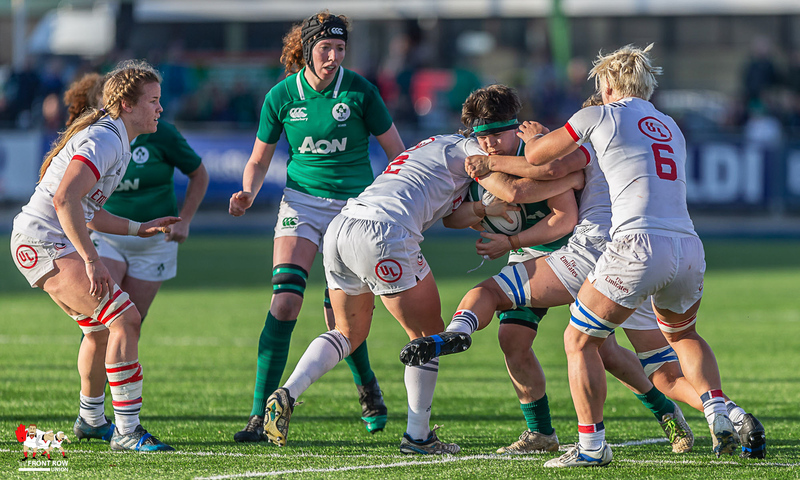 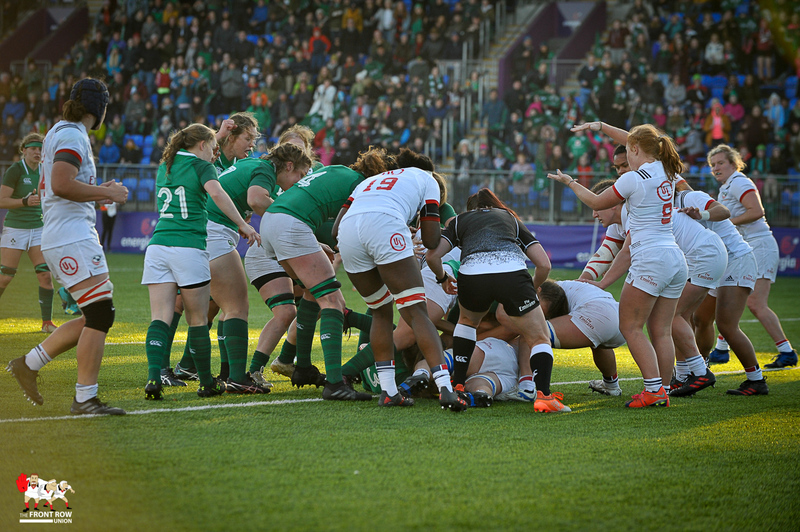 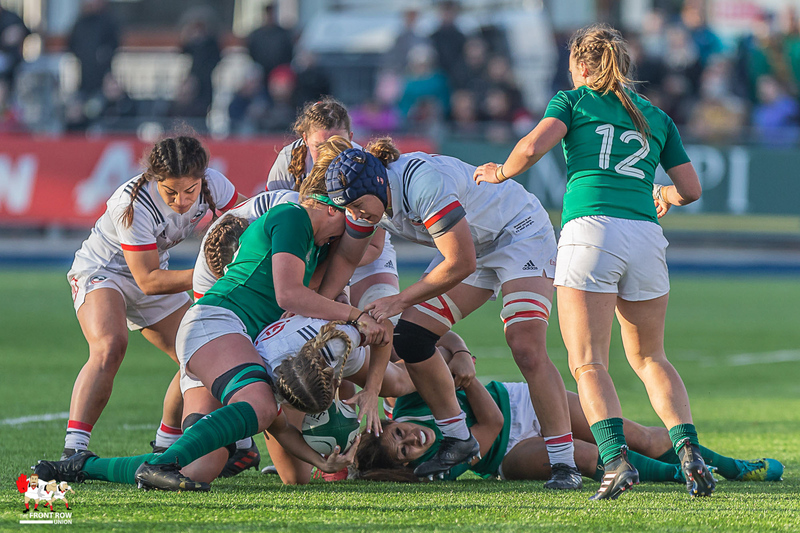 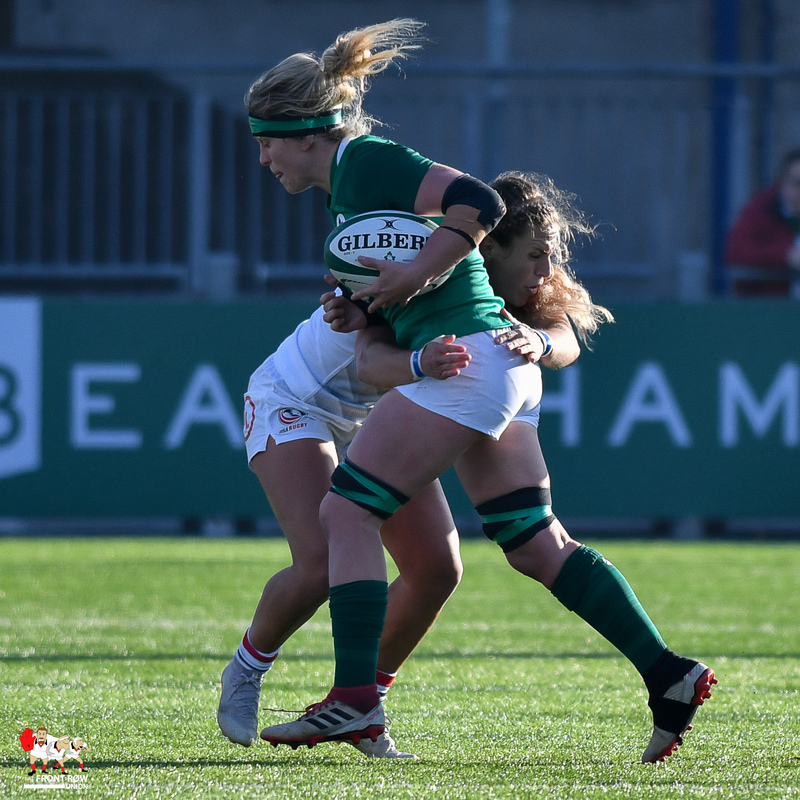 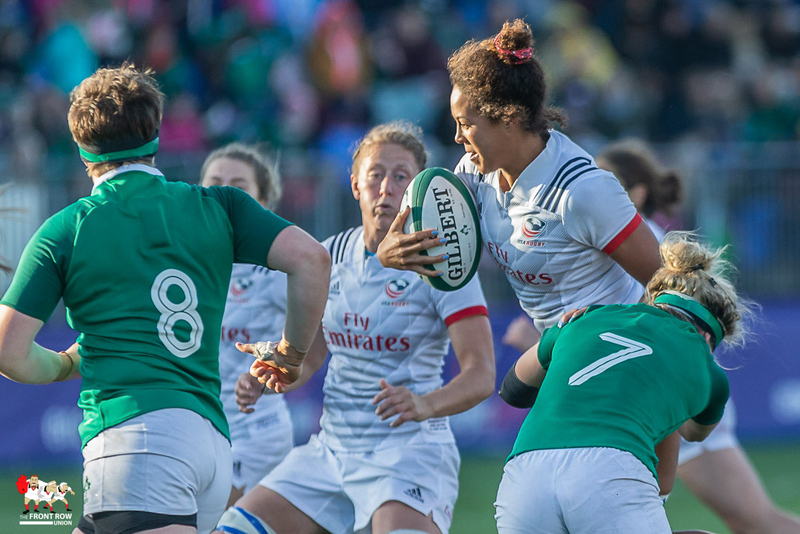 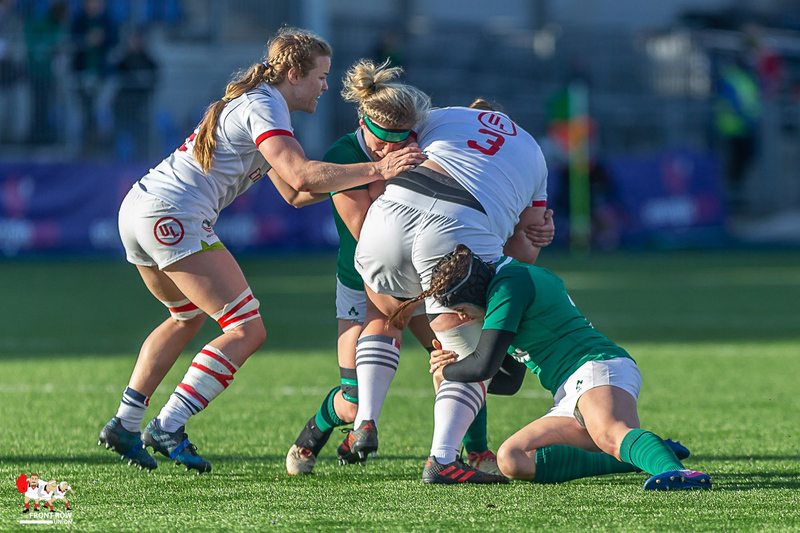 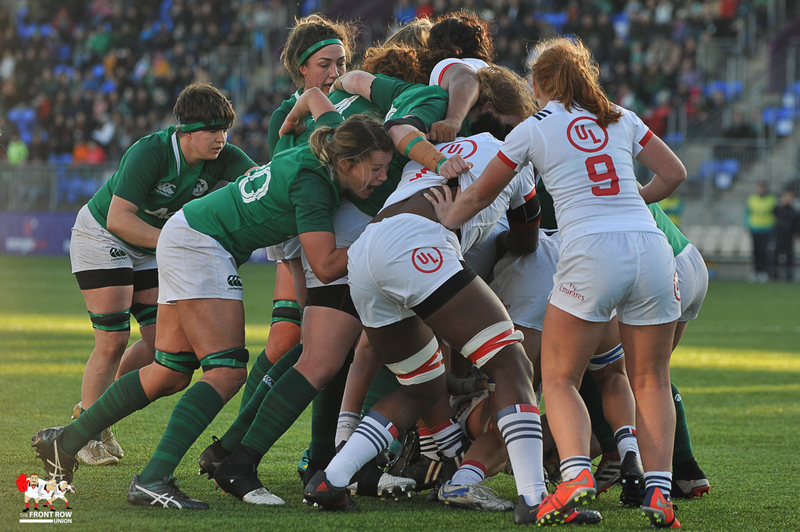 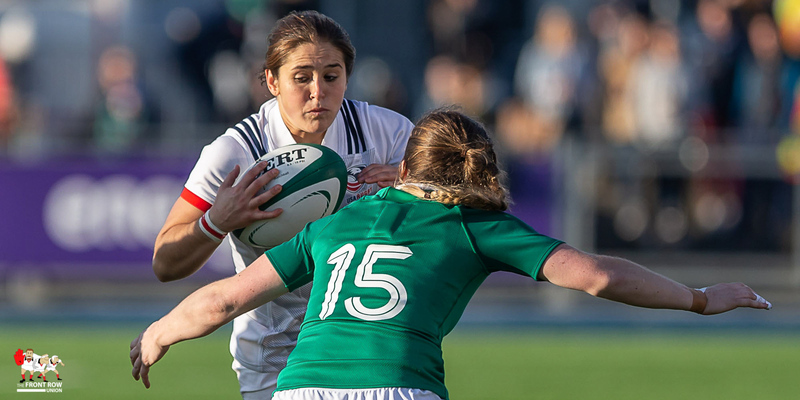 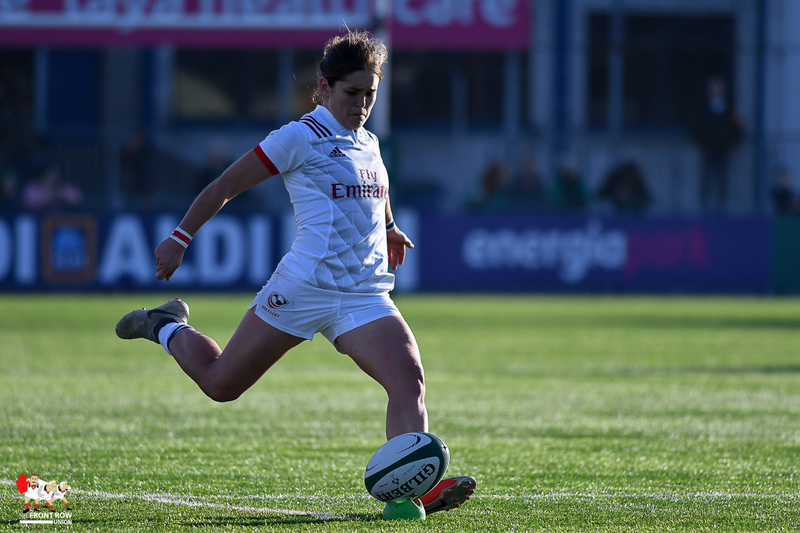 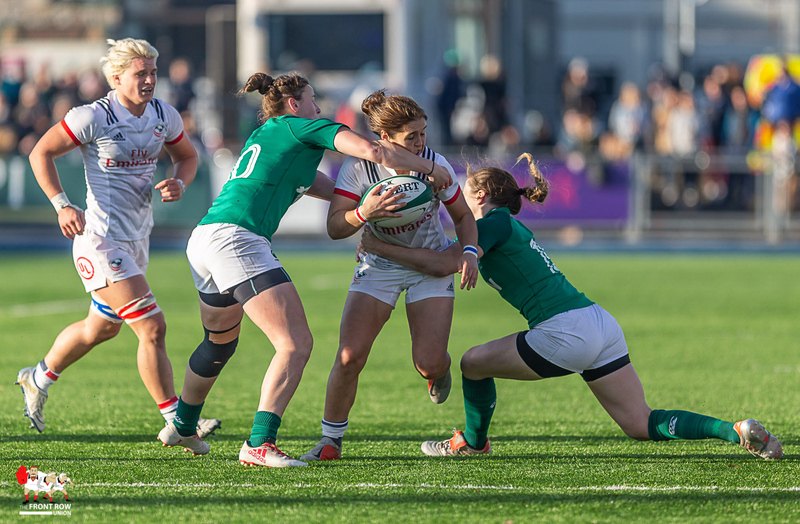 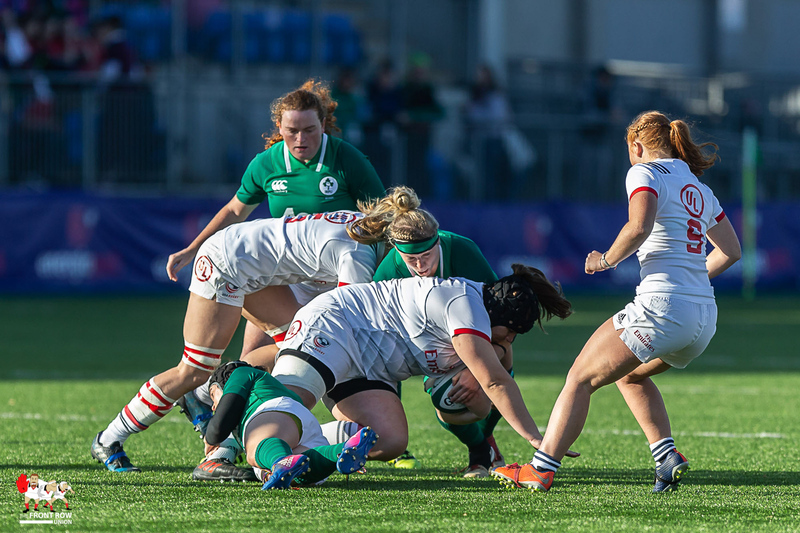 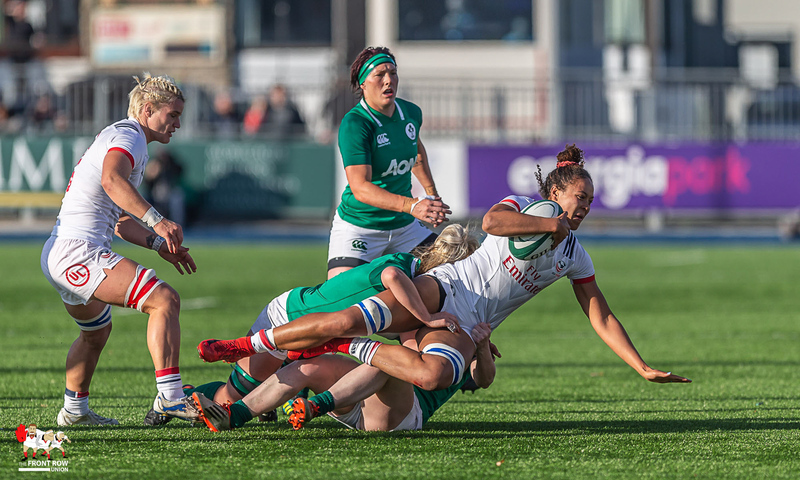 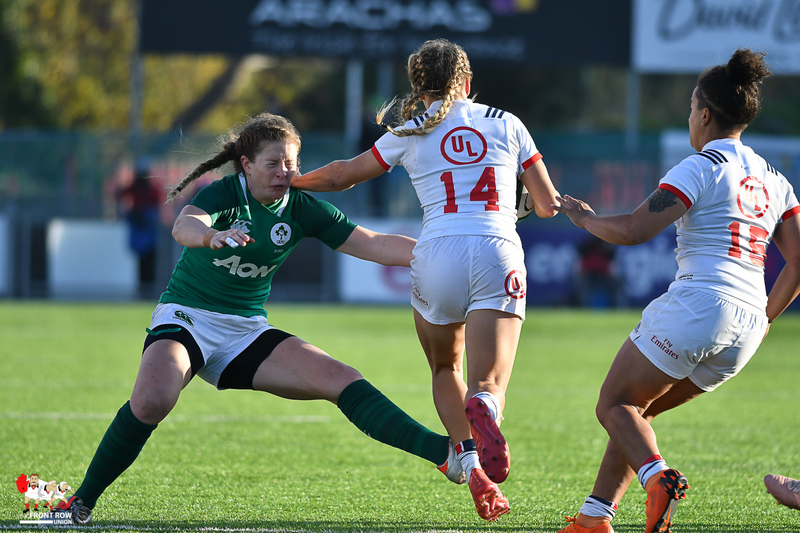 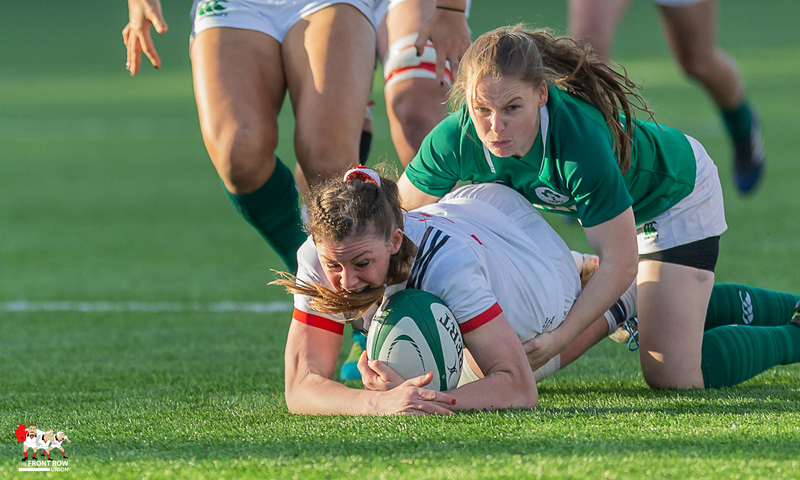 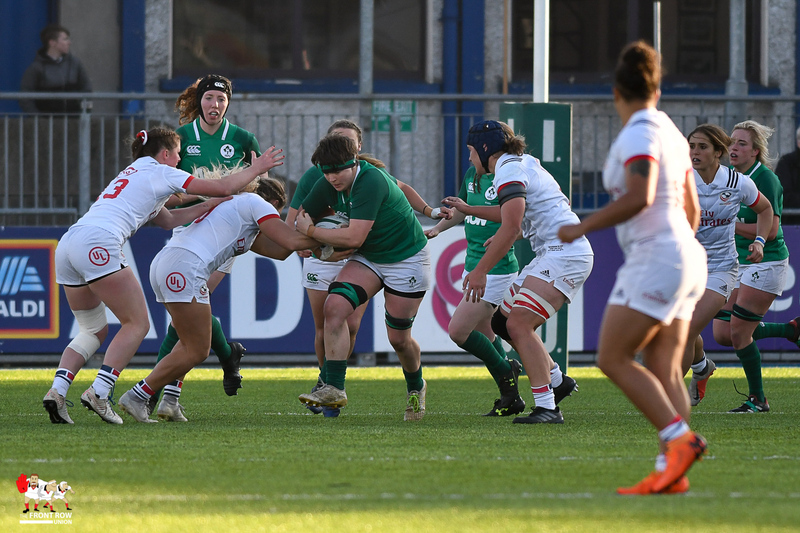 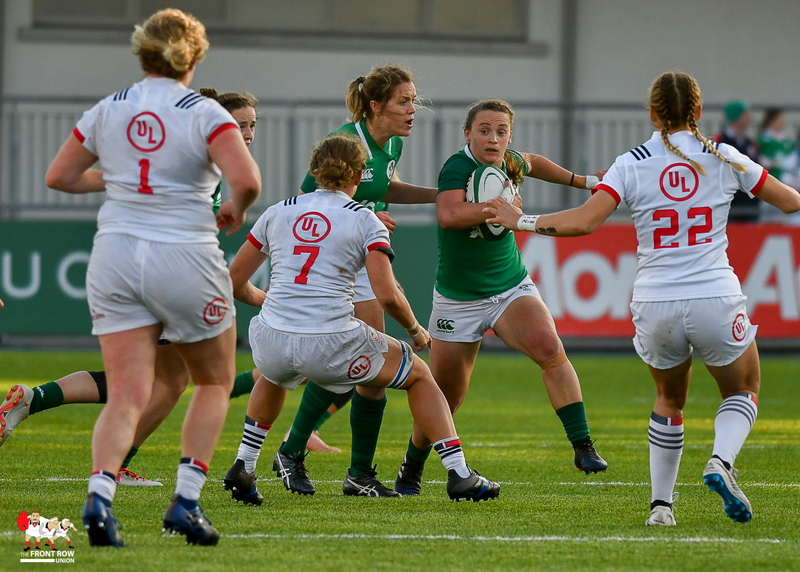 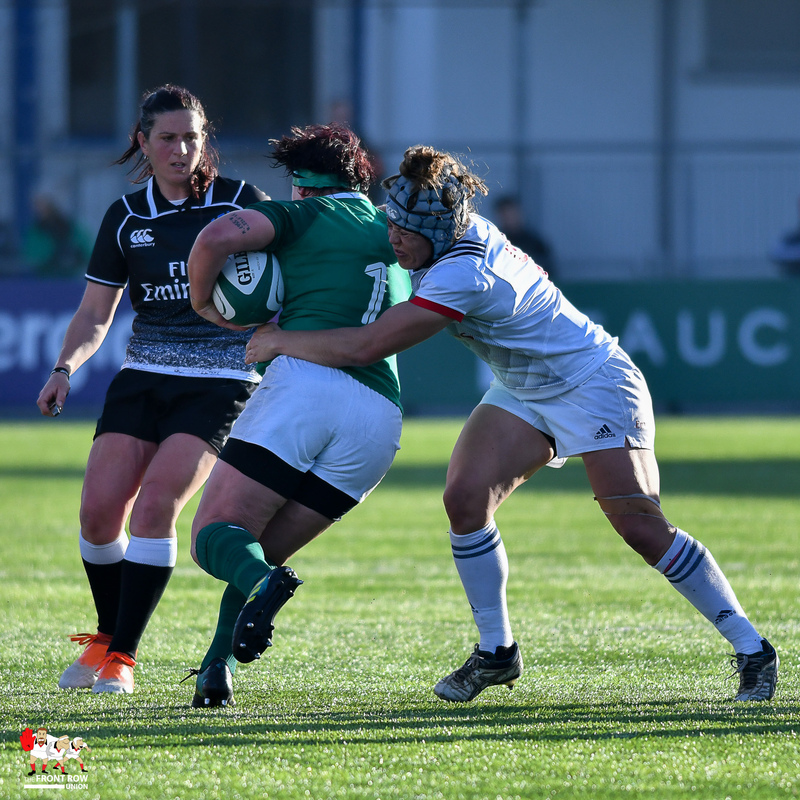 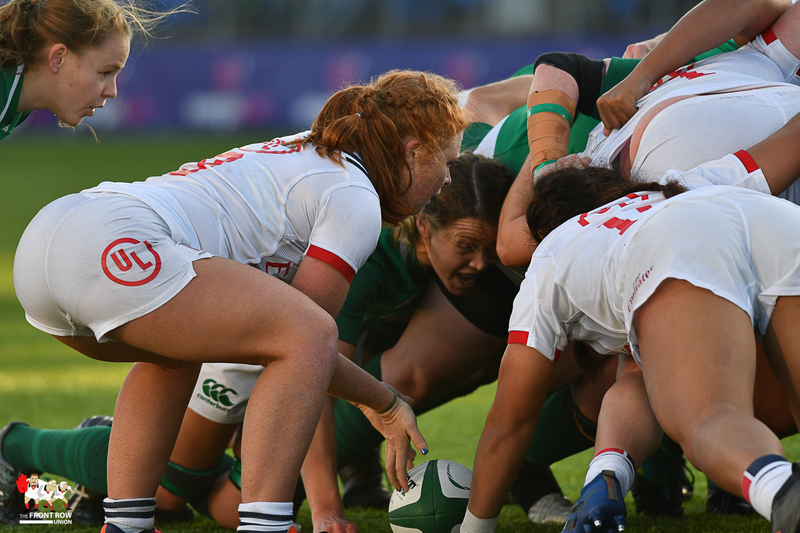 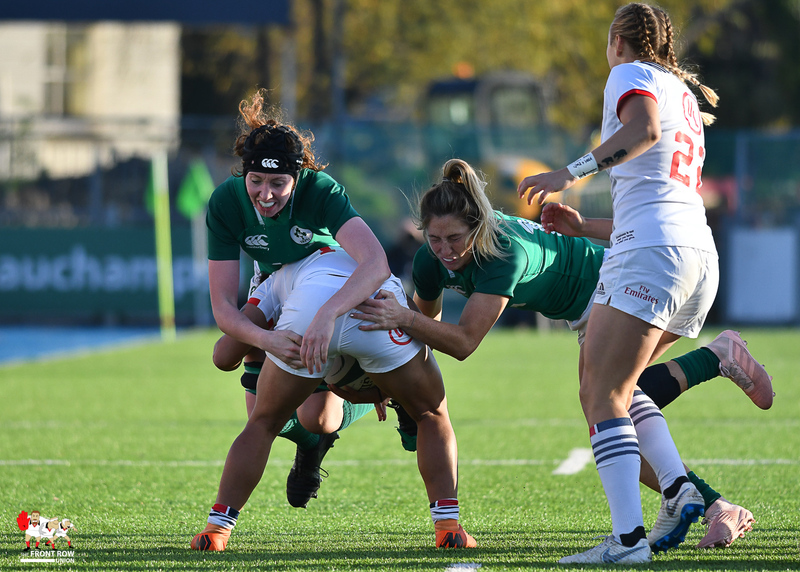 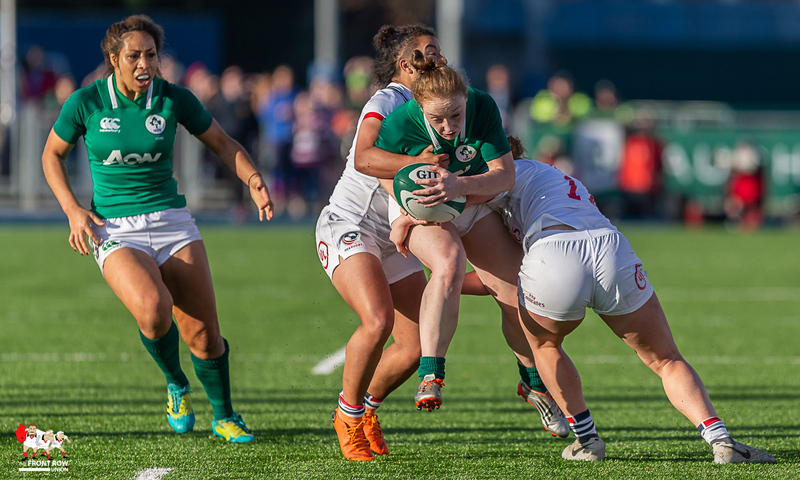 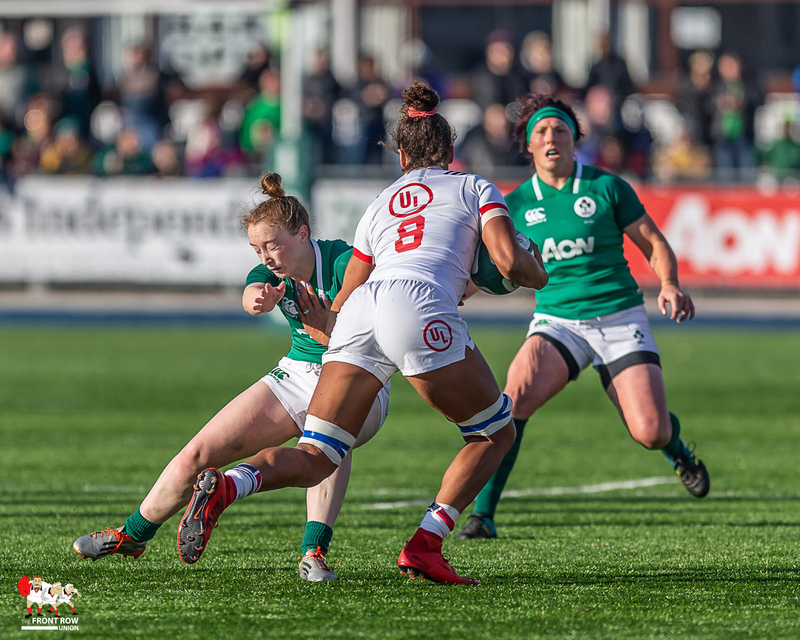 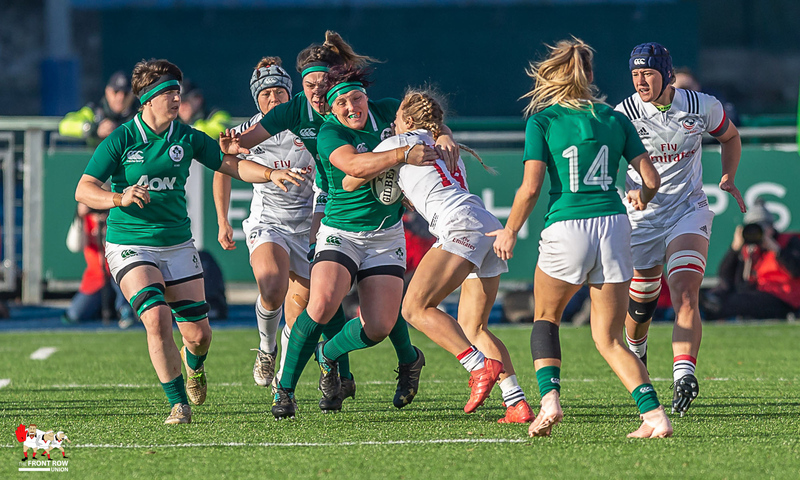 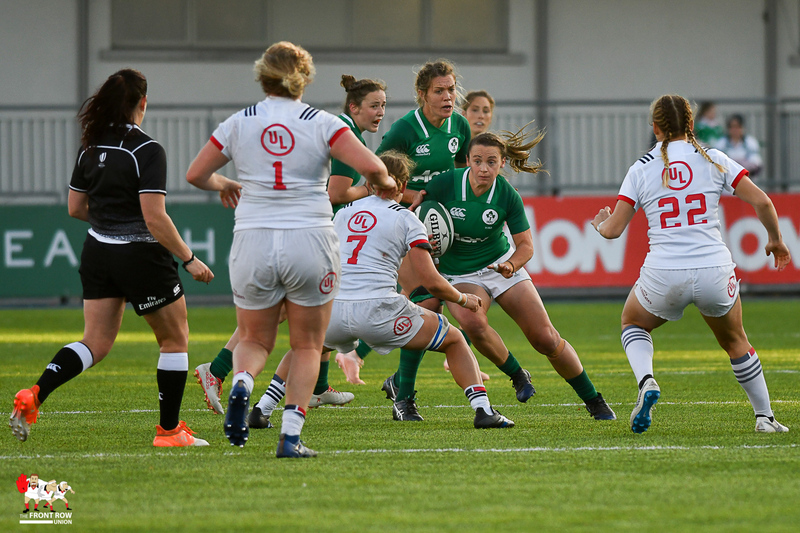 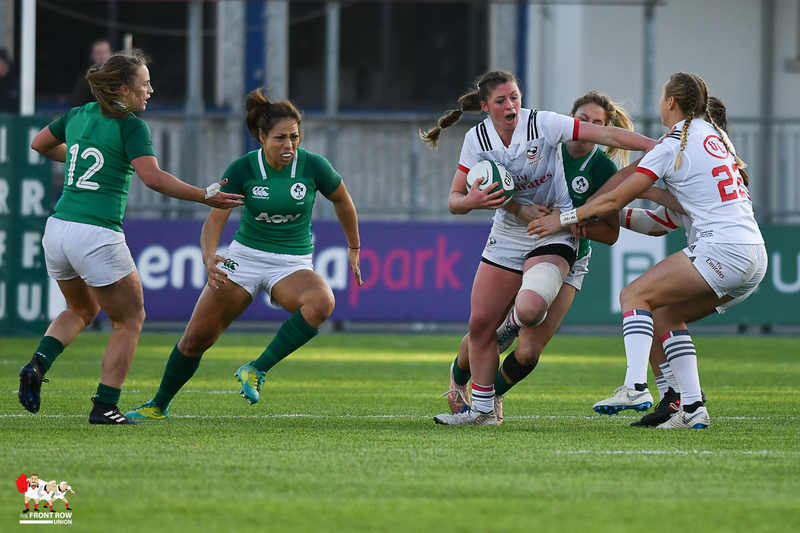 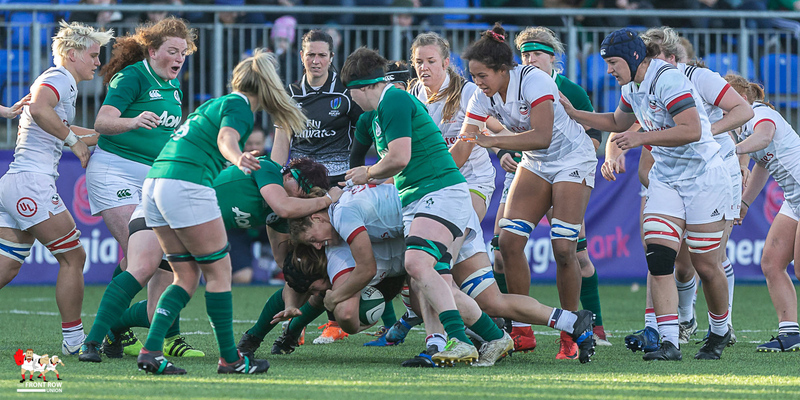 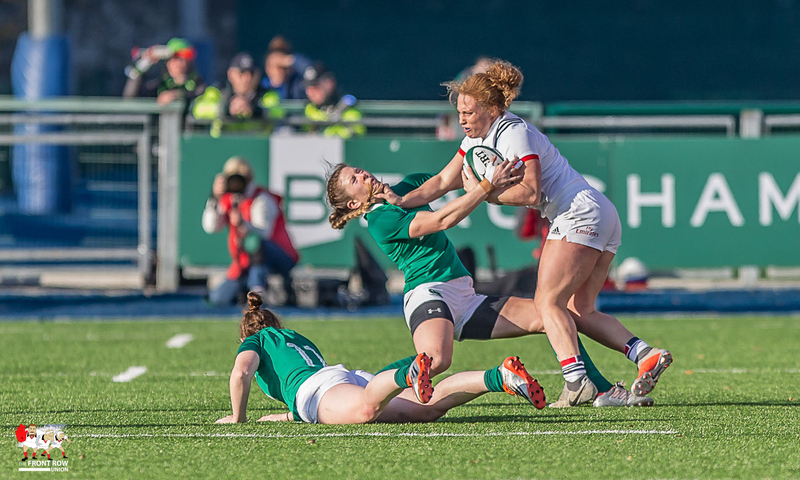 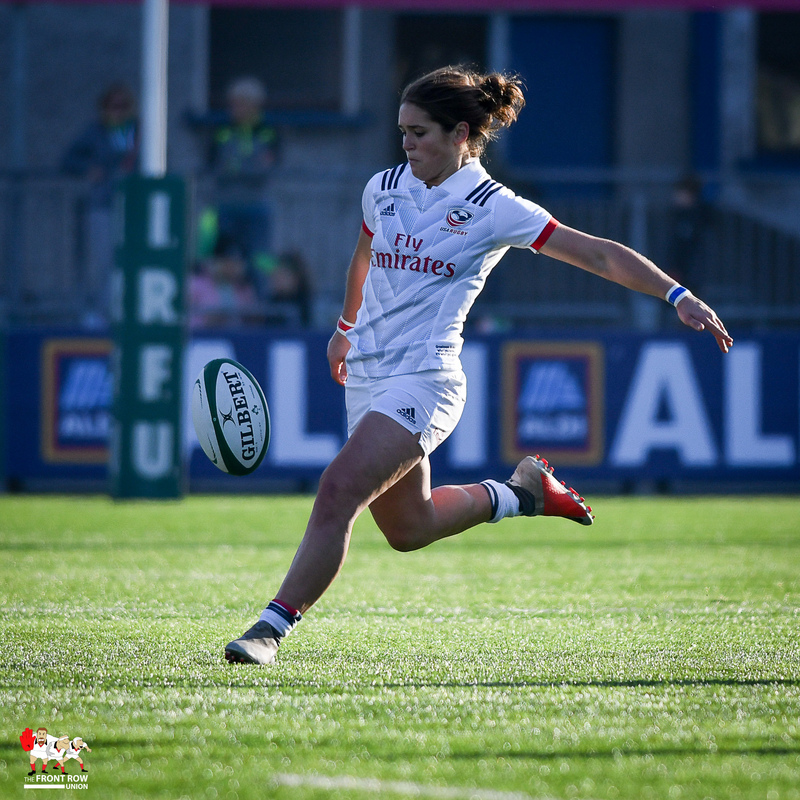 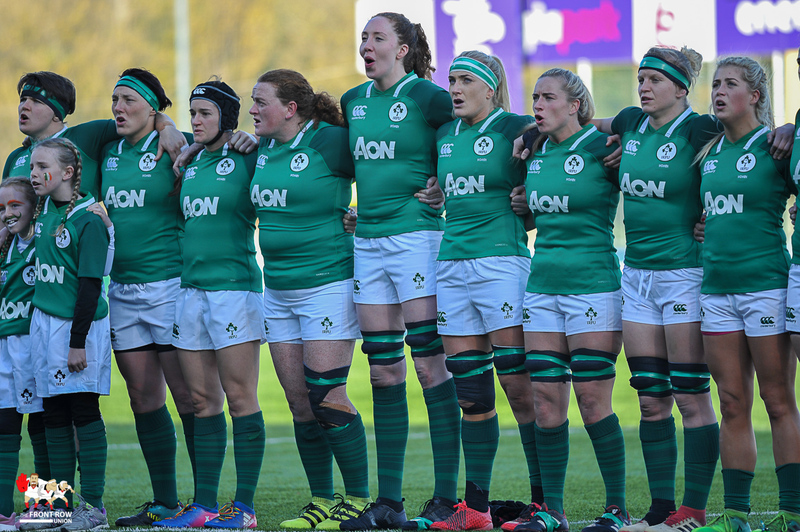 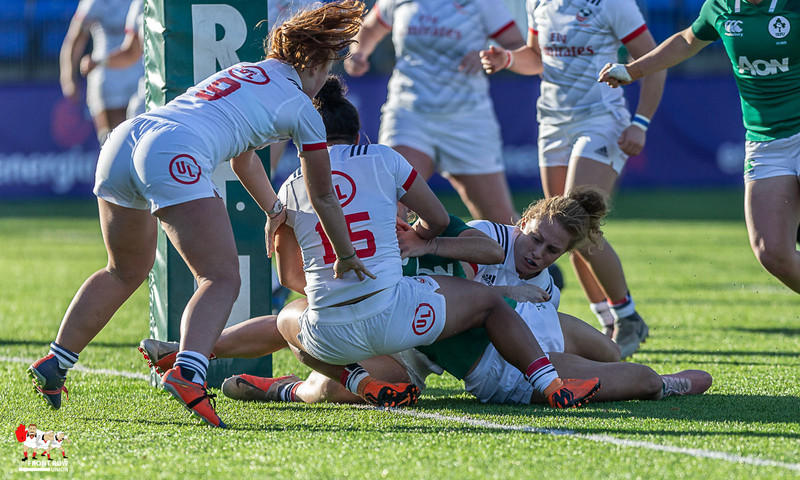 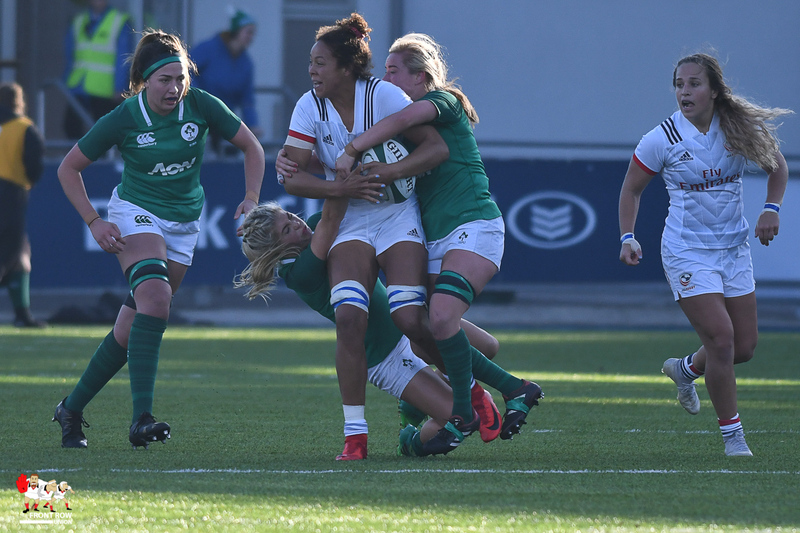 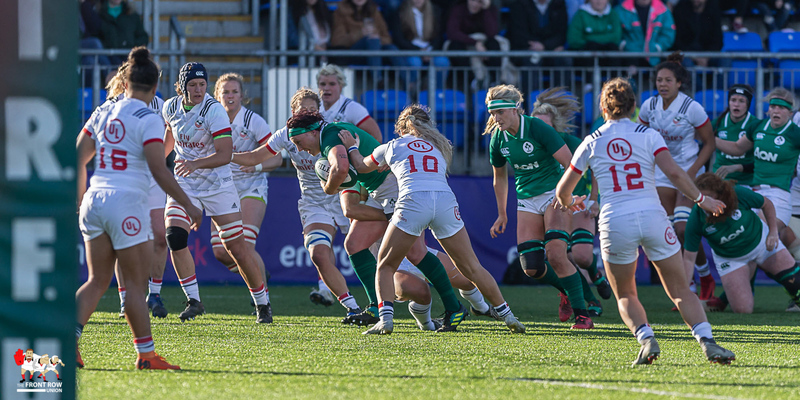 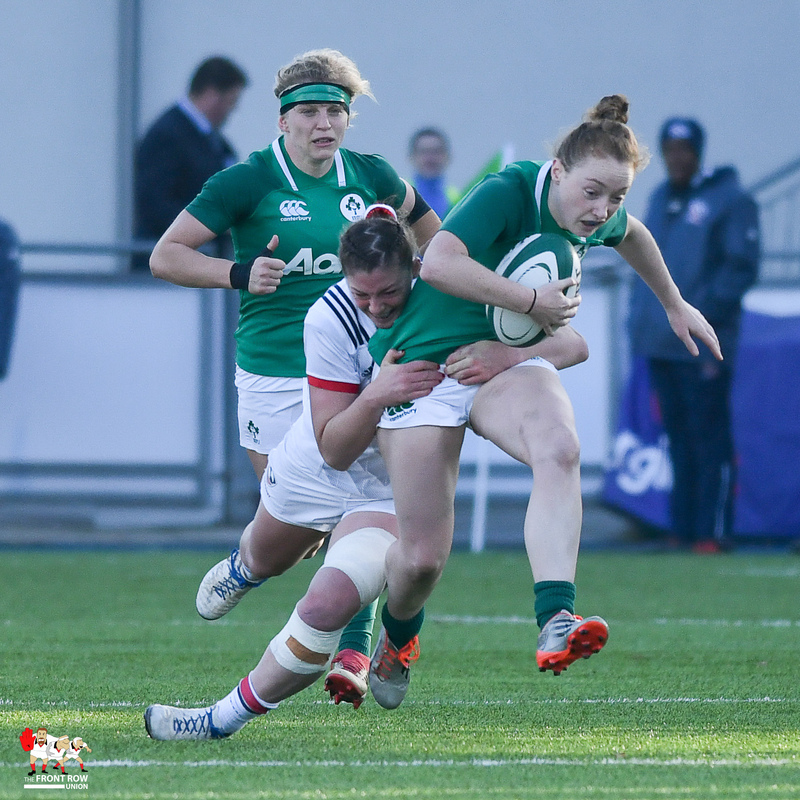 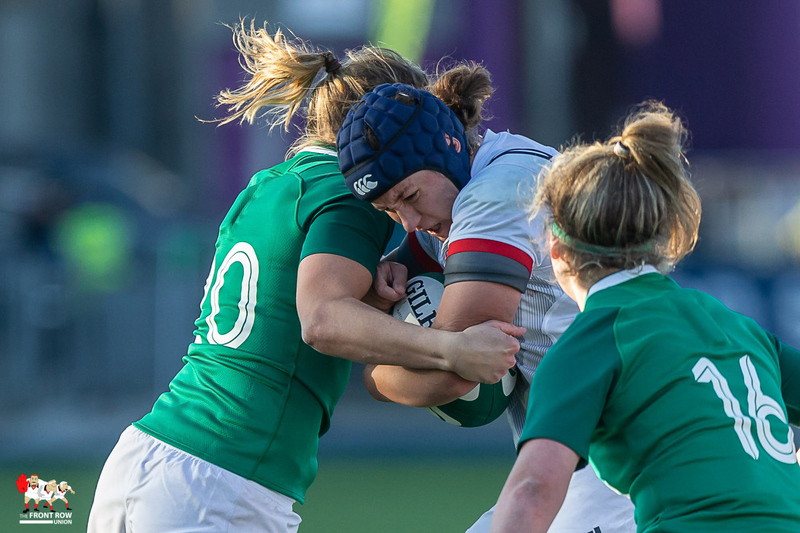 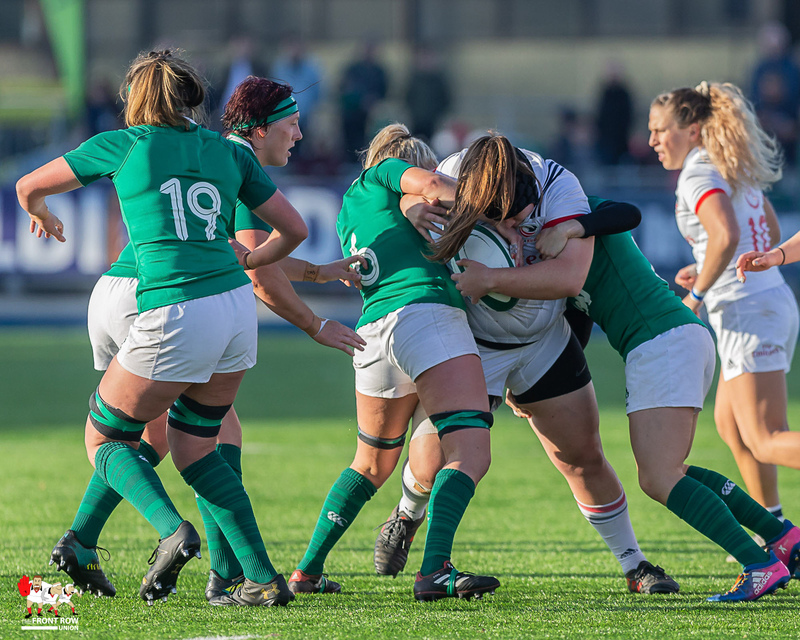 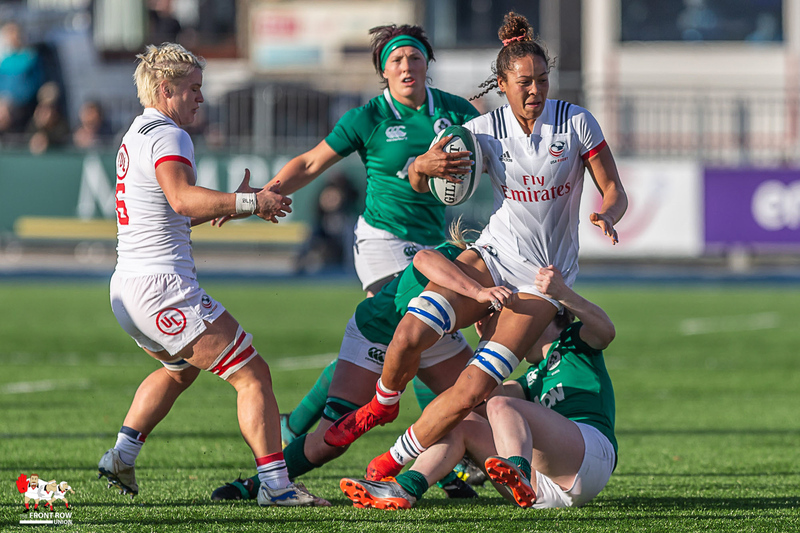 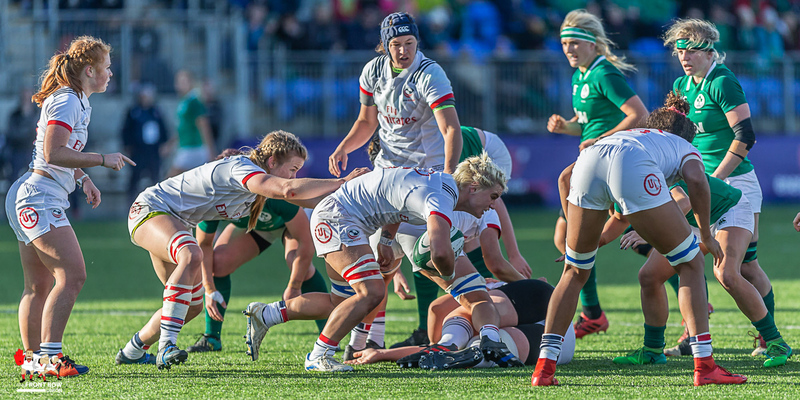 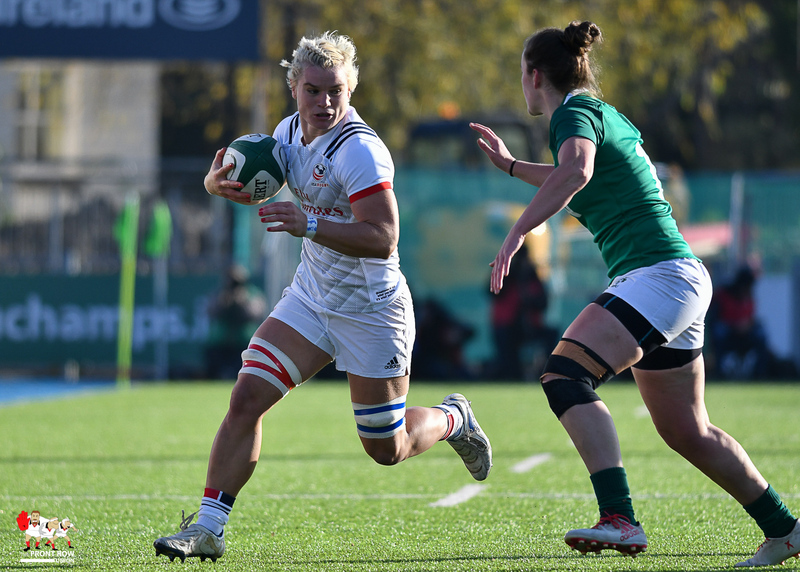 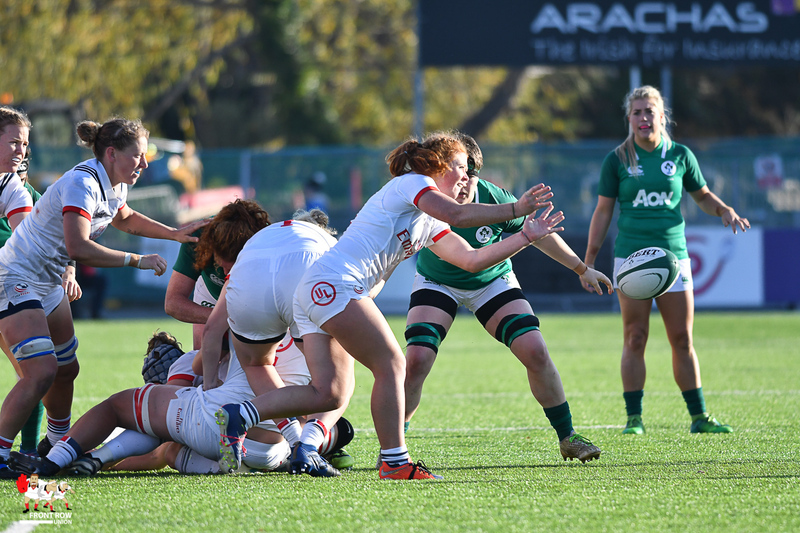 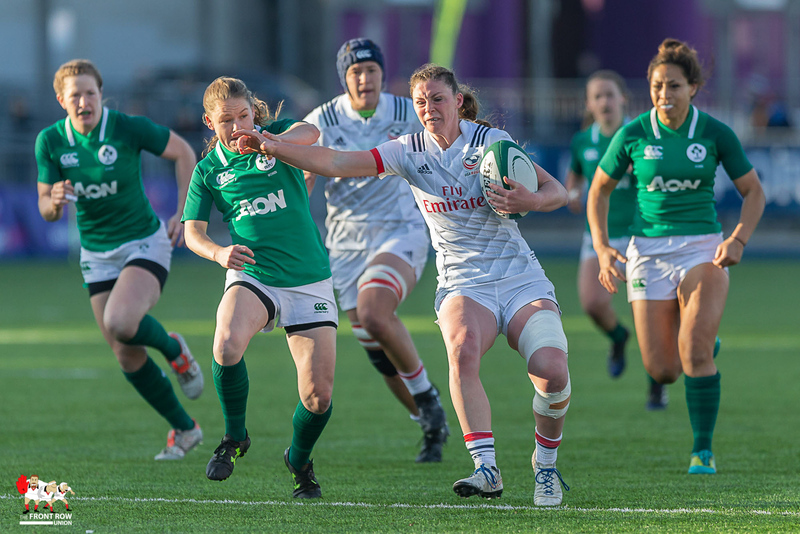 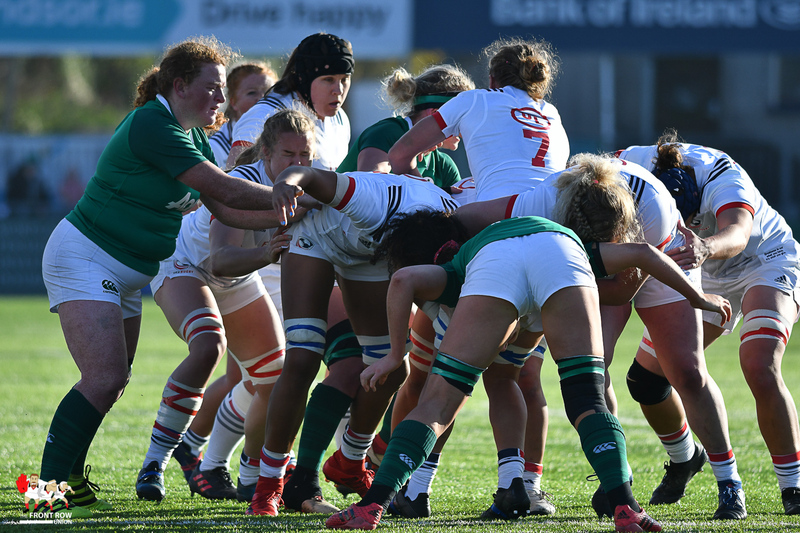 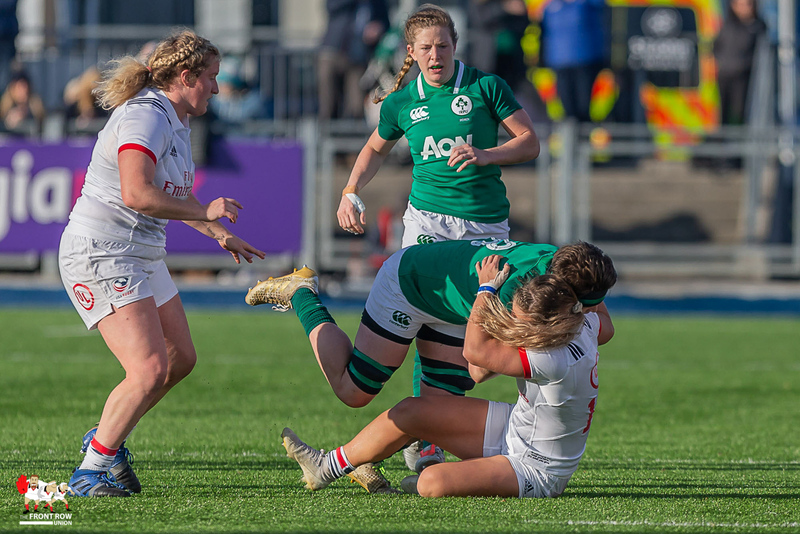 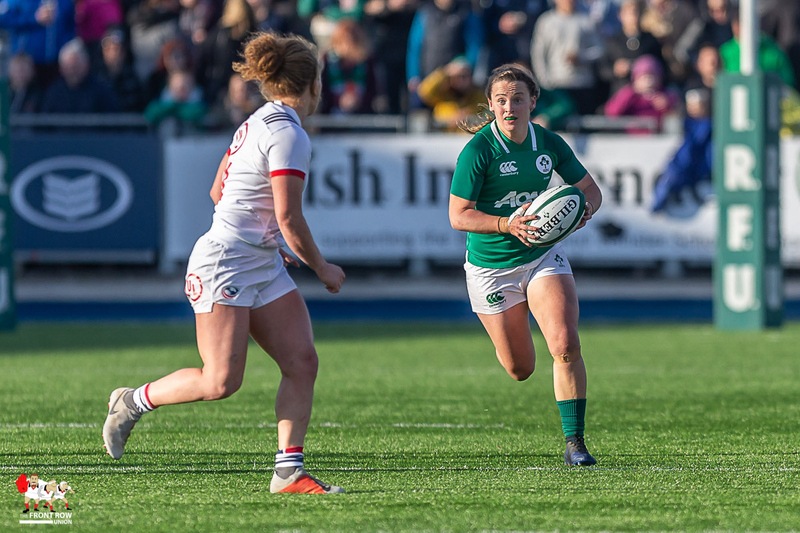 Ireland looked to assert their dominance in the forwards by opting to go to the corner with an early penalty, however the USA were able to disrupt and clear the pressure. 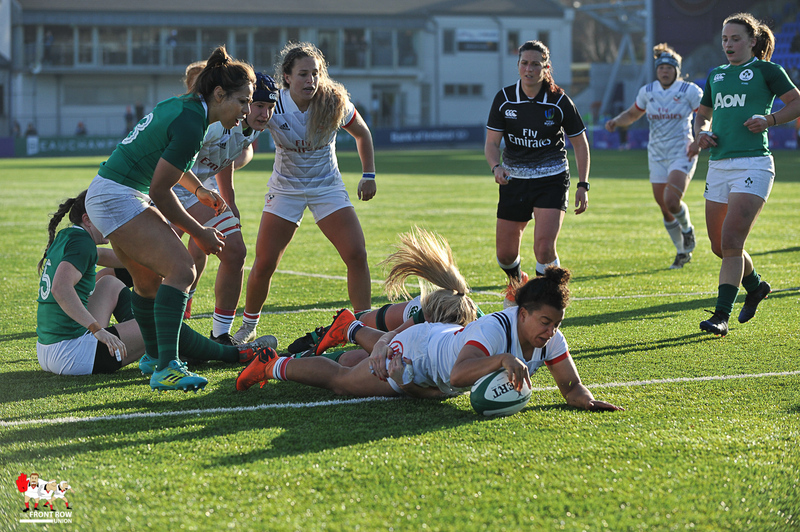 The Eagles showed much better composure in the scoring zone. 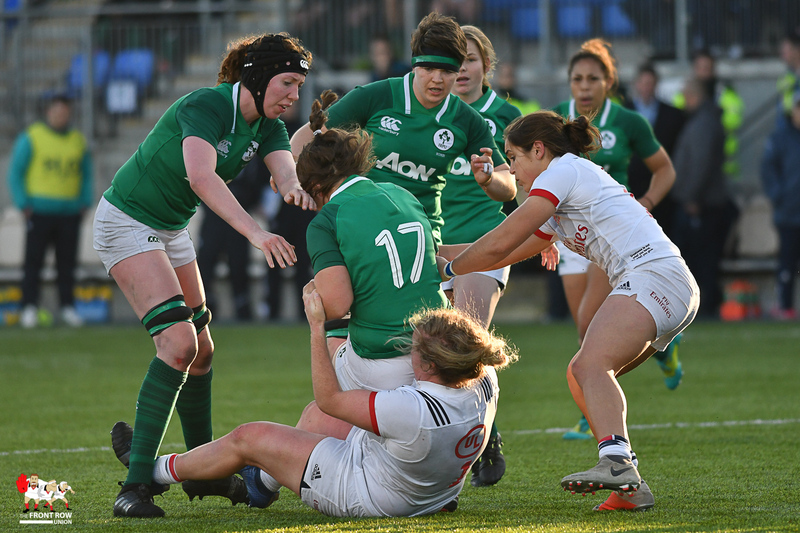 A break up the wing by Jennine Duncan, was stopped in the Ireland 22 by Considine. 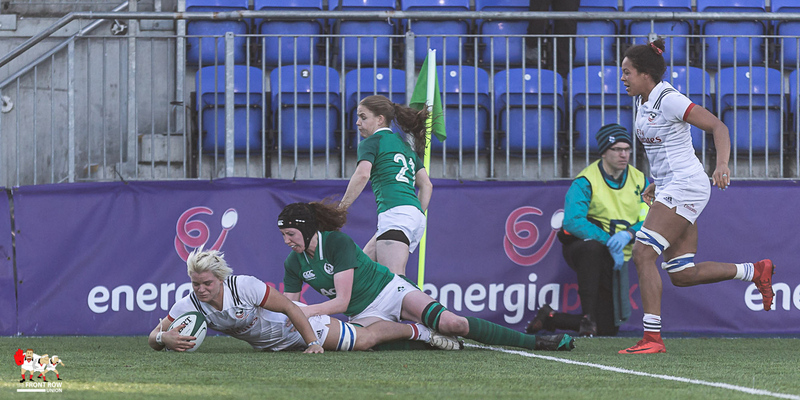 However, Ireland gave away a penalty, and a quick tap from the USA saw captain Kate Zackary break a few tackles before offloading to Rozier who crossed. 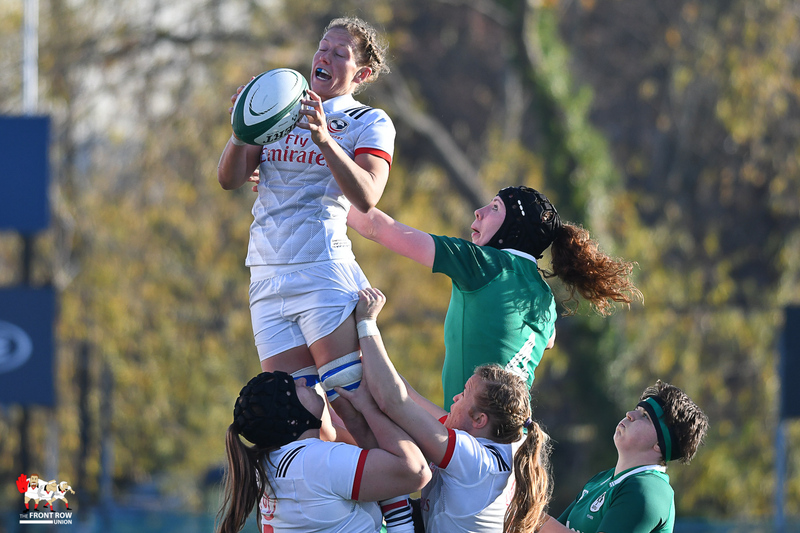 Rozier added the extras to bring the score to 0 – 7. 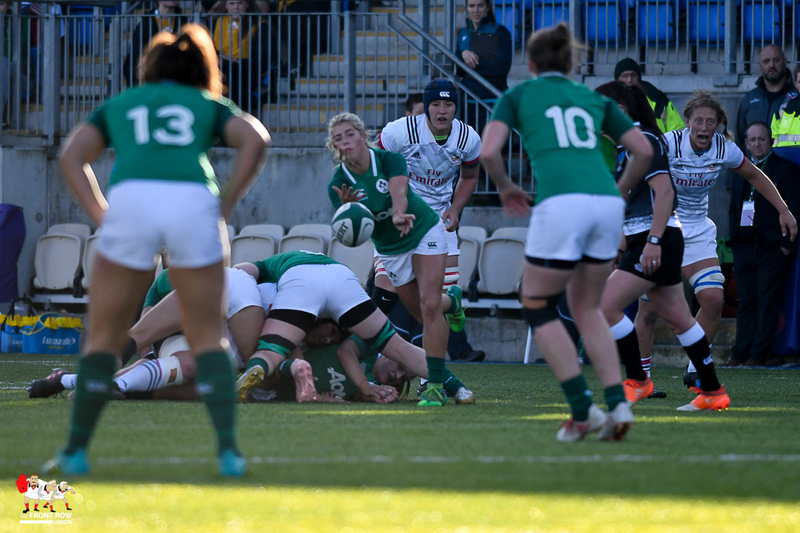 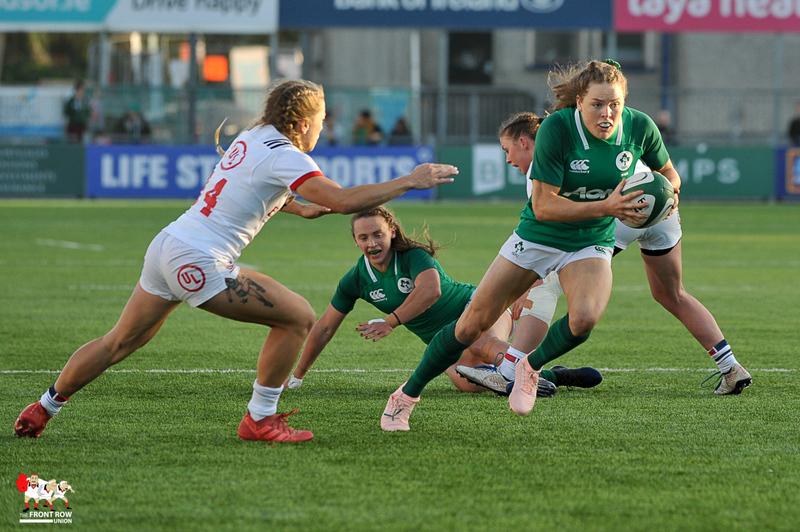 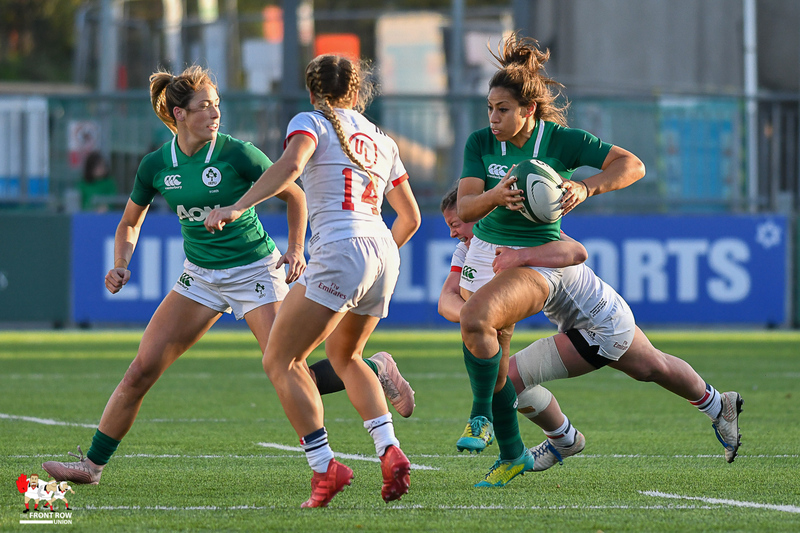 Ireland tried to respond with a number of busting runs, but handling errors at critical points prevented Ireland getting any attacking momentum. 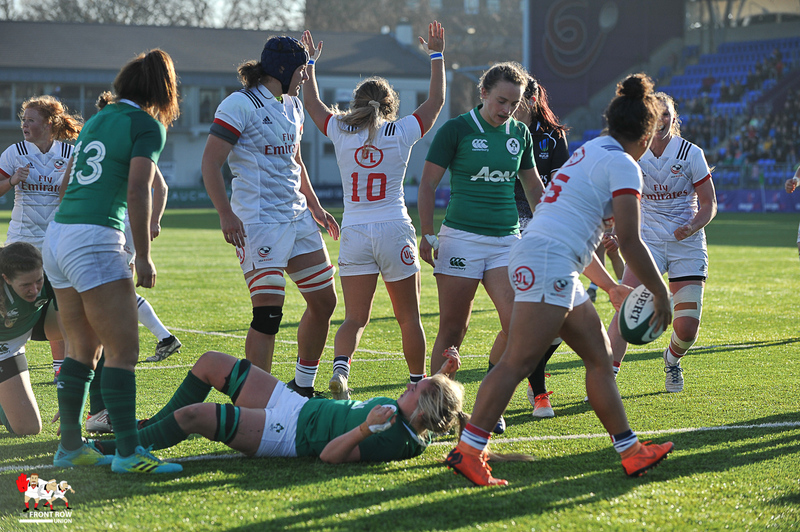 The USA dominated at the breakdown disrupting Ireland on countless occasions. 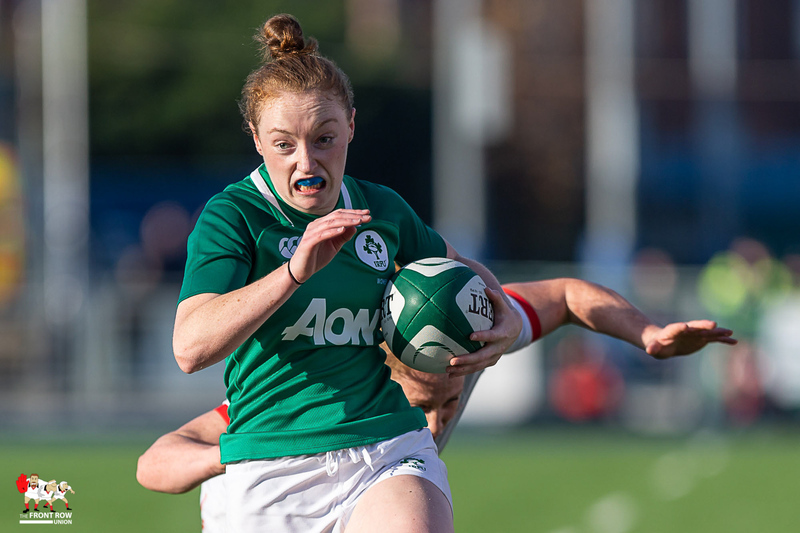 However, Ireland captain Ciara Griffin also got crucial turnovers at the breakdown for her team. 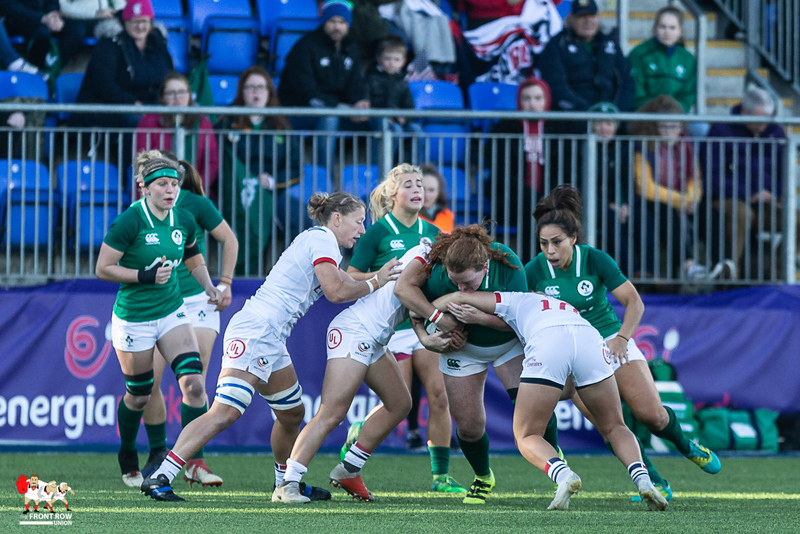 The USA were able to progress into Ireland’s 22 again. 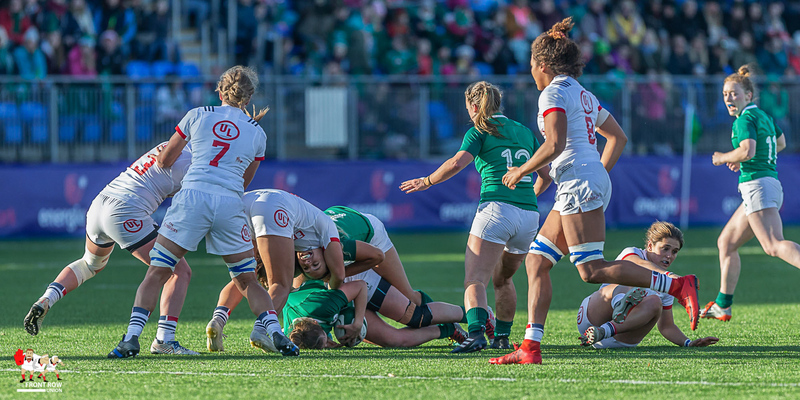 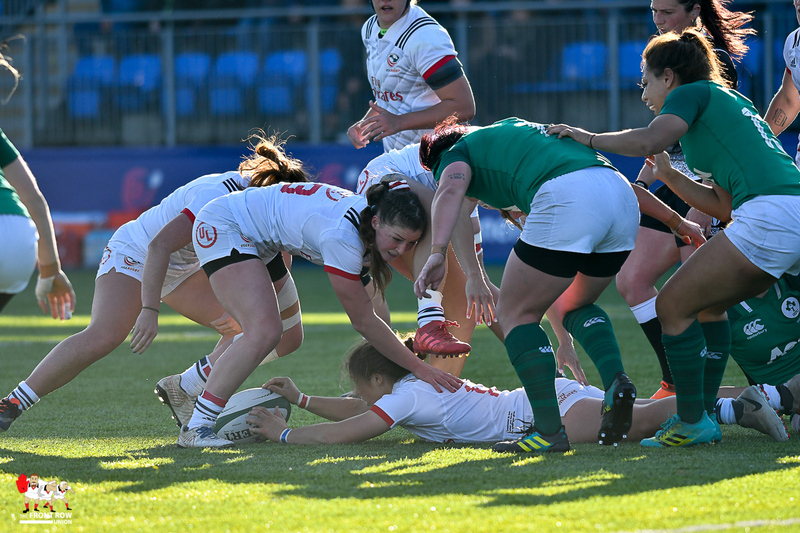 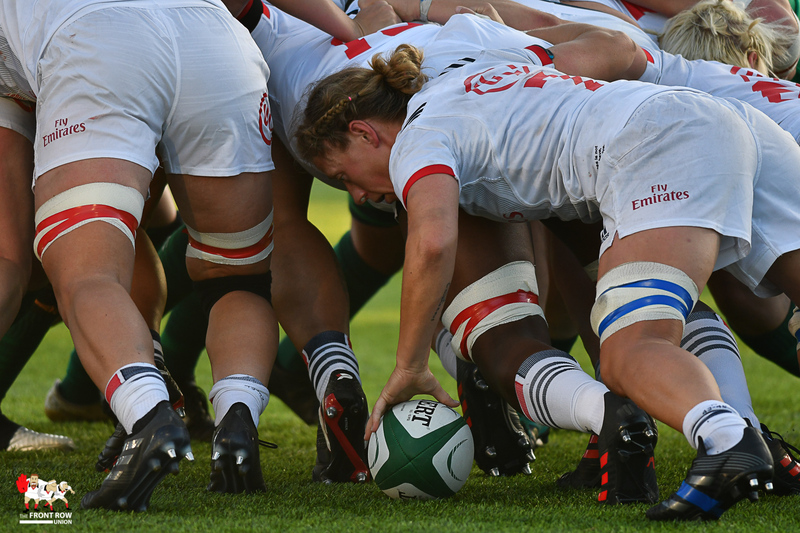 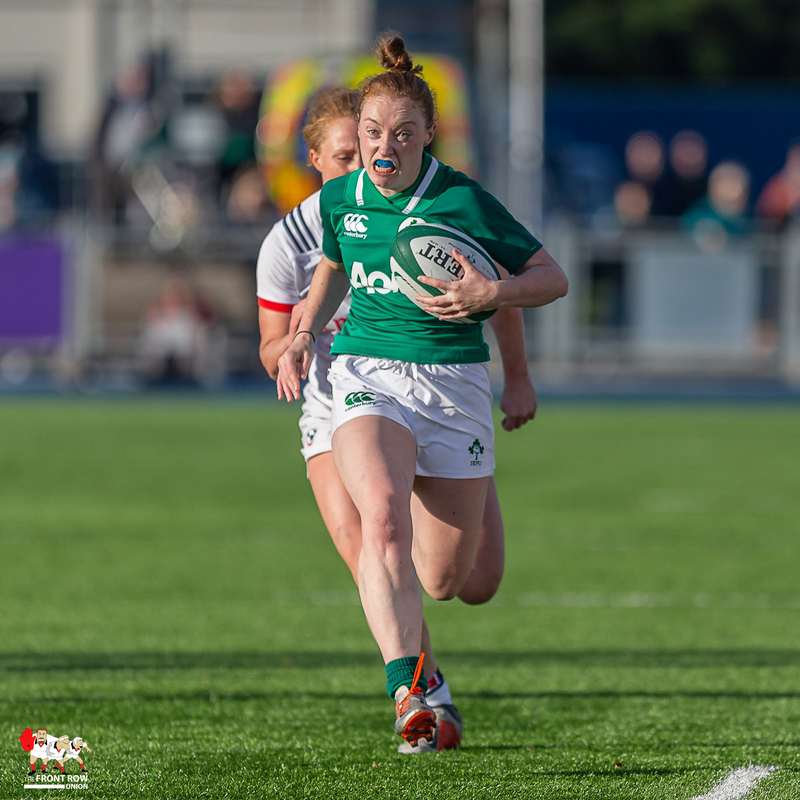 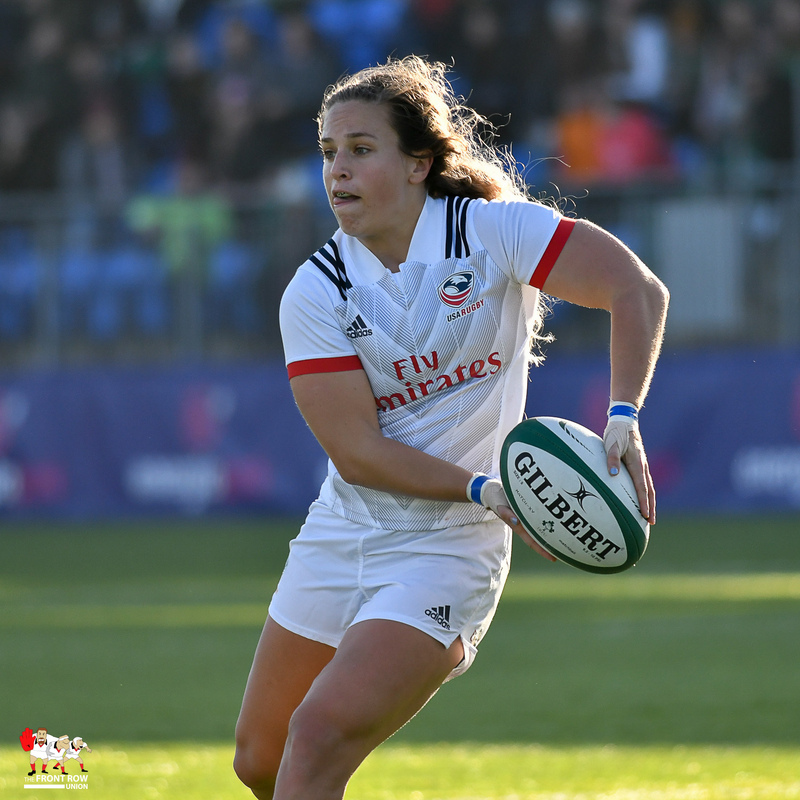 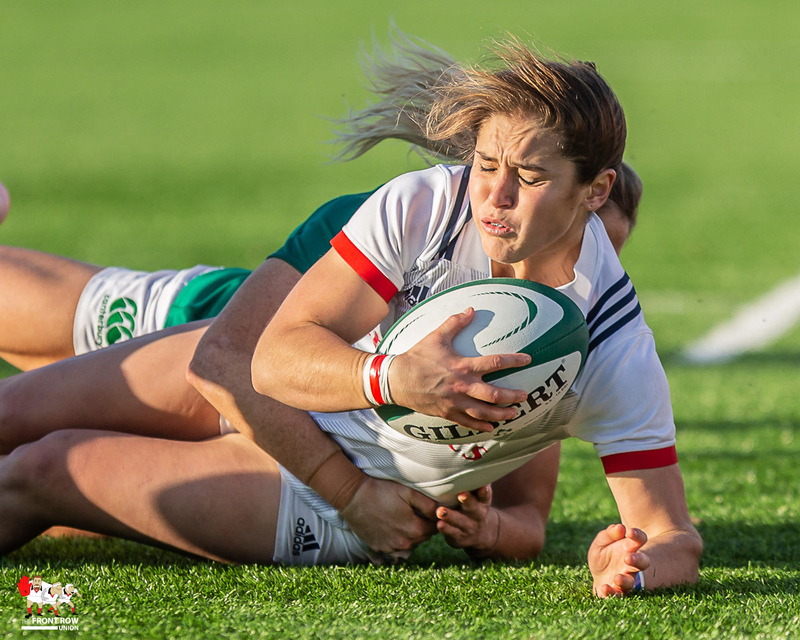 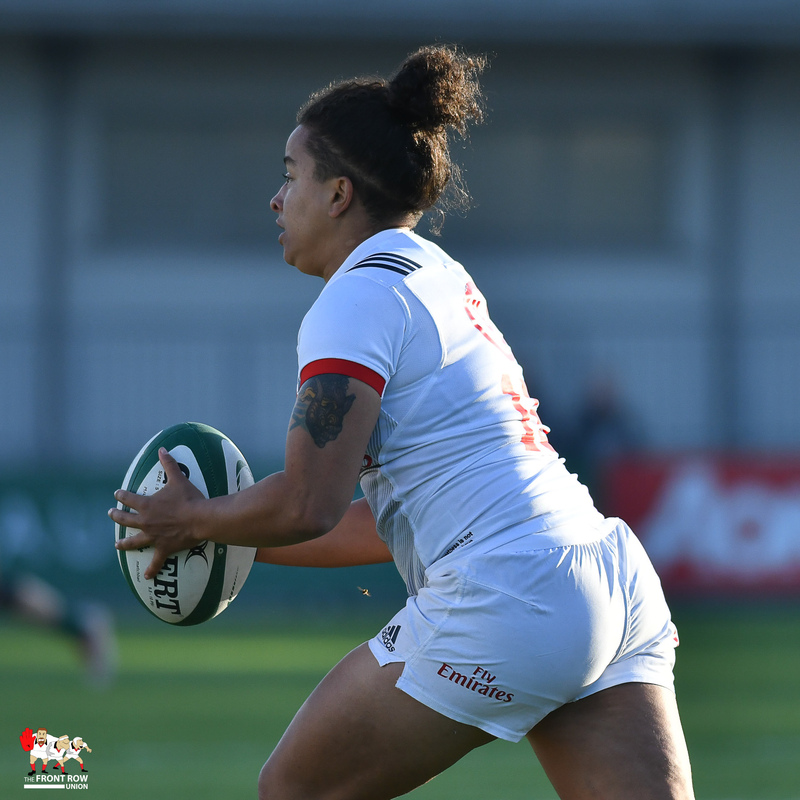 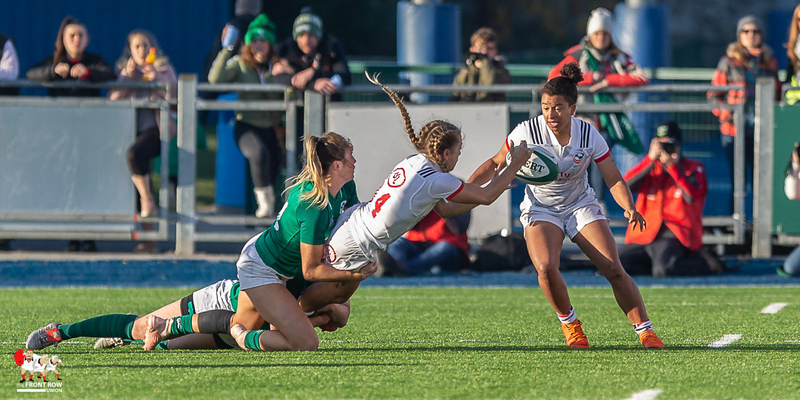 They used a number of pick and goes close to the ruck to build the phases, before shipping the ball out the back to Kaitlyn Broughton, who bounced back up after a tackle to cross the line to take the score to 0 – 12. 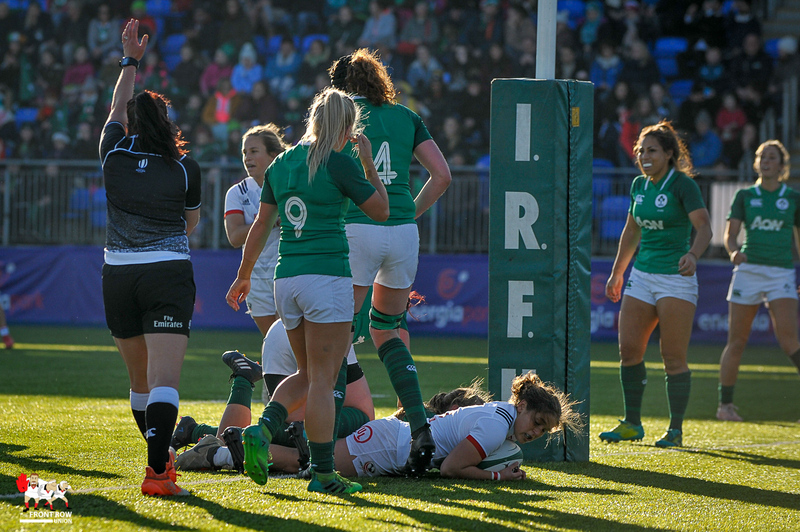 Somewhat against the run of play Ireland were able to get a score just before the break. 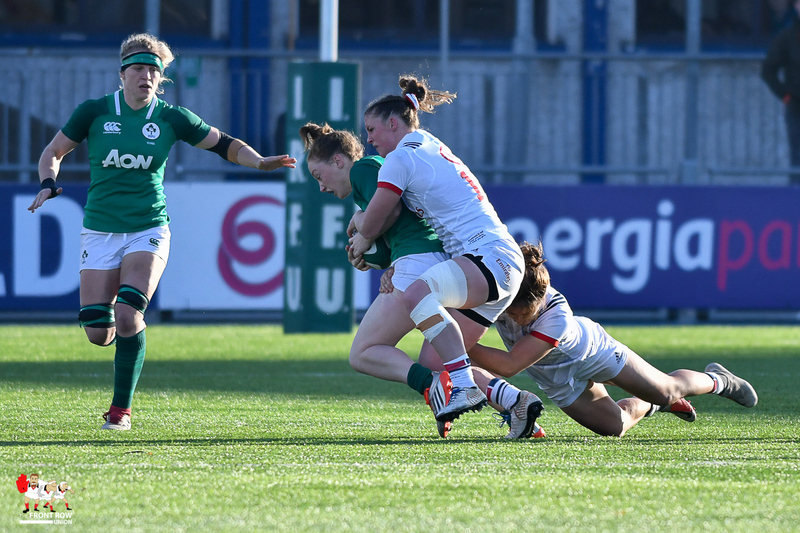 A turnover ball was shifted wide by Claire Molloy to Michelle Claffey who released speedster Laura Sheehan. 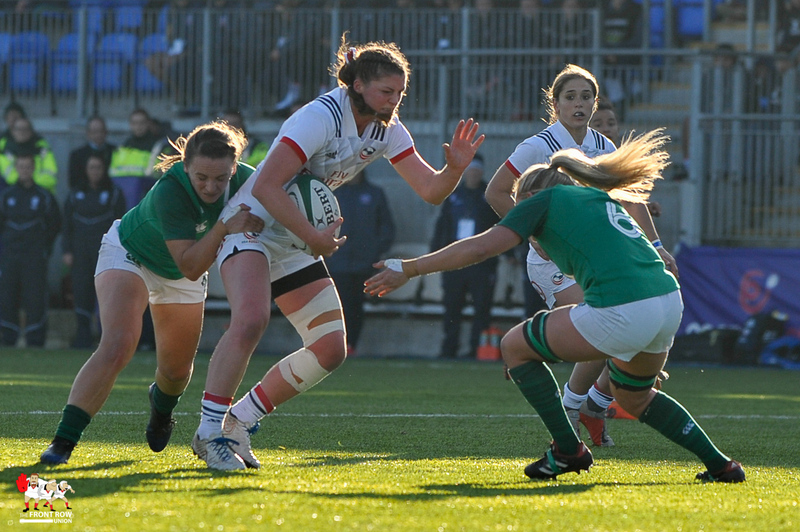 Sheehan used her footwork and speed to evade the USA defence and finished her 40 meter run in the left corner. 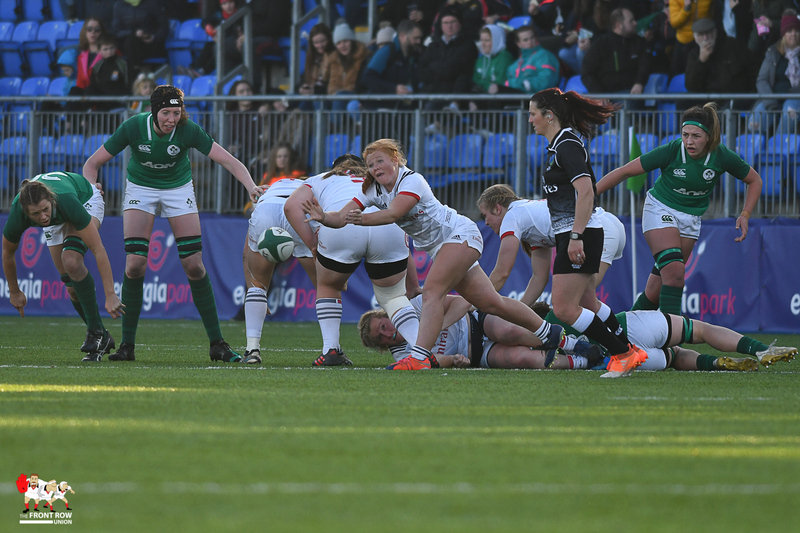 Nikki Caugheys conversion attempt dropped just short leaving the score at 5 – 12. 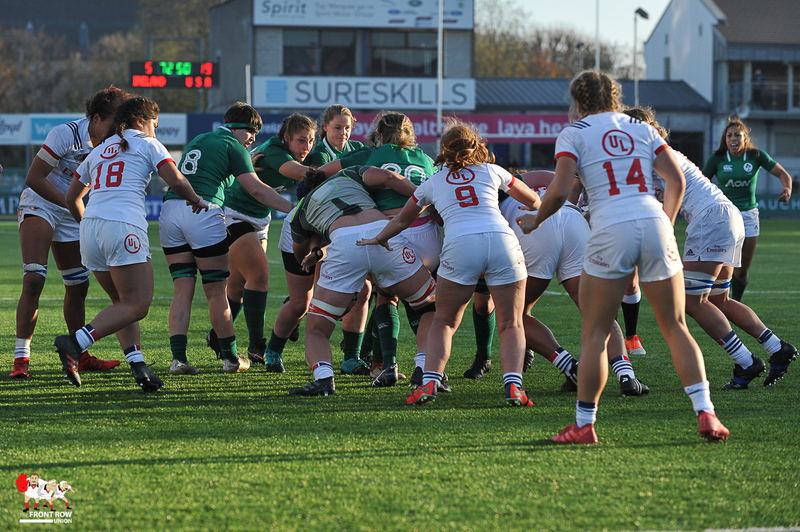 After half time both teams looked to build momentum, but were halted as the errors continued. 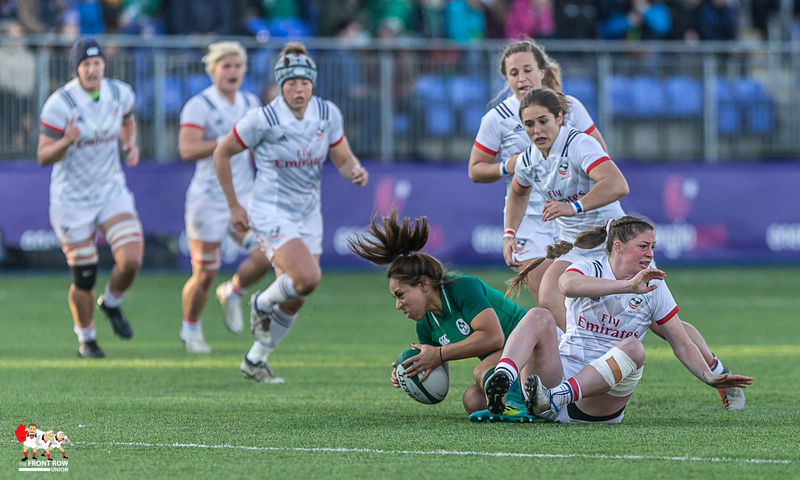 The USA defence proved too strong with turnovers at the break down continuing to disrupt Ireland. 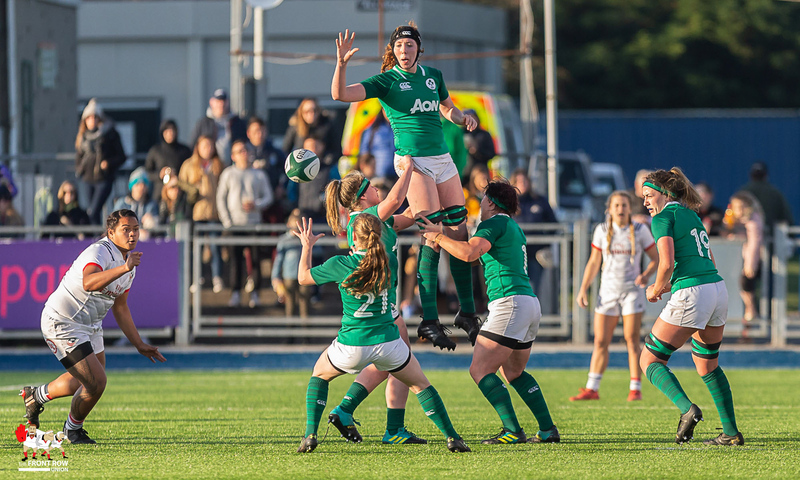 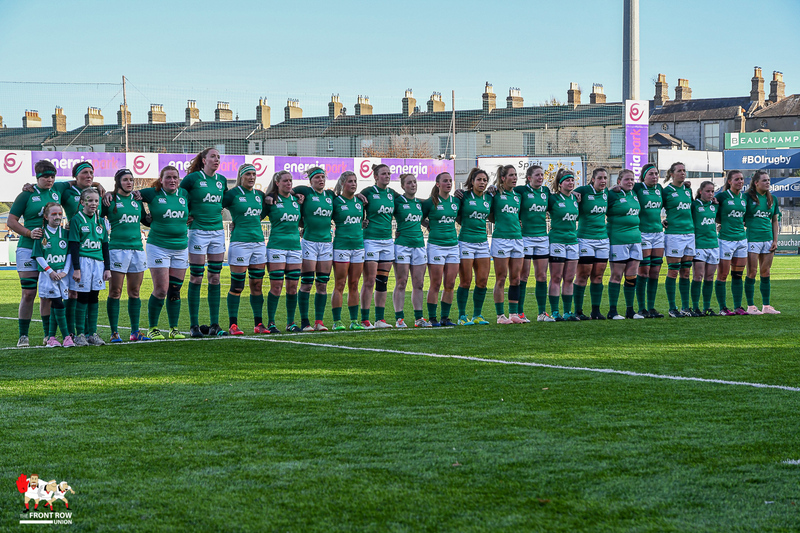 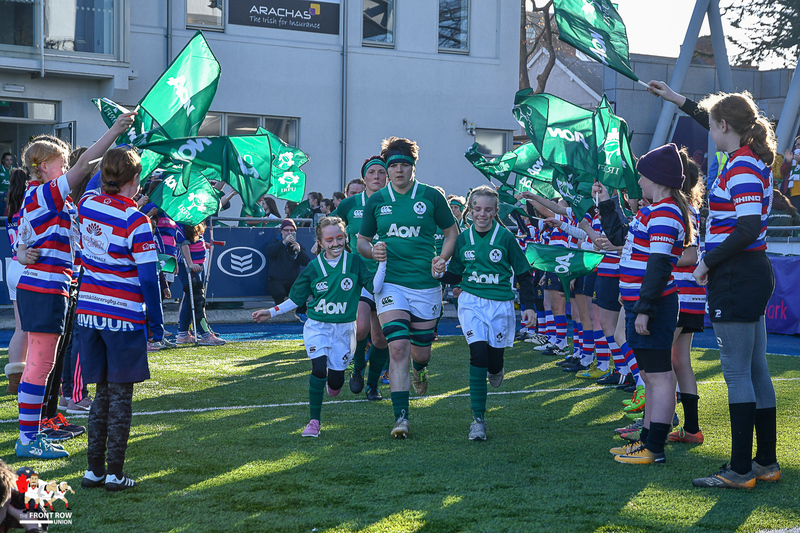 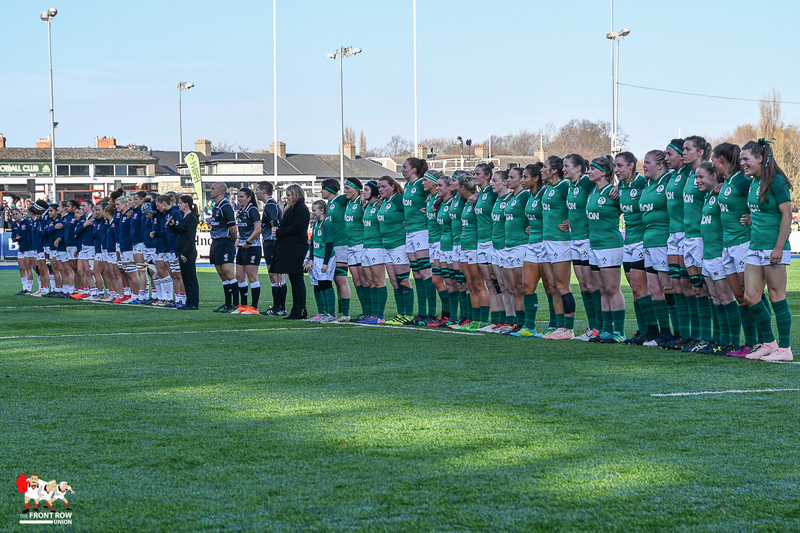 With Ireland chasing the game, Griggs’ introduced, new caps, Emma Hooban and 16 year old Beibhinn Parsons, together with the experienced Leah Lyons and Claire McLaughlin. 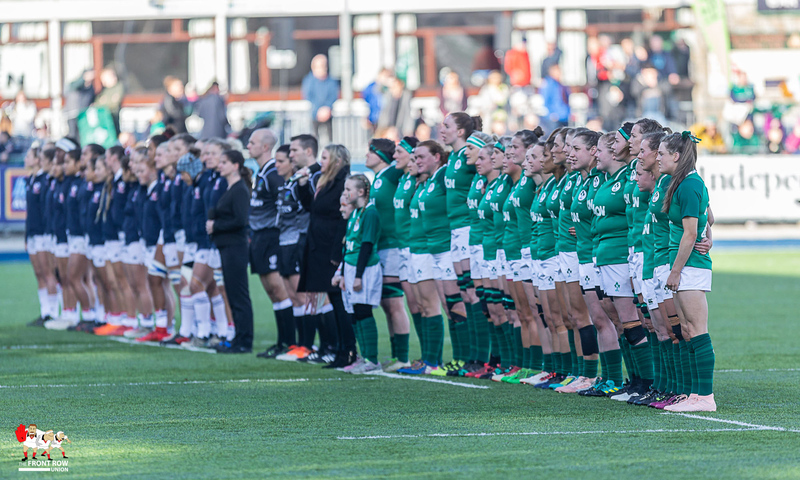 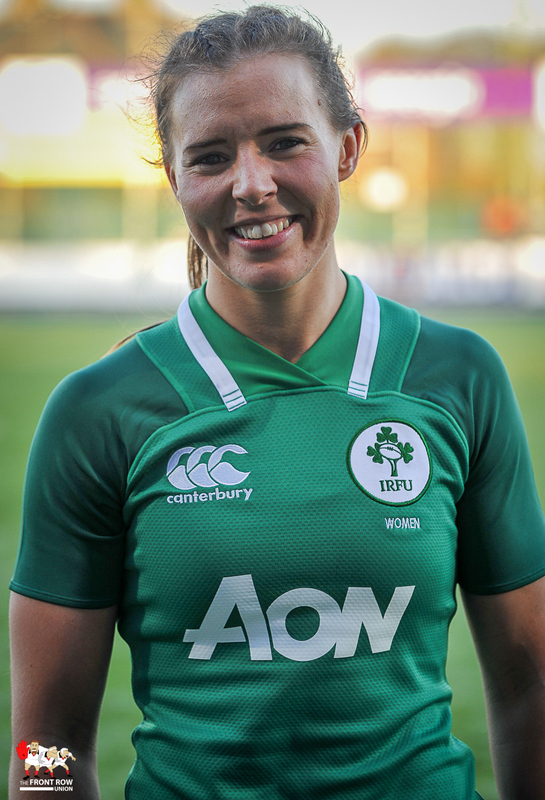 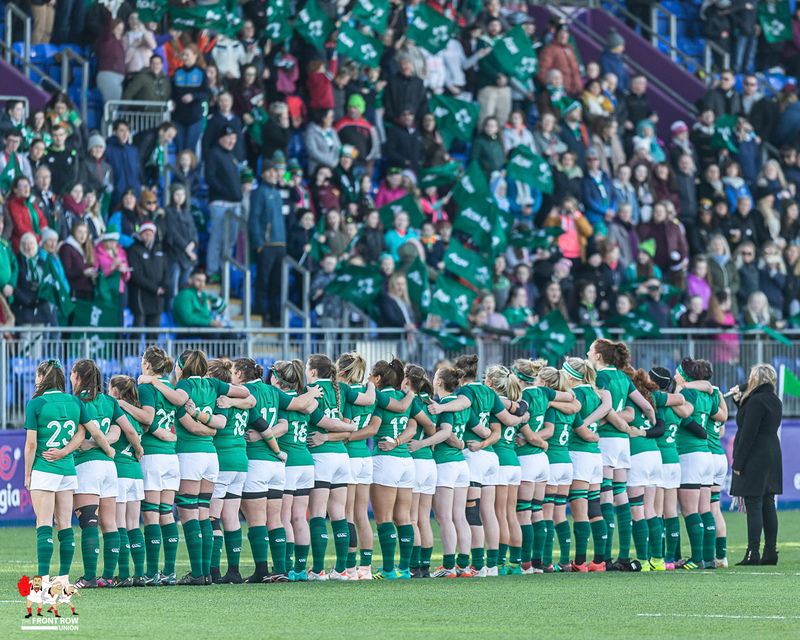 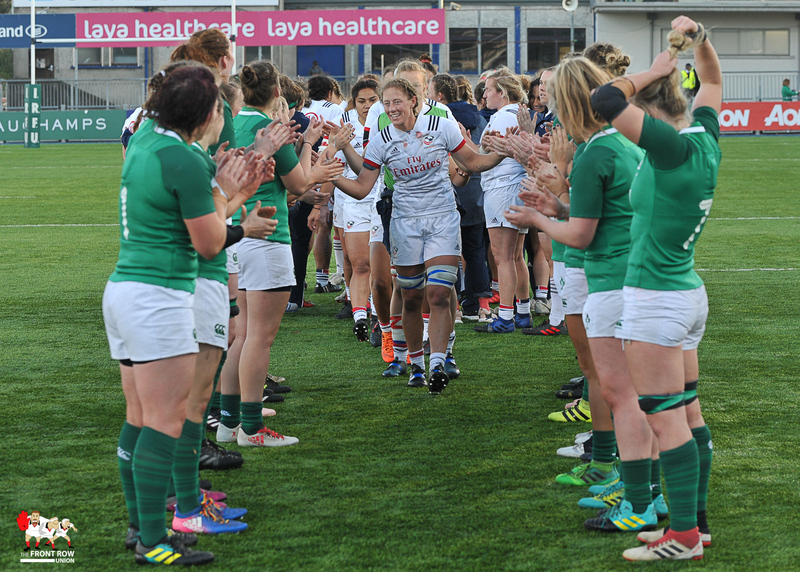 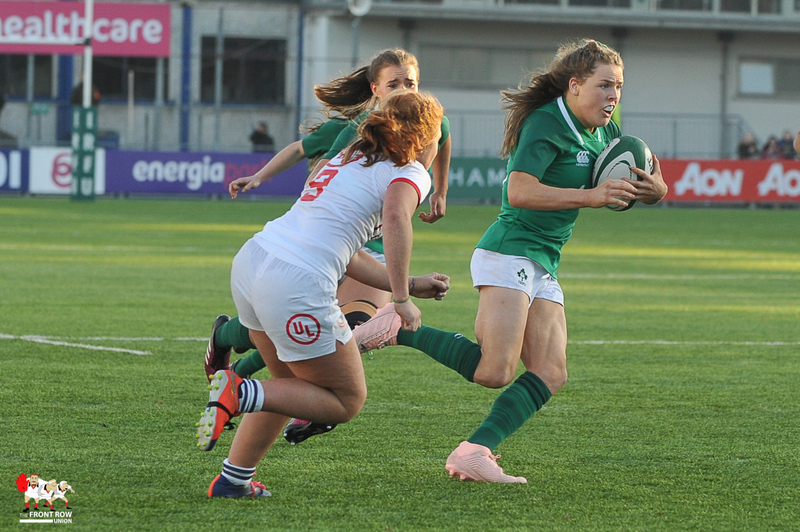 That meant that there were four new caps for Ireland with debutants Sarah Mimnagh and Lauren Delany starting. 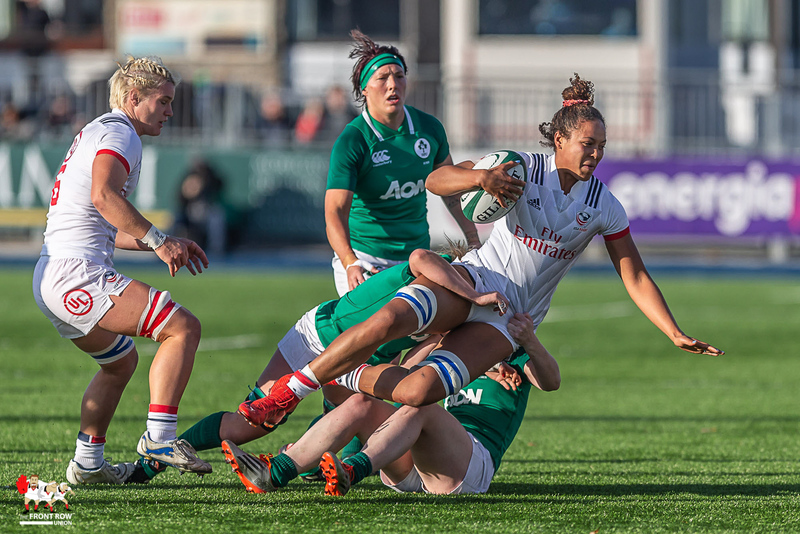 Ireland again tried to build momentum but the USA defence held strong. 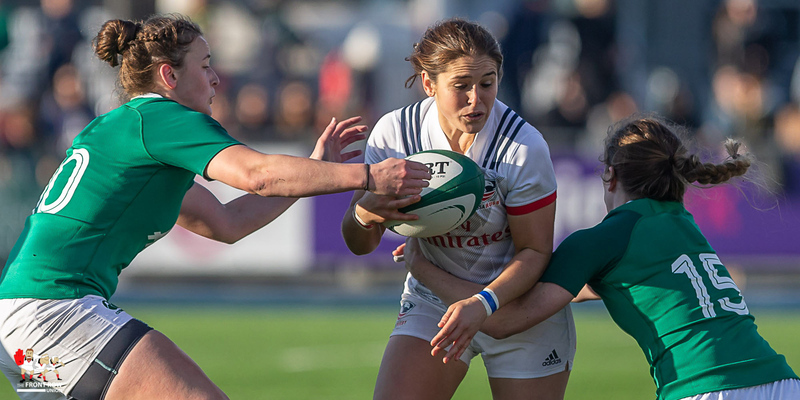 The home team’s forwards were held out a number of times by the resilient USA pack. 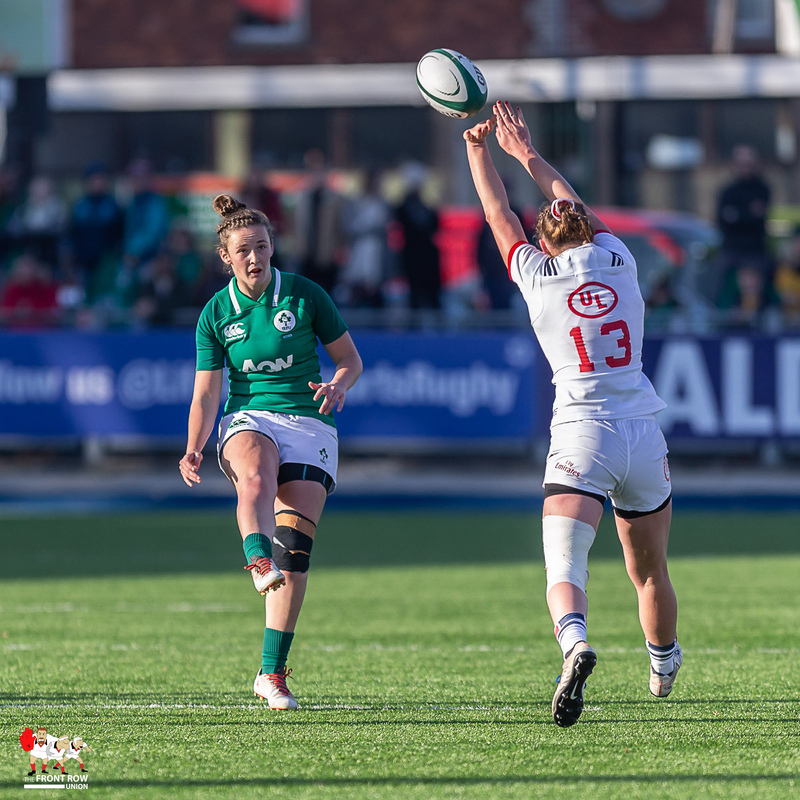 there was some hope as Parsons showed some fabulous footwork with her first touch, dancing around a number of defenders before being held up over the line. 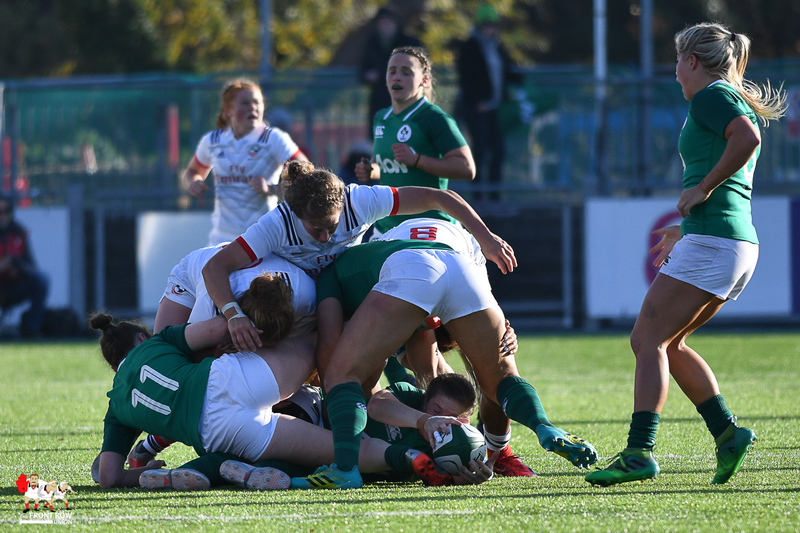 Ireland’s second score came after the 80 minute mark. 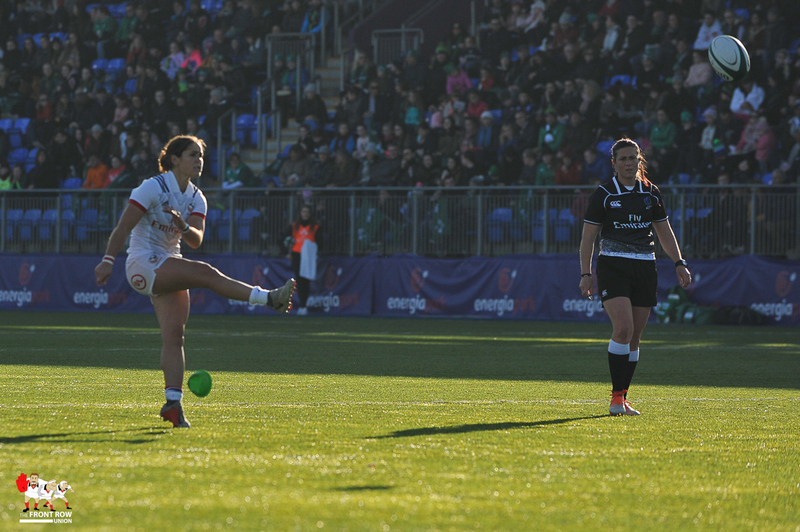 Replacement Jeamie Deacon took a quick tap penalty to keep pressure on the US. 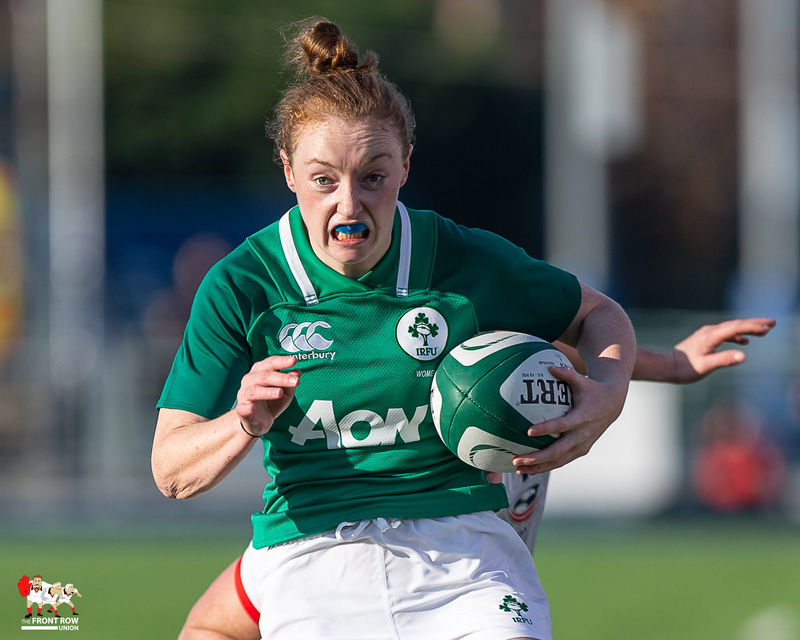 Michelle Claffey showed great handling to release Considine who crossed near the posts. 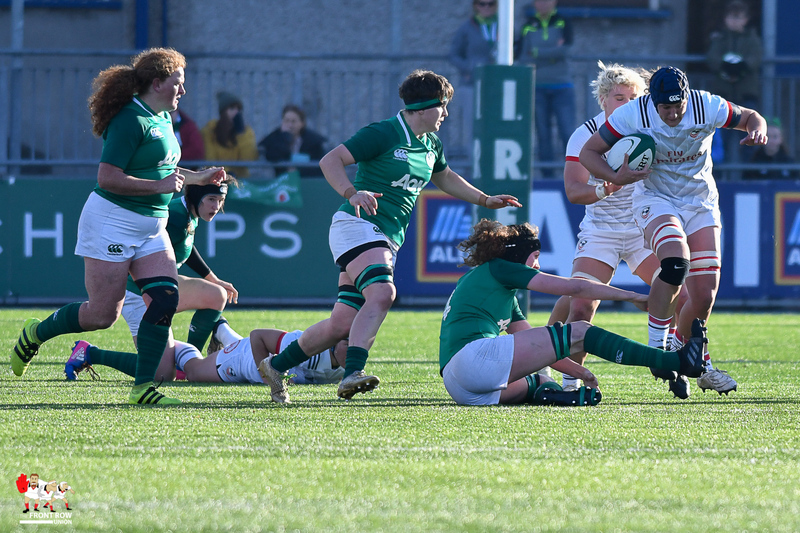 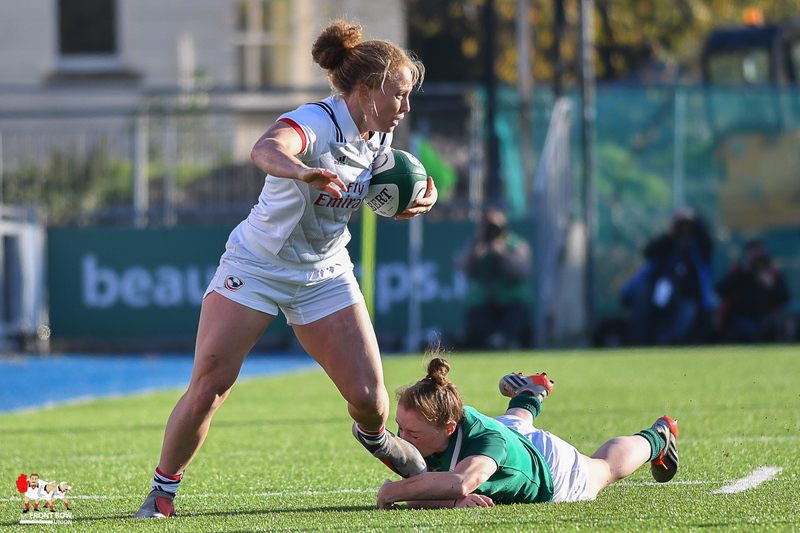 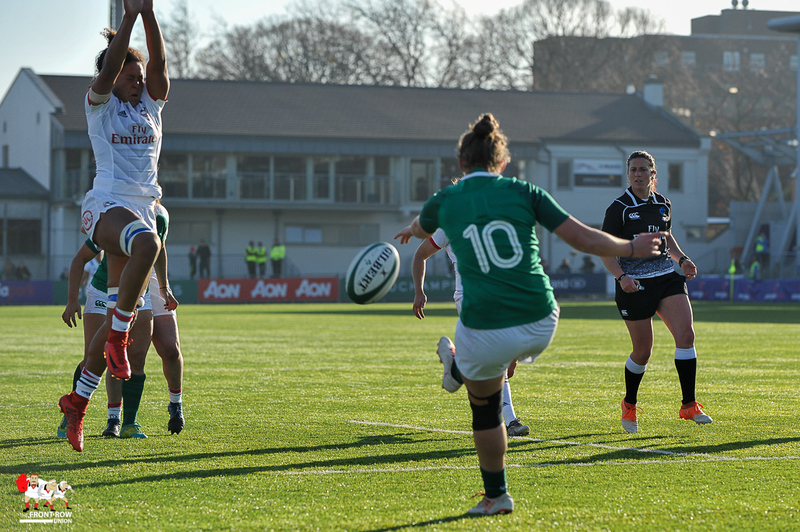 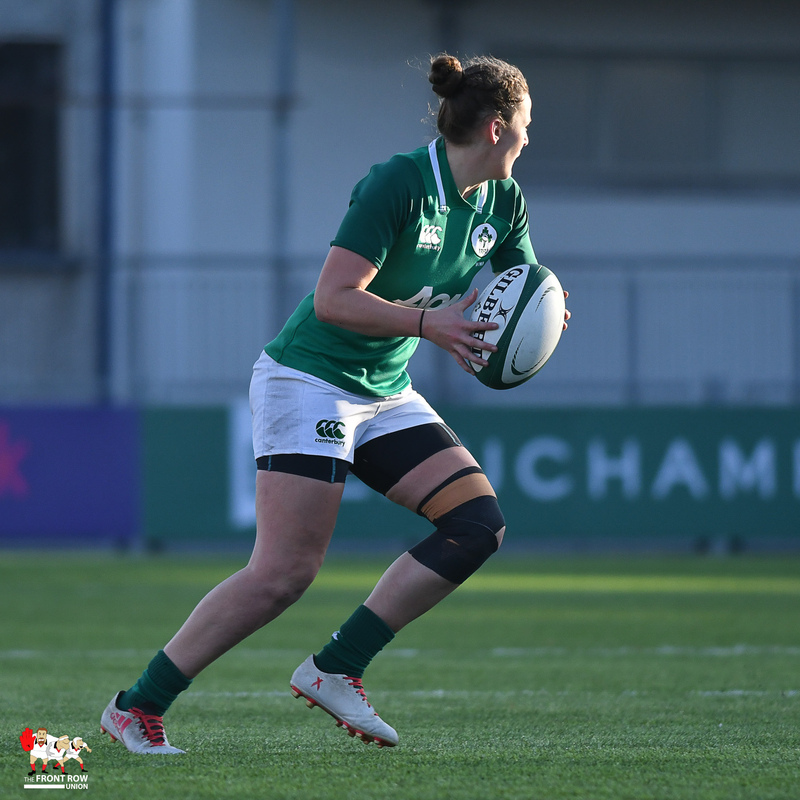 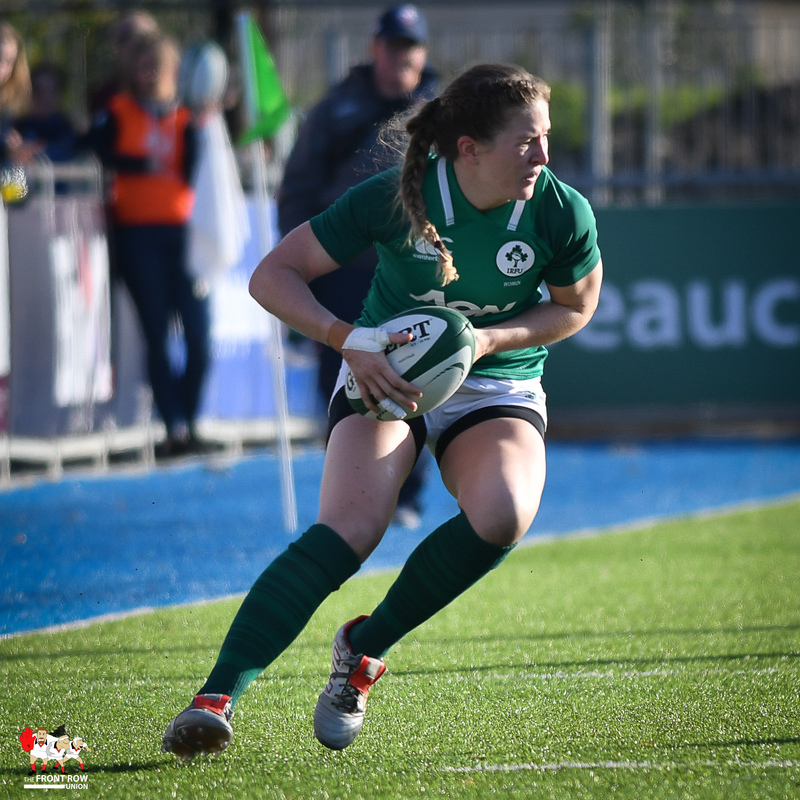 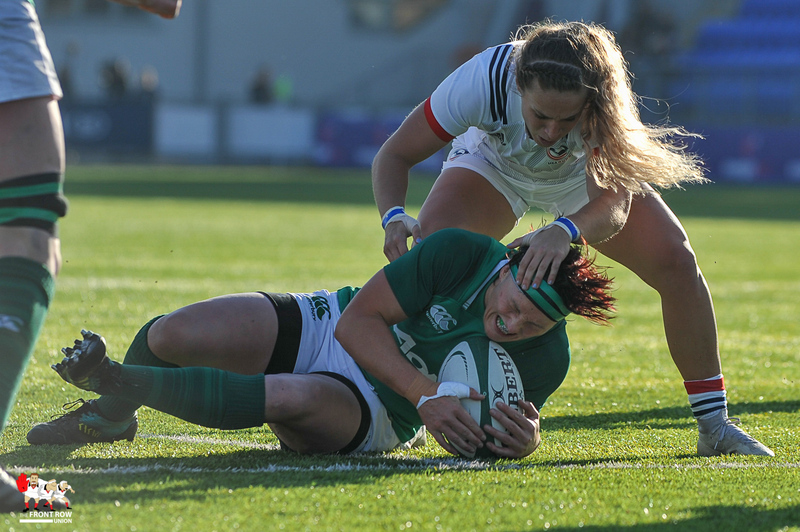 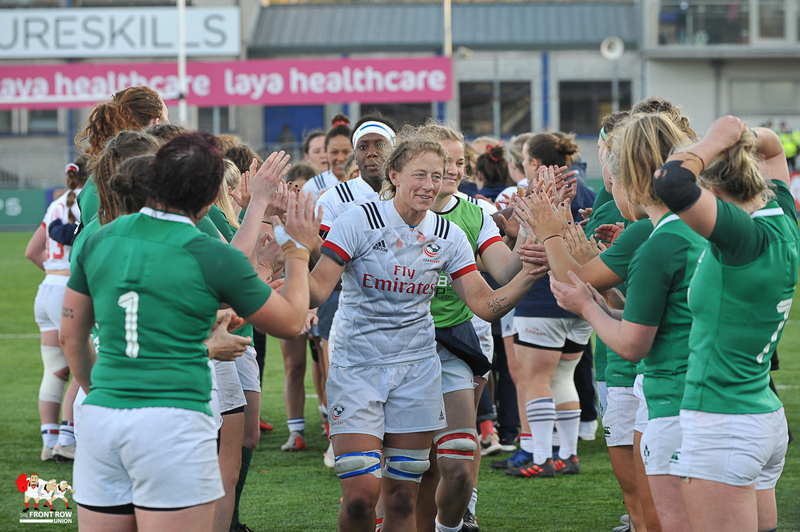 Nichole Cronin missed the conversion leaving the final score as Ireland 10 USA 19. 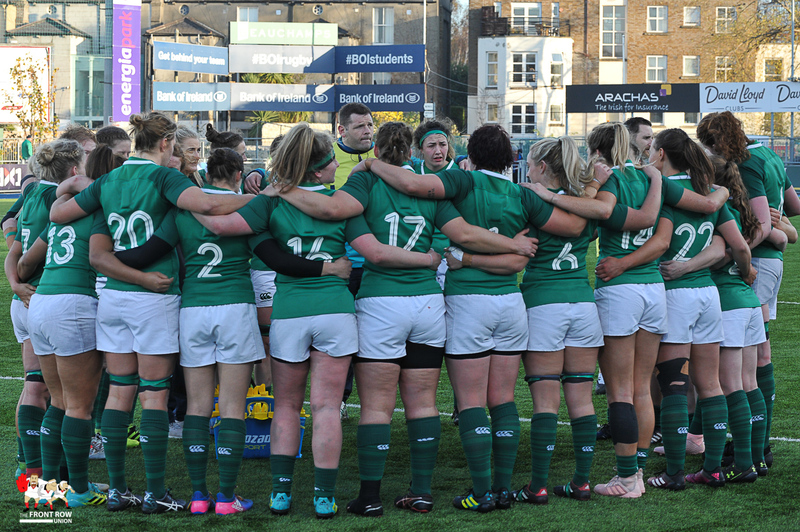 Ireland have plenty to work on before facing England next week in Twickenham. 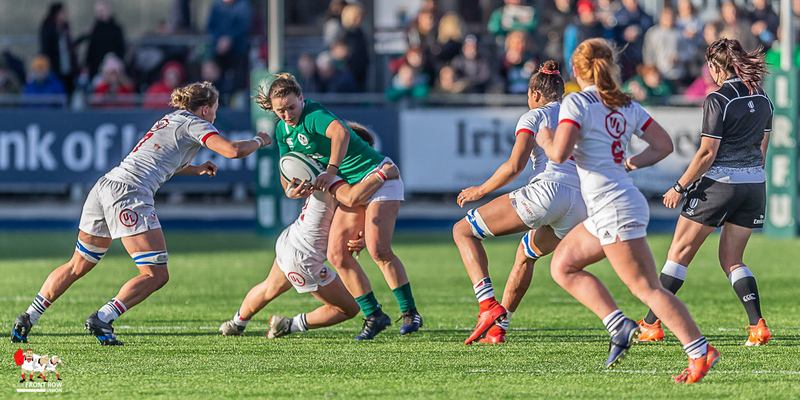 The team will not be happy with the core skills but some of the new caps caught the eye. 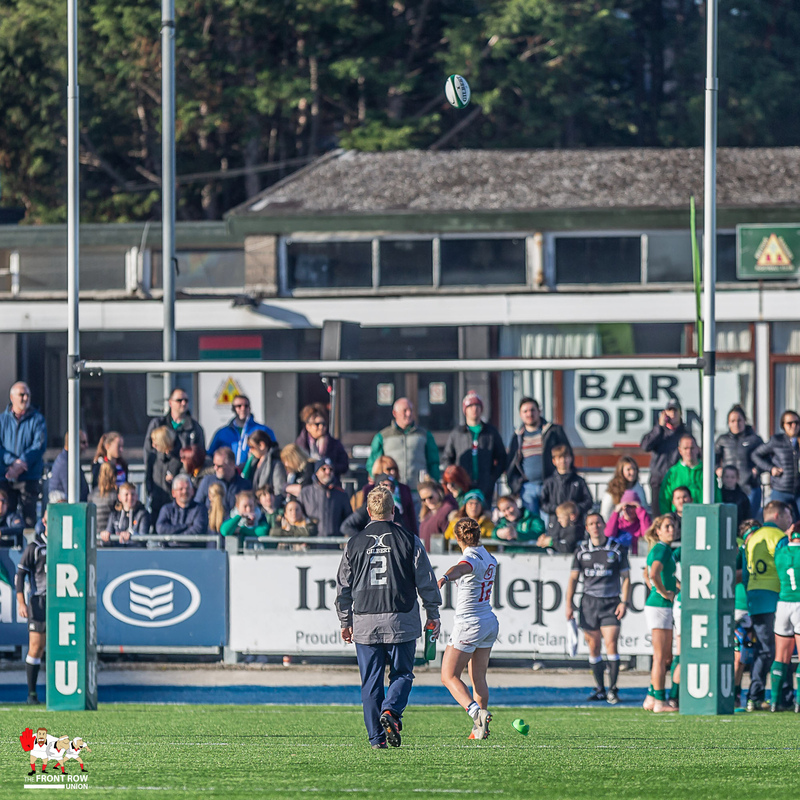 However, a lot of work is required if they are to be more clinical with ball in hand next week. 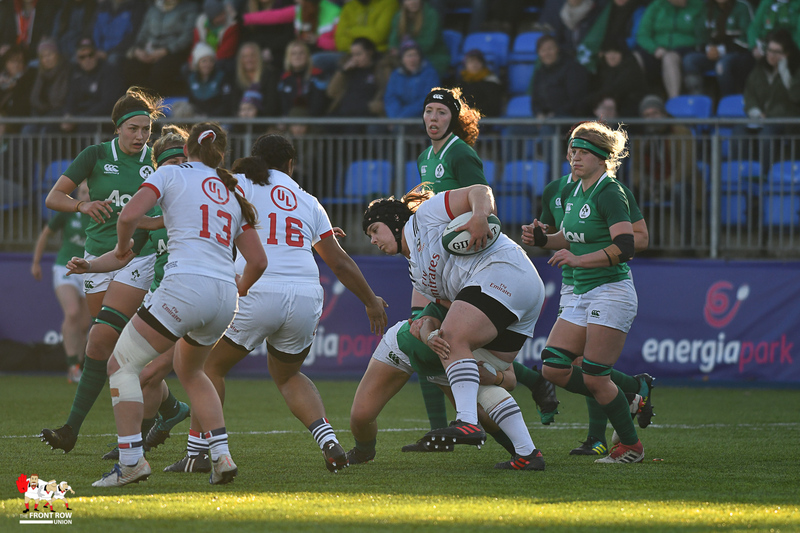 It is always difficult to face the Red Roses and they will need to come away with points every time they are in the scoring zone. 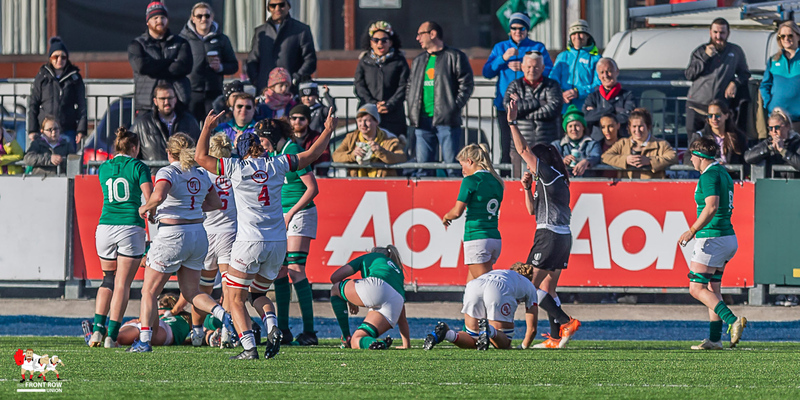 Sunday 18th November 2018. 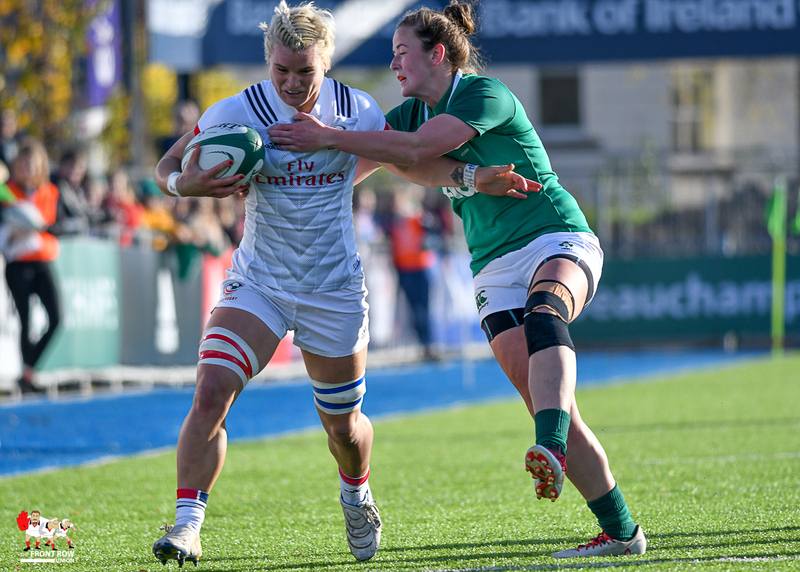 Irealnd and USA start to build for the next World Cup with the USA taking the initiative with a comfortable 19 - 10 win at Donnybrook.